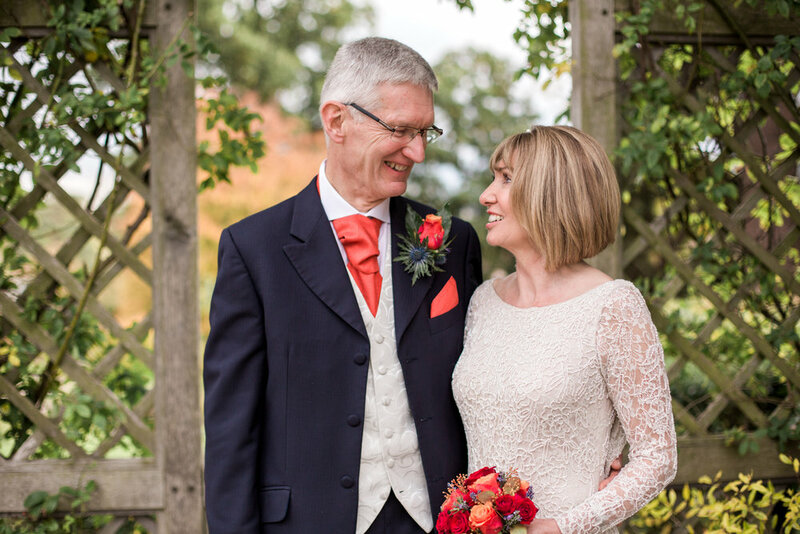 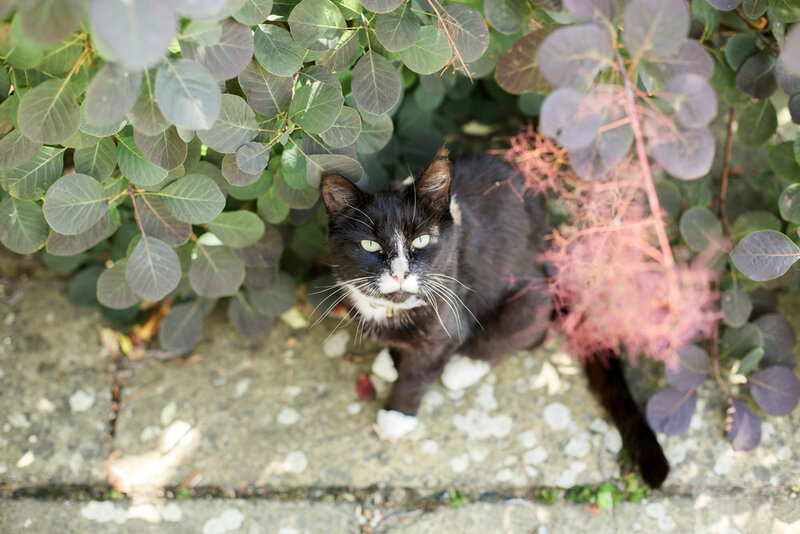 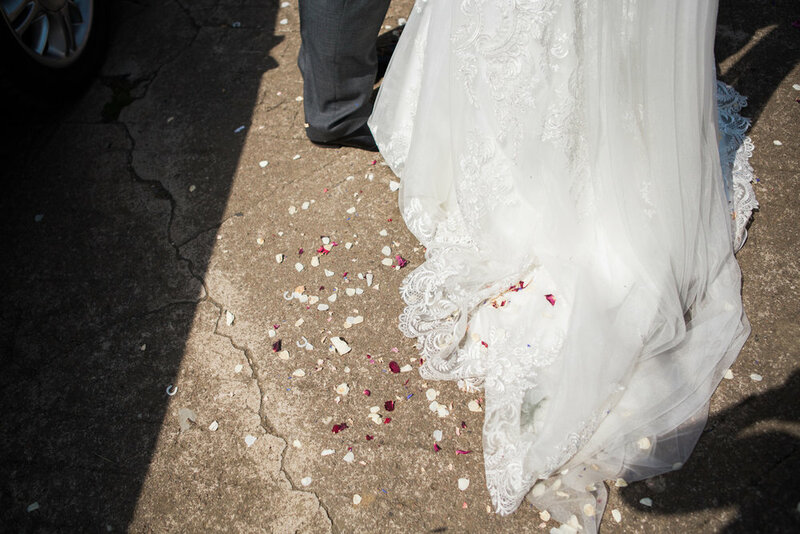 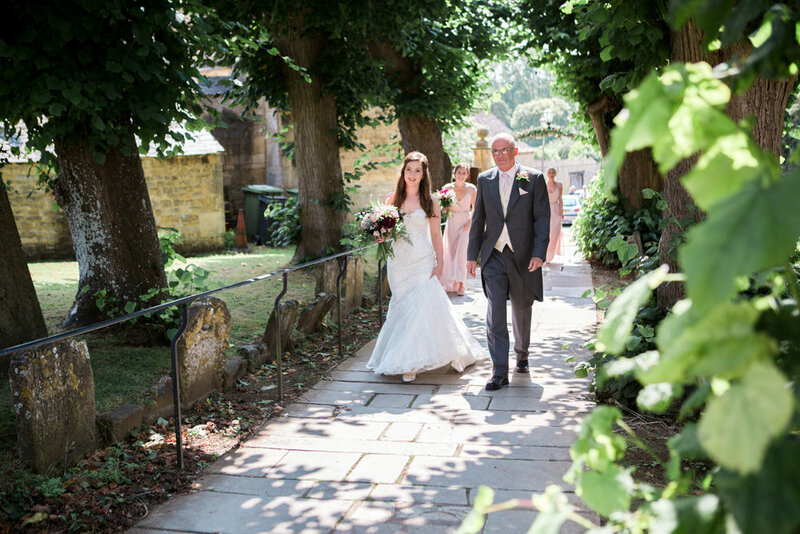 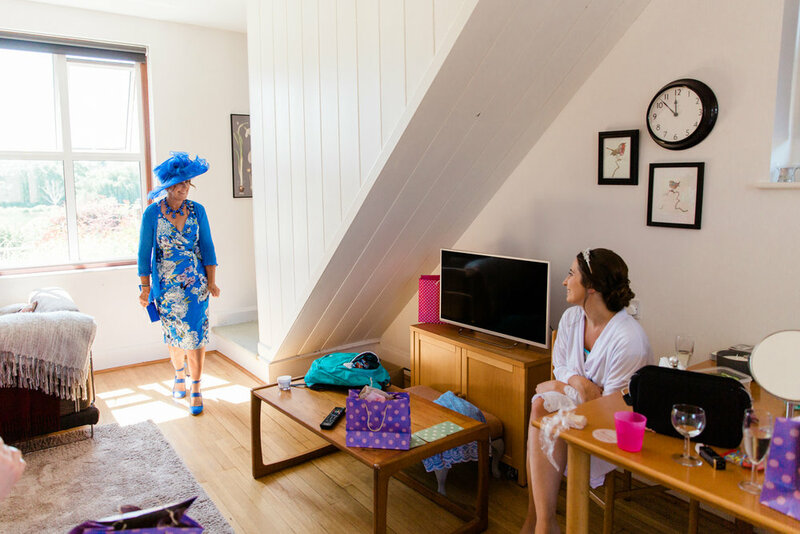 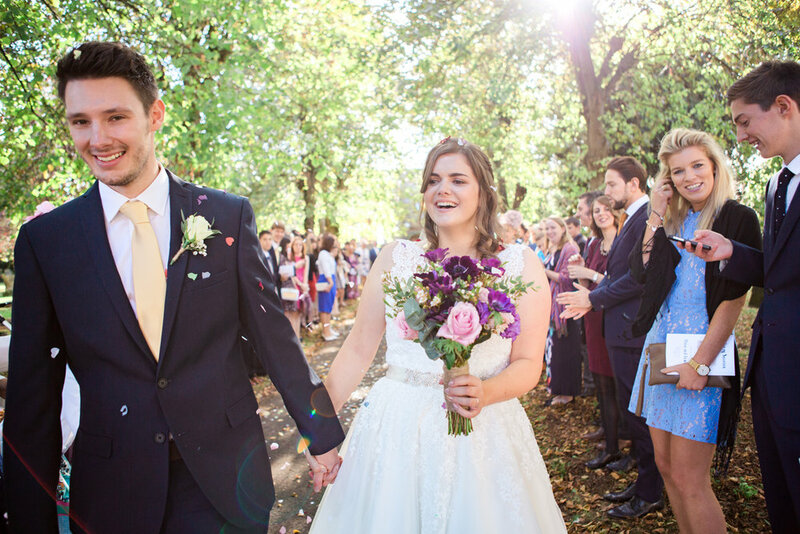 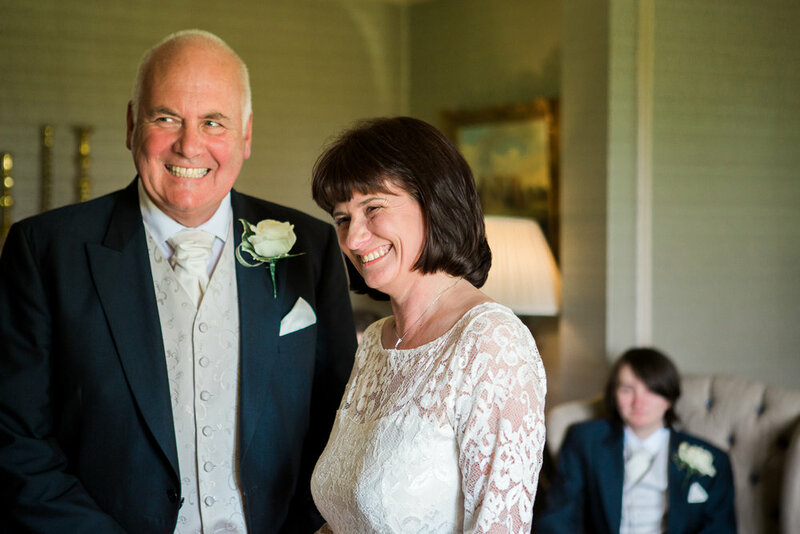 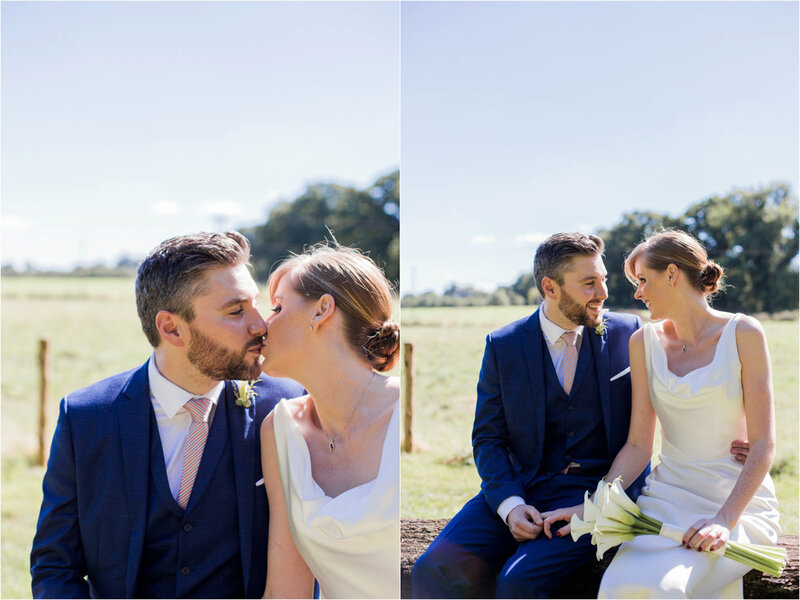 I am delighted to share with you Lisa & Harry’s gorgeous sunny day with you. 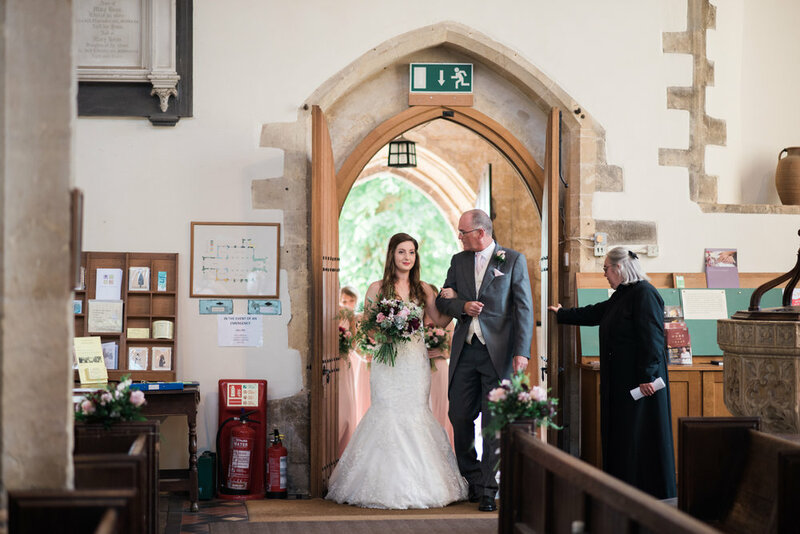 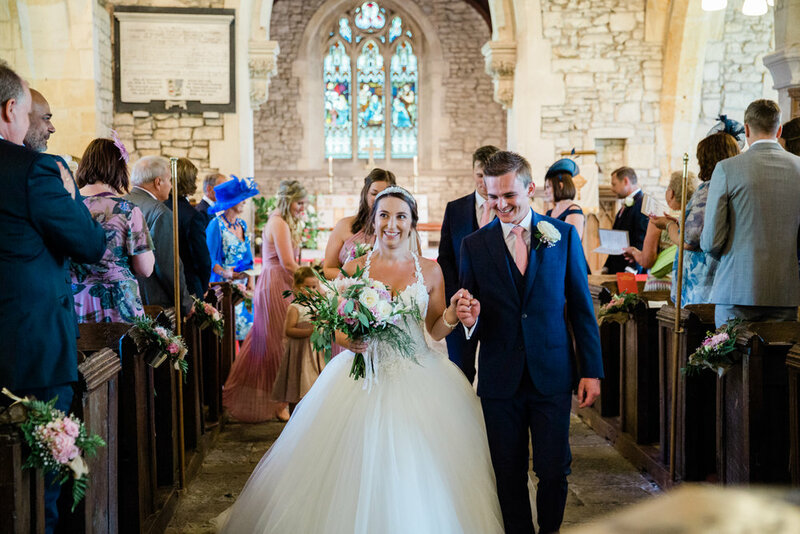 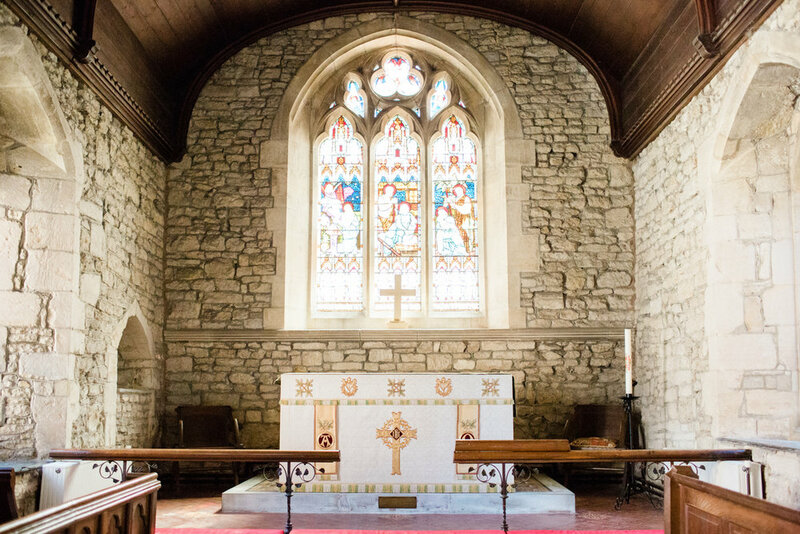 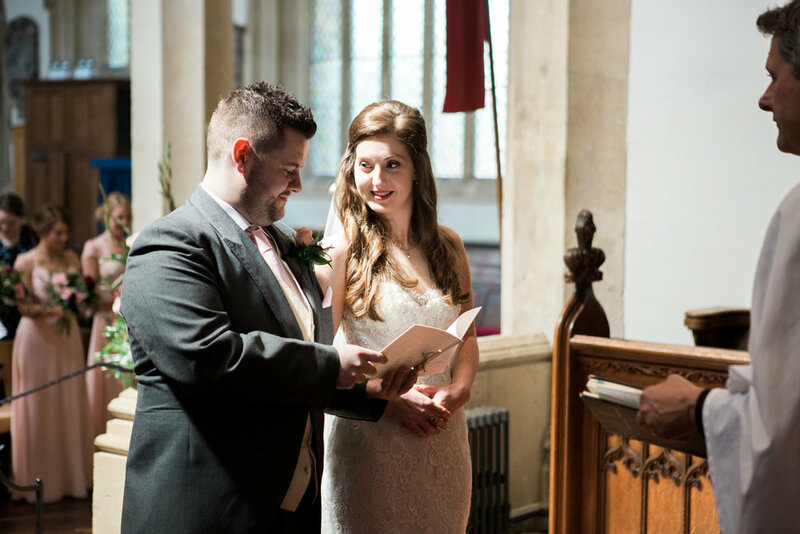 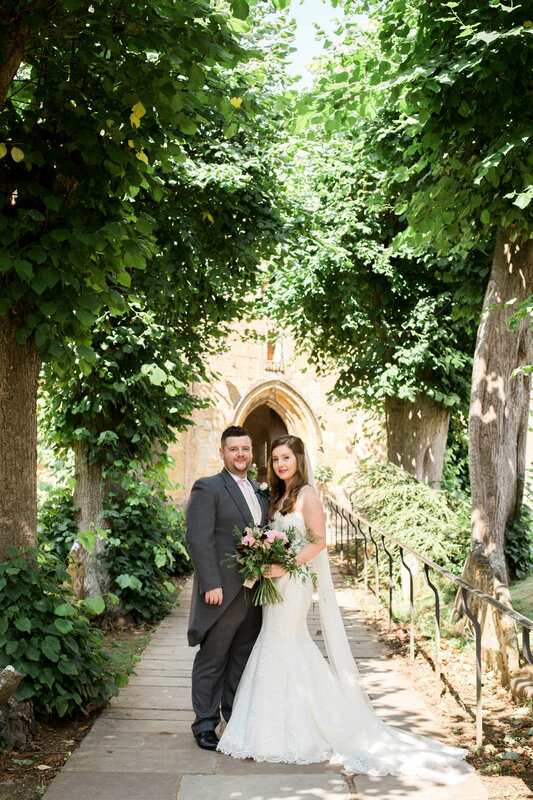 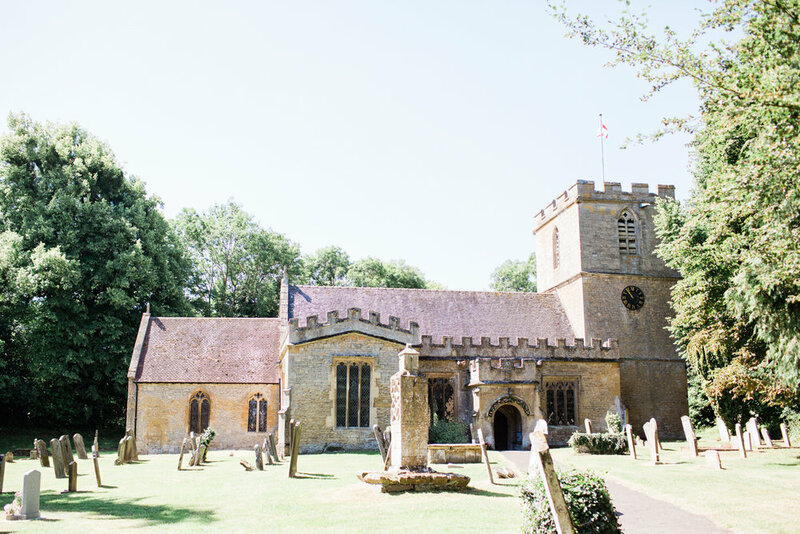 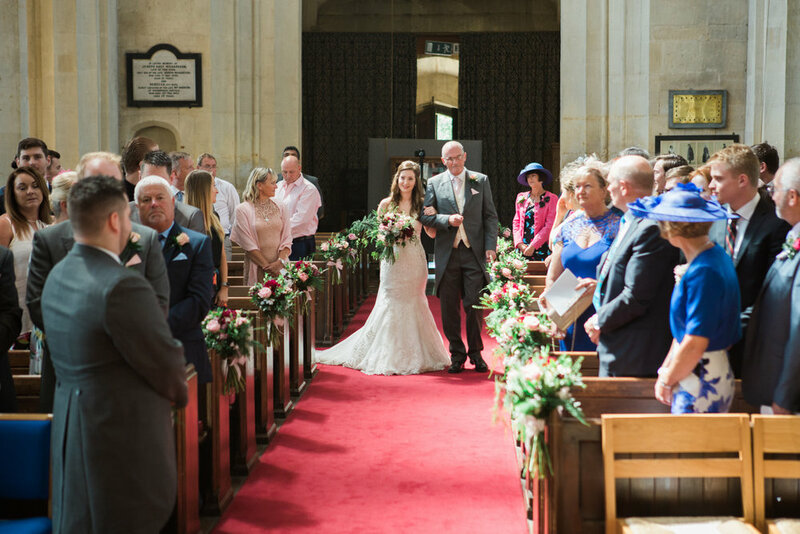 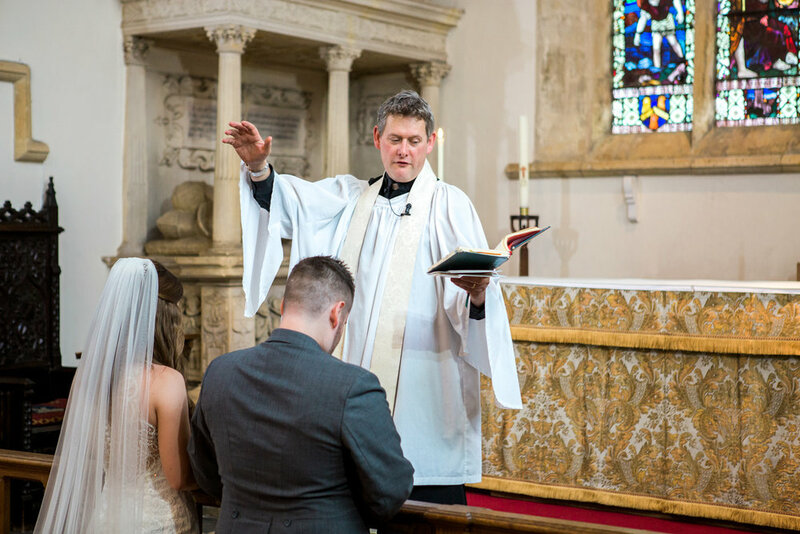 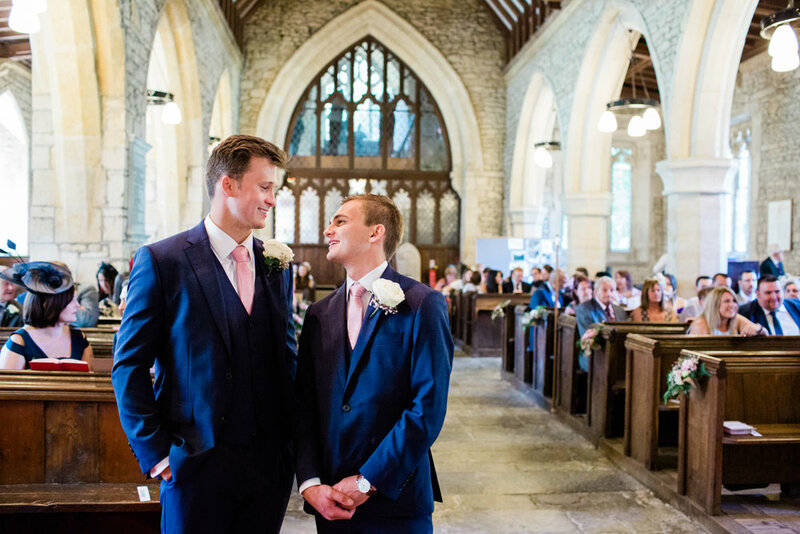 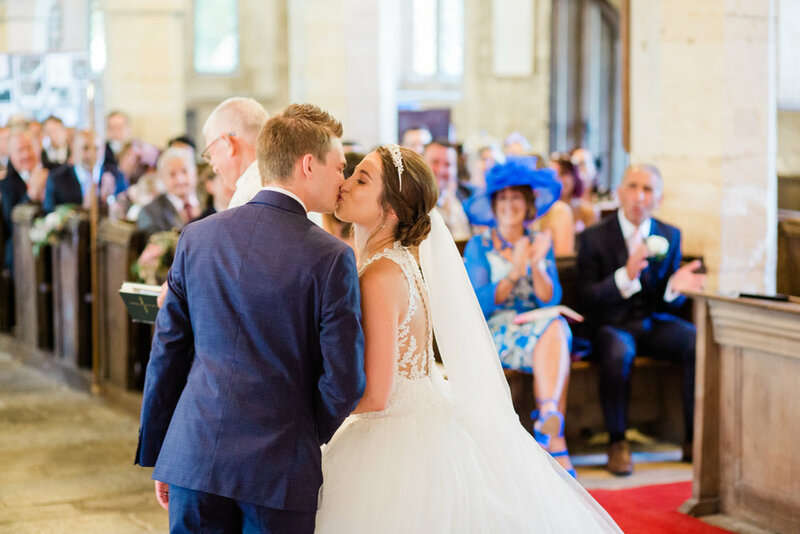 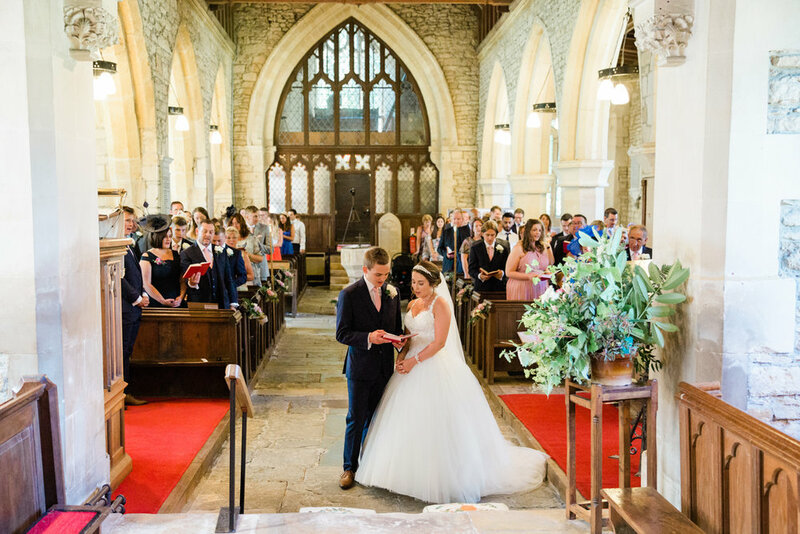 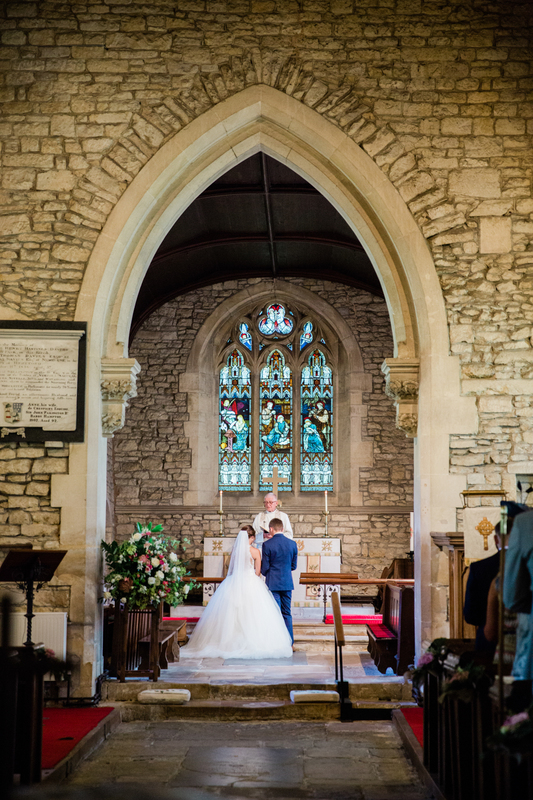 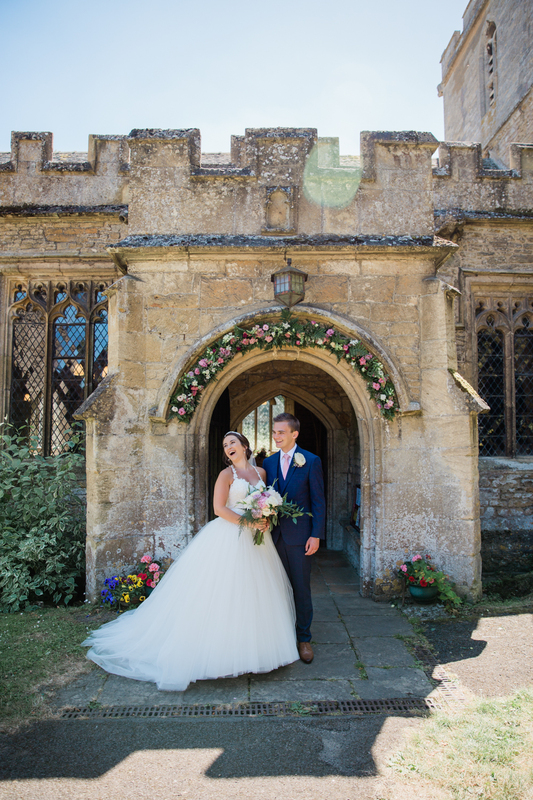 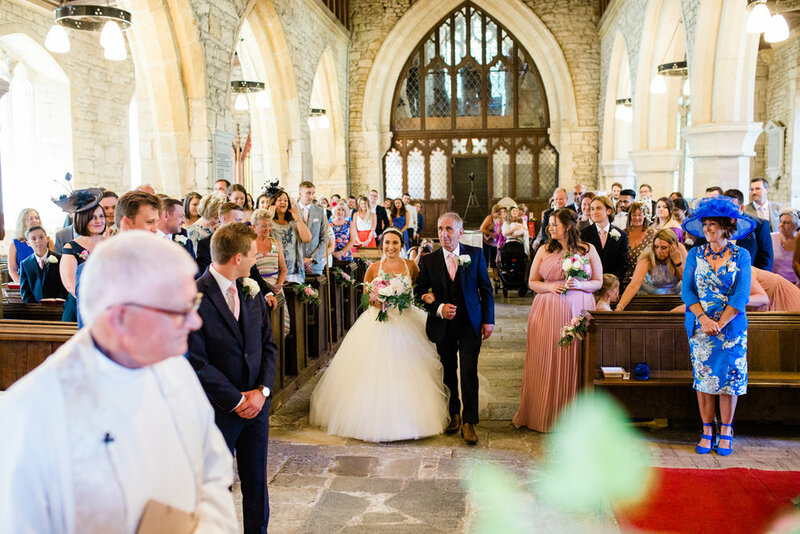 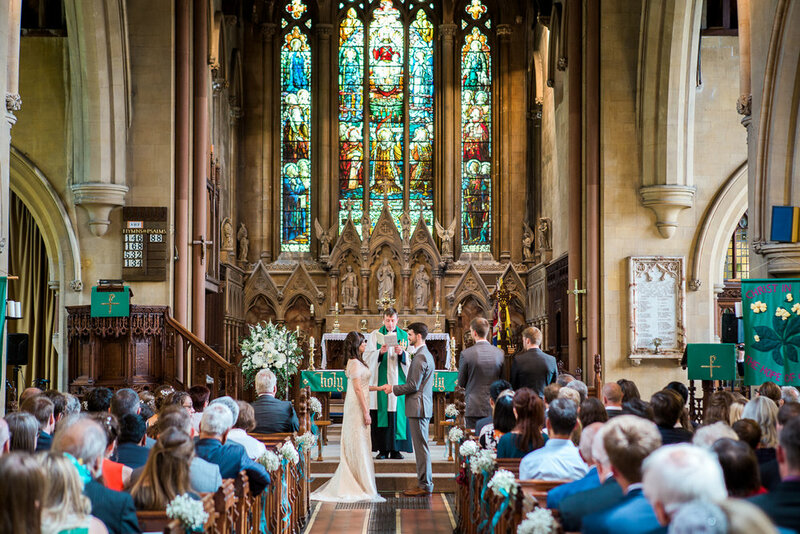 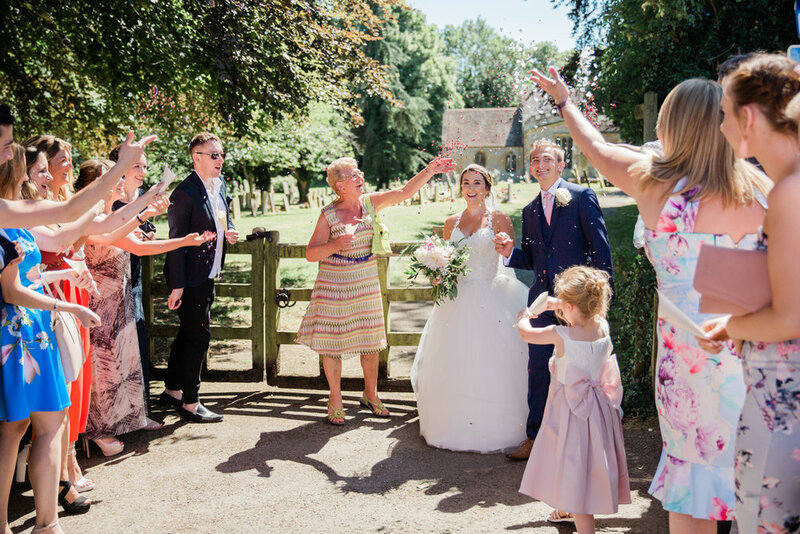 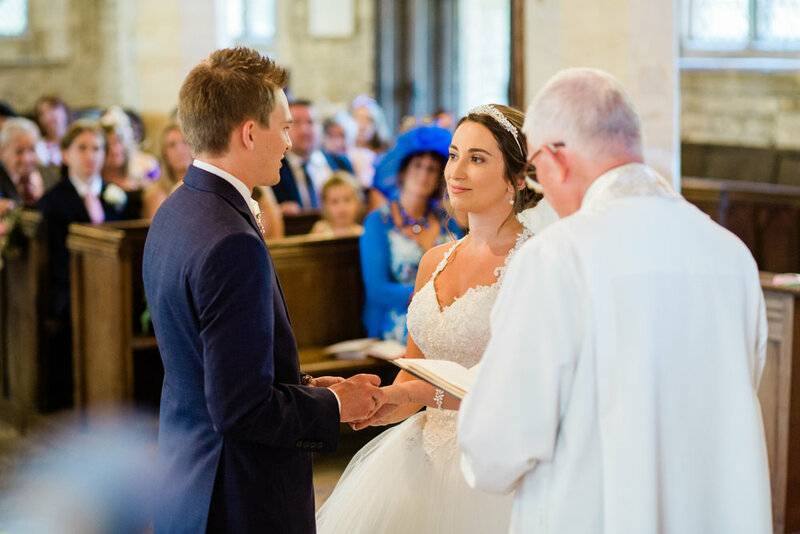 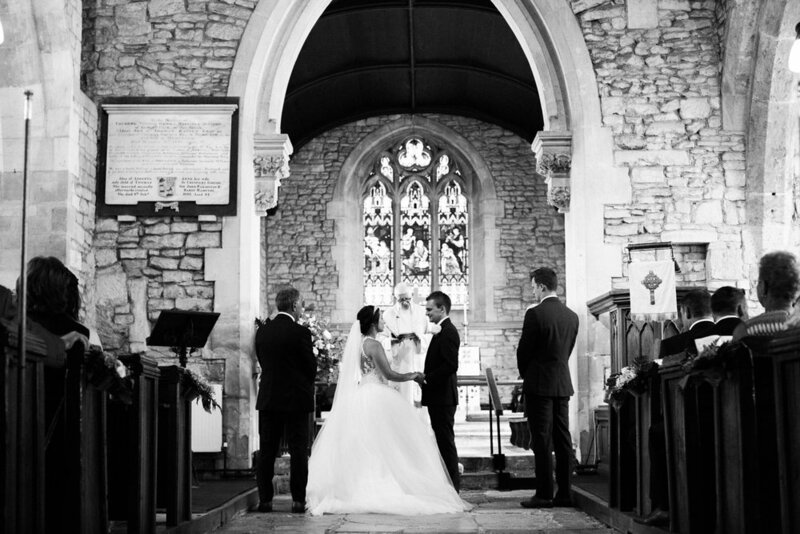 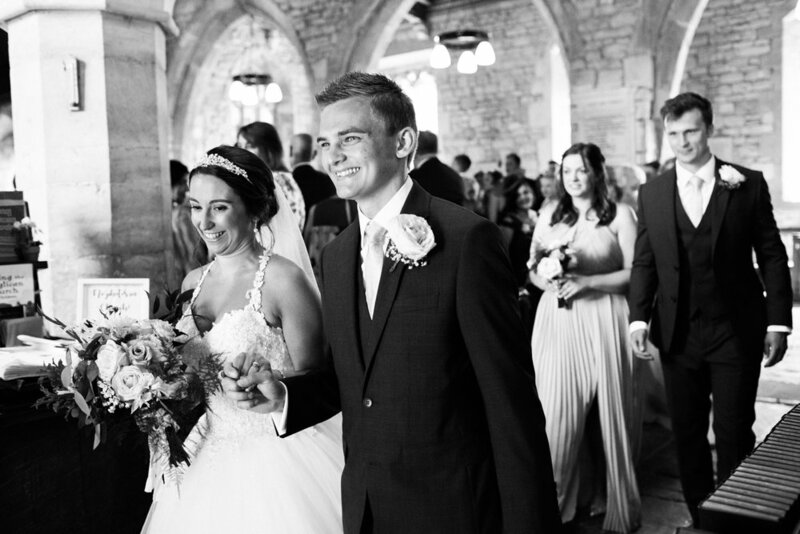 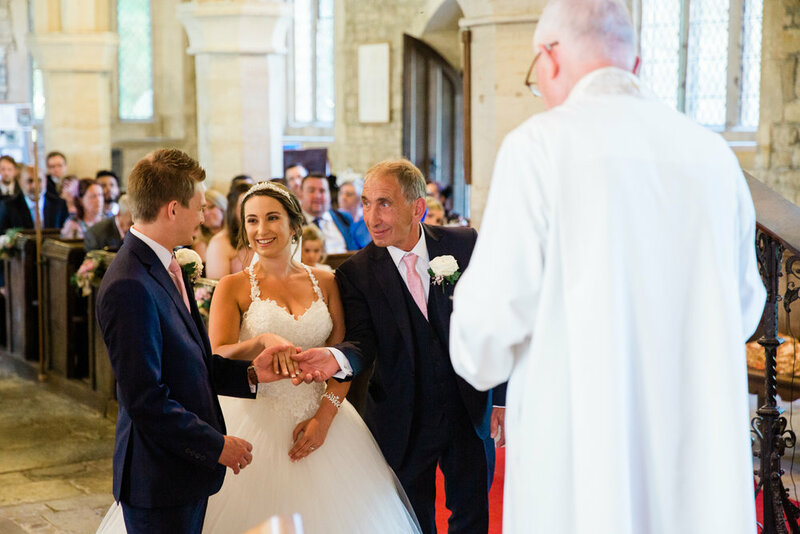 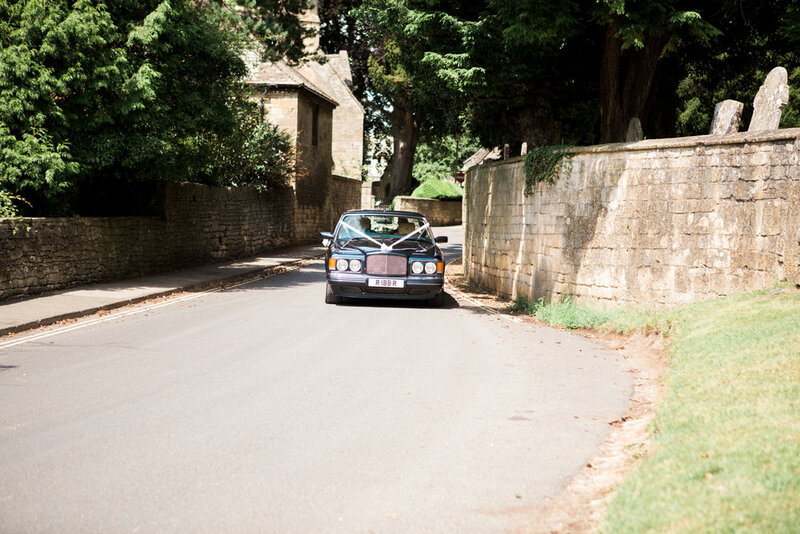 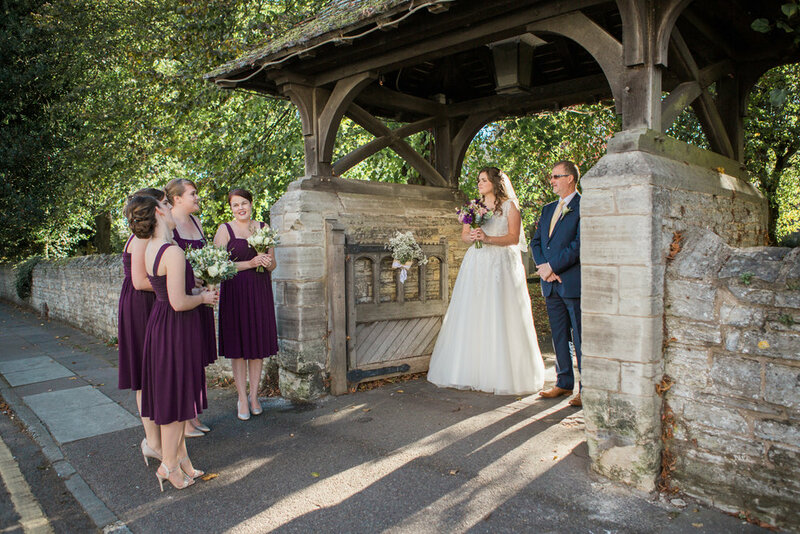 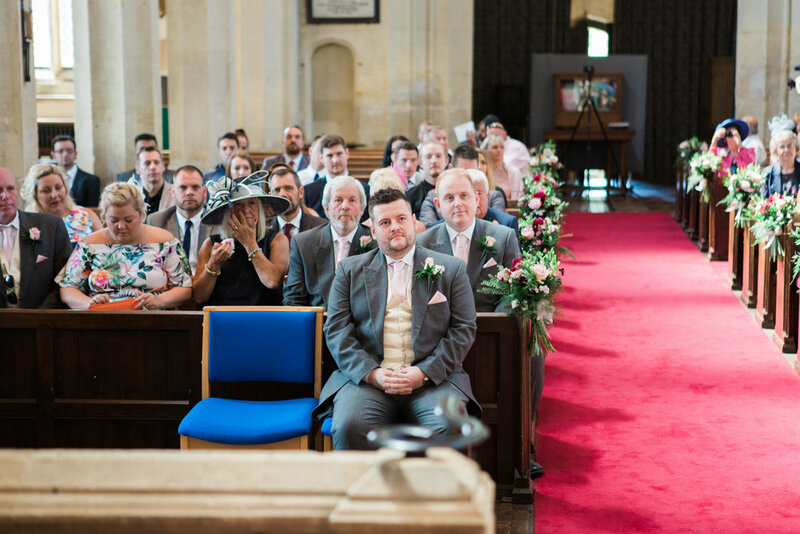 Lisa & Harry had their ceremony at St Mary’s Church, Elmley Castle before heading on to Spring Hill Barn for games and fizz on the lawn overlooking the lake. 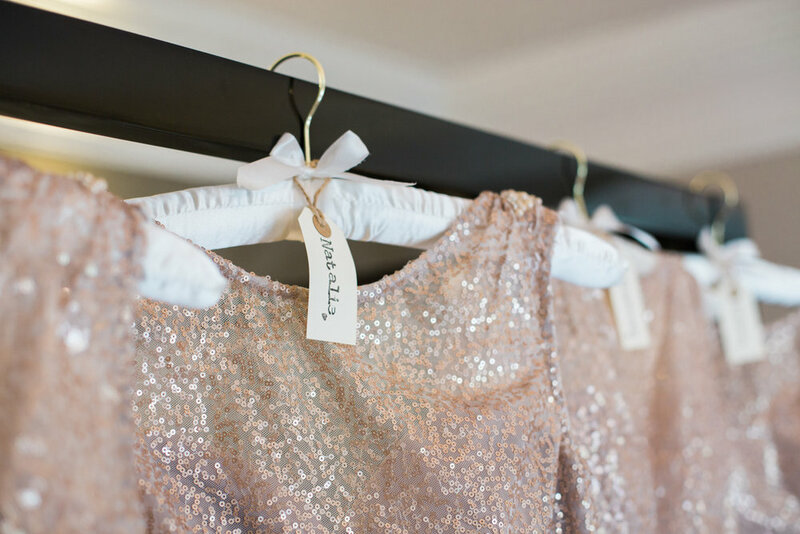 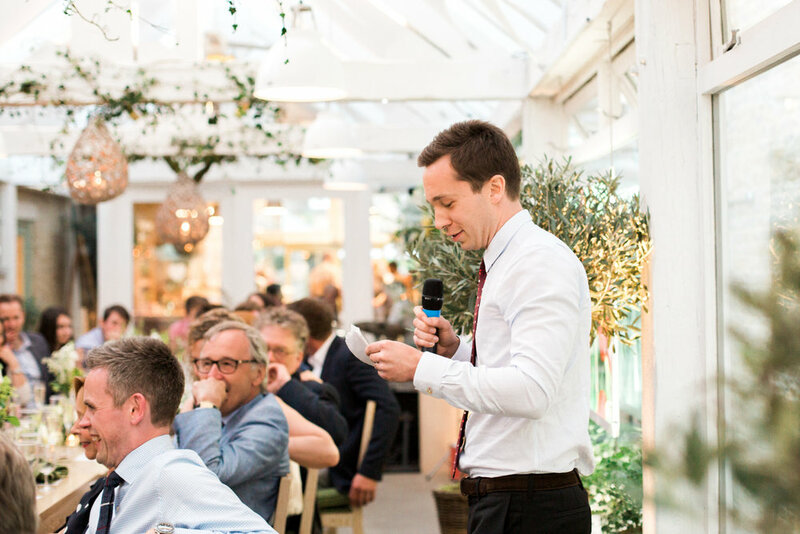 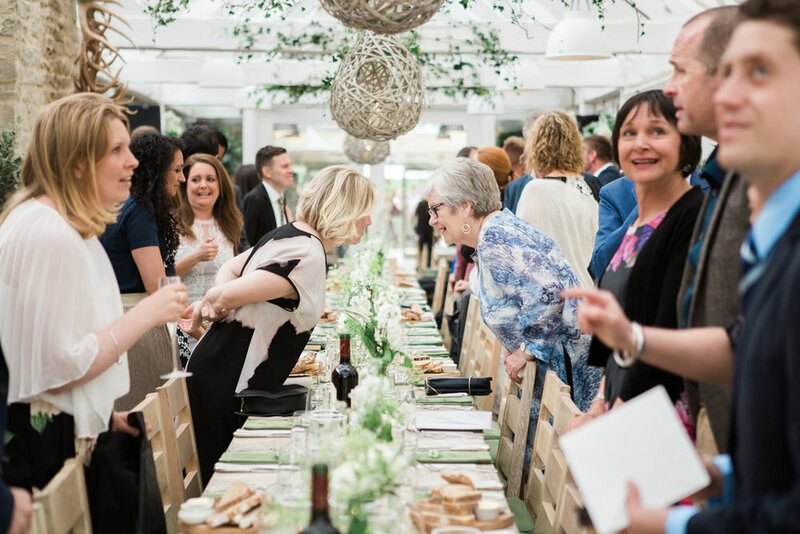 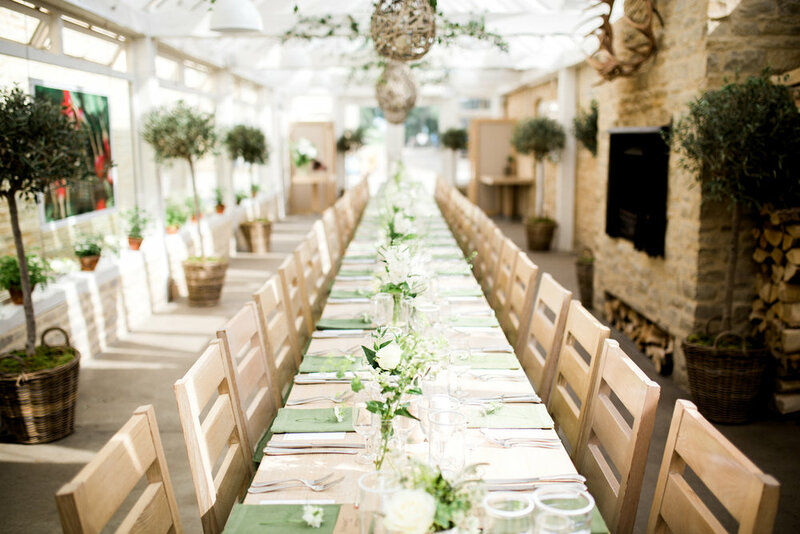 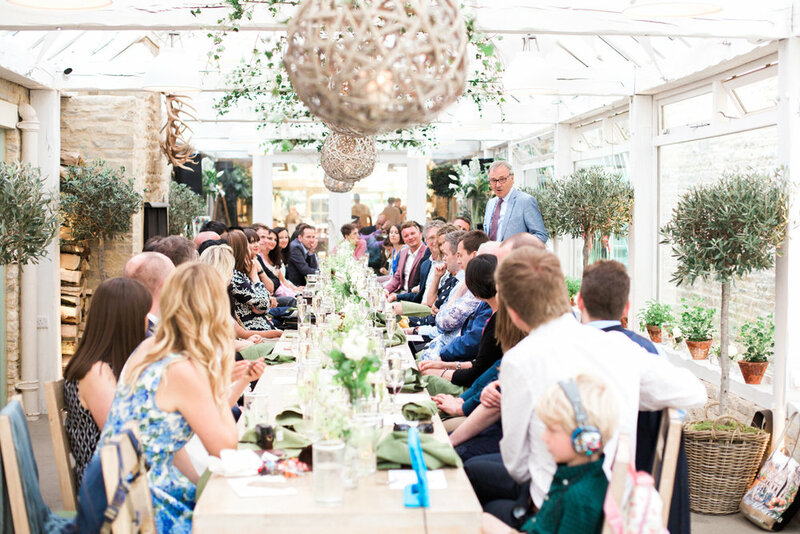 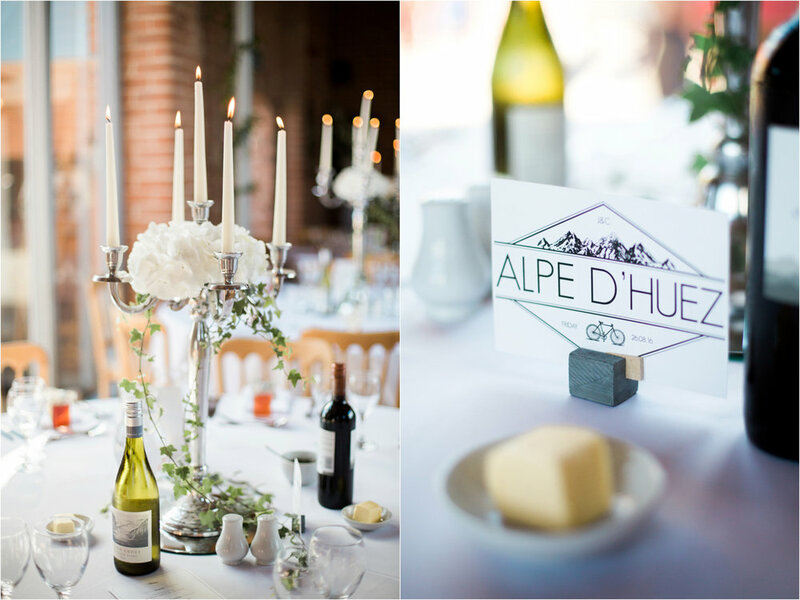 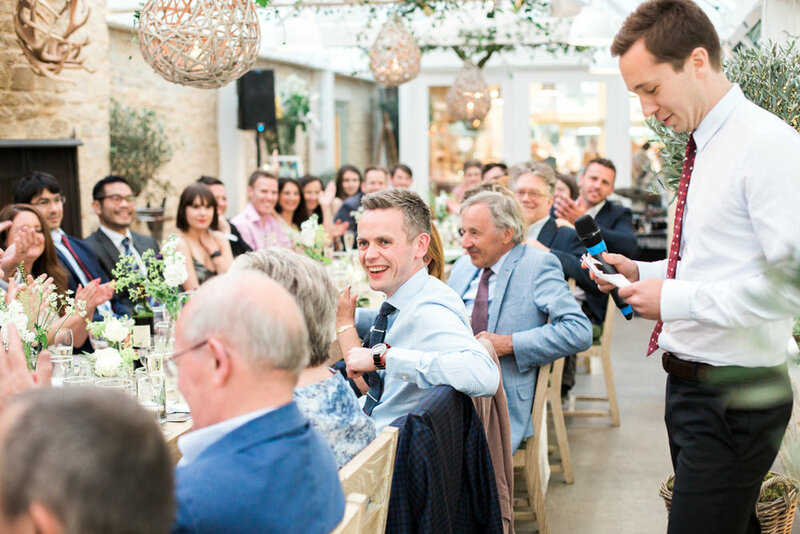 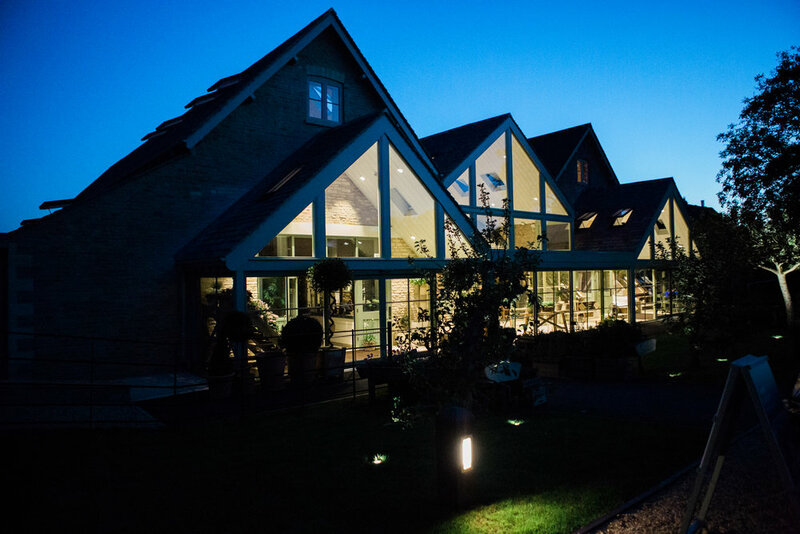 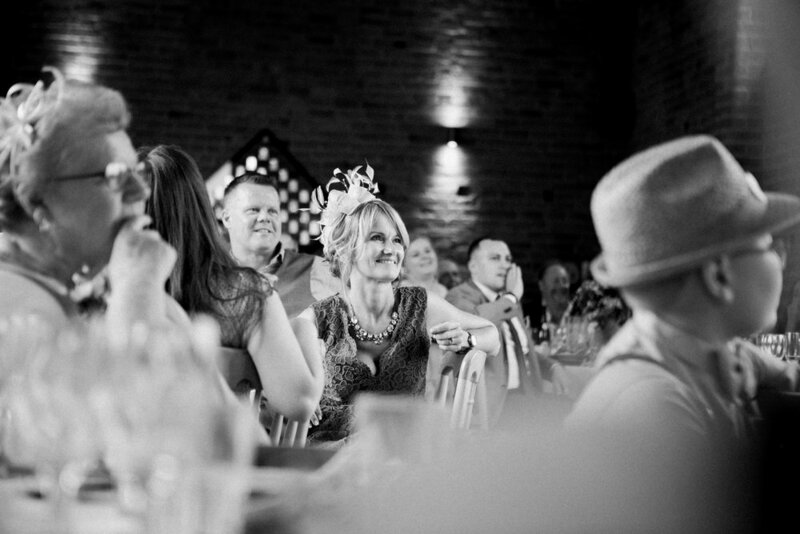 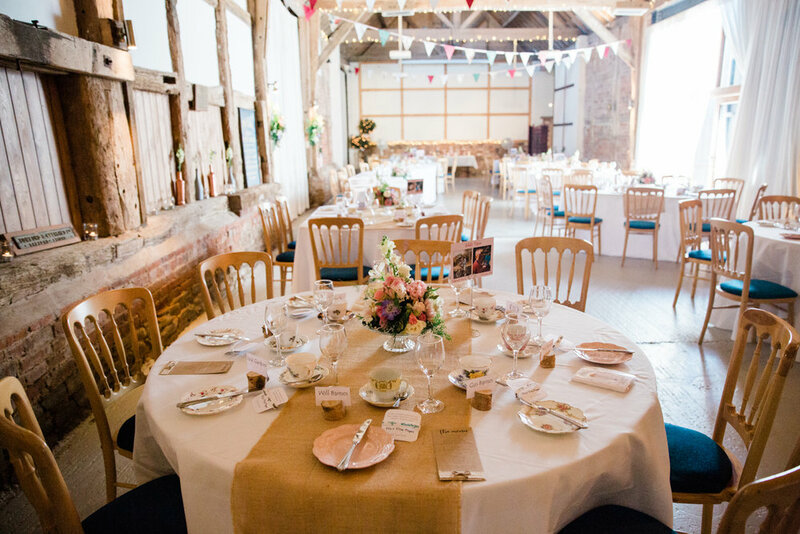 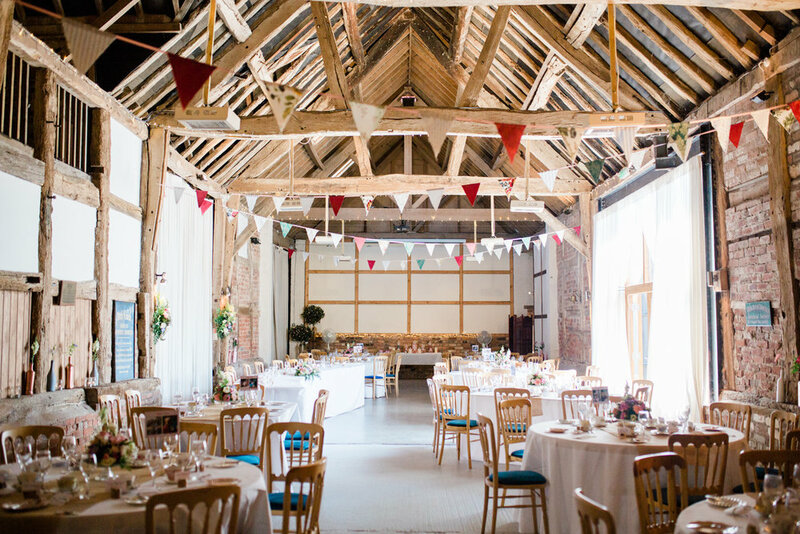 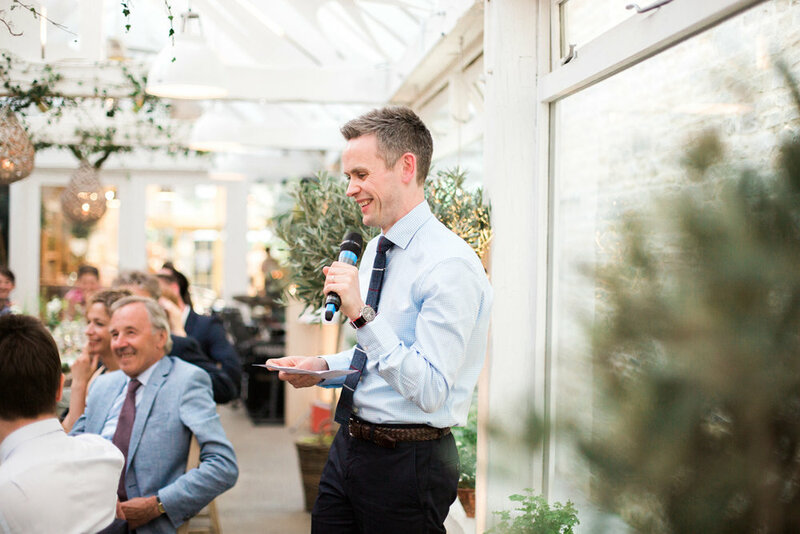 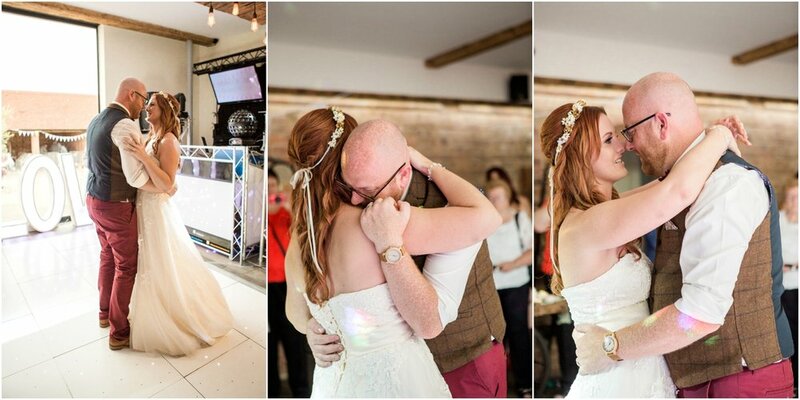 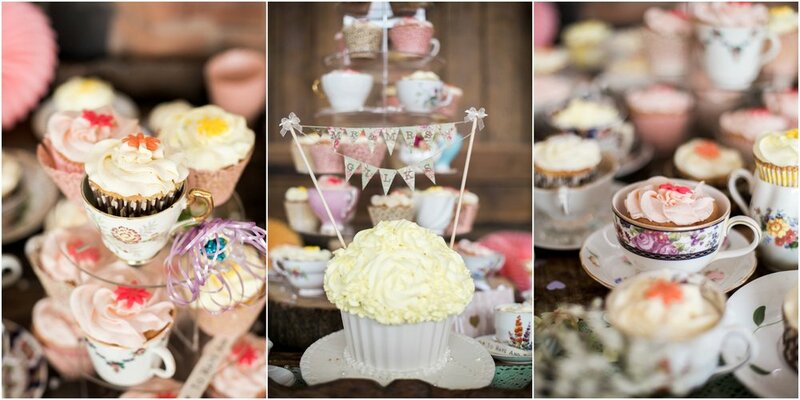 The speeches and meal were held in the amazing barn, all exposed brick, beams and lots of twinkling fairy lights! 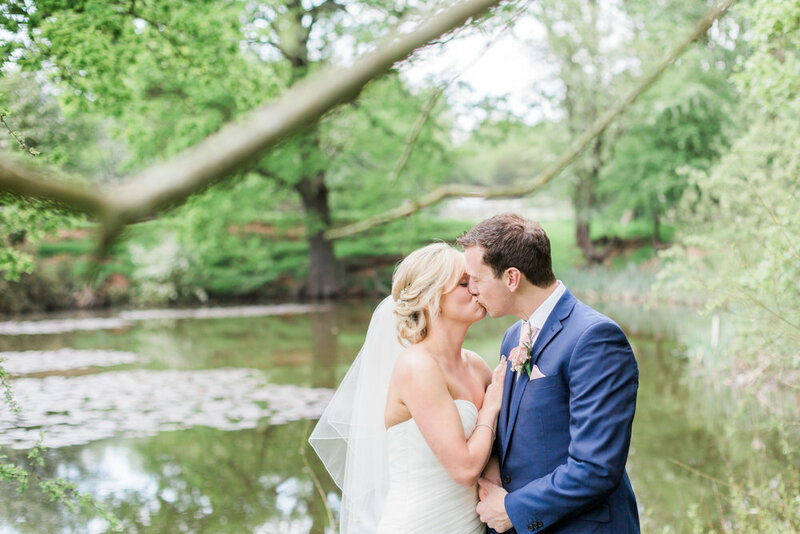 After the meal we made the most of the gorgeous afternoon sunshine and headed out to explore the grounds for some photos of just the two of them, Lisa and Harry were so brave getting in that boat! 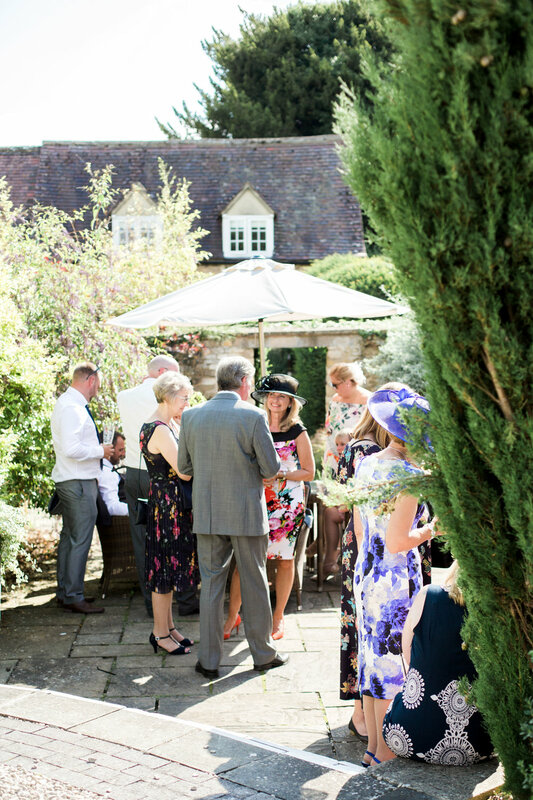 From there it was back to the courtyard for pizza before dancing the night away. 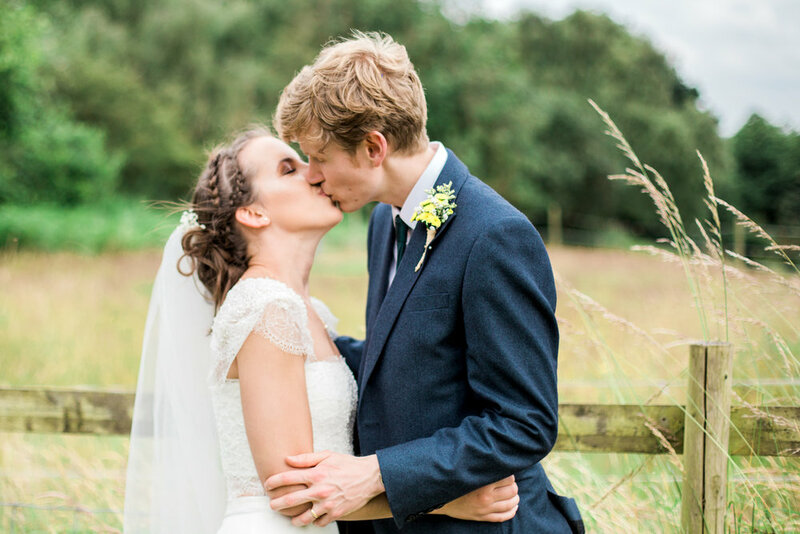 Sophie was an excellent wedding photographer for us! 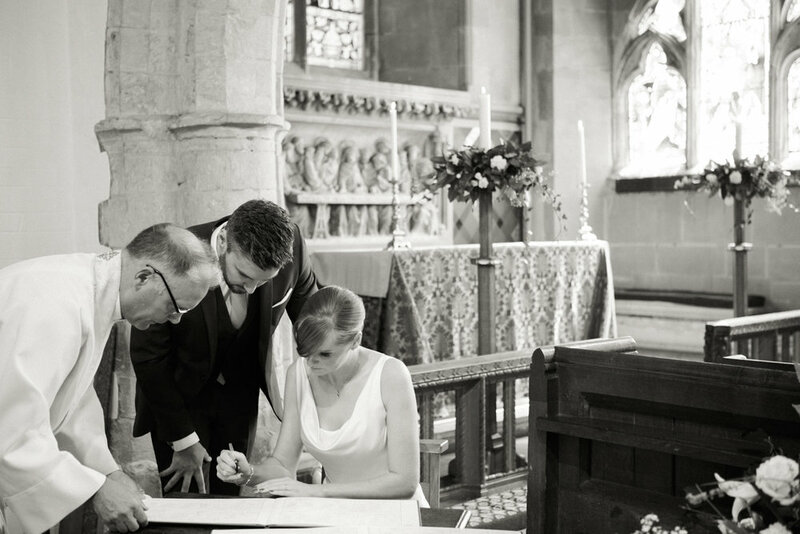 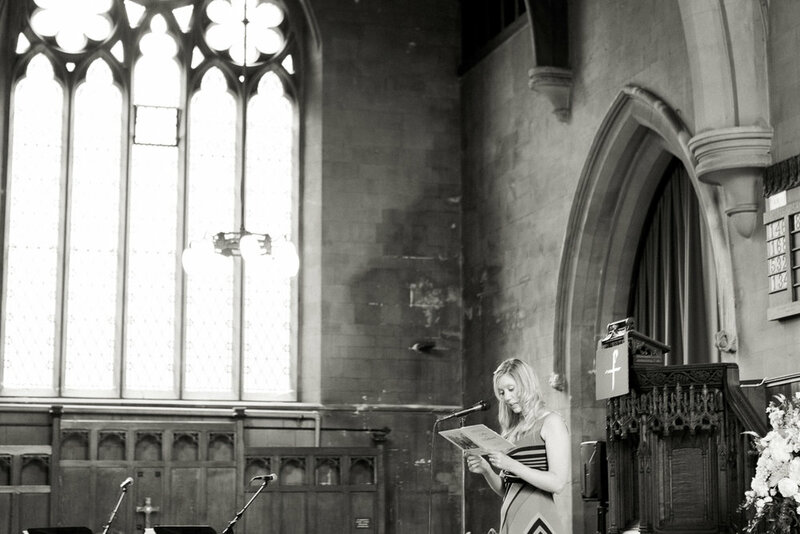 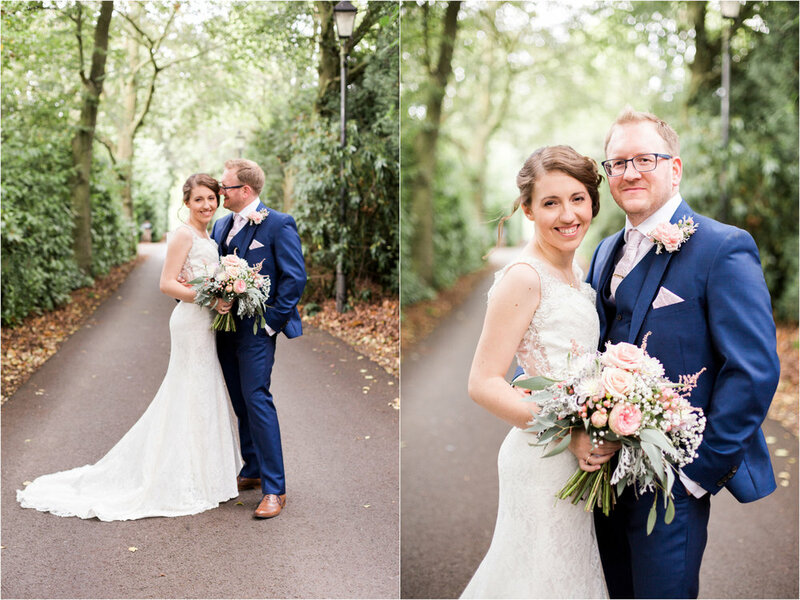 Having had our photographer cancel, we were recommend to Sophie and she was excellent. 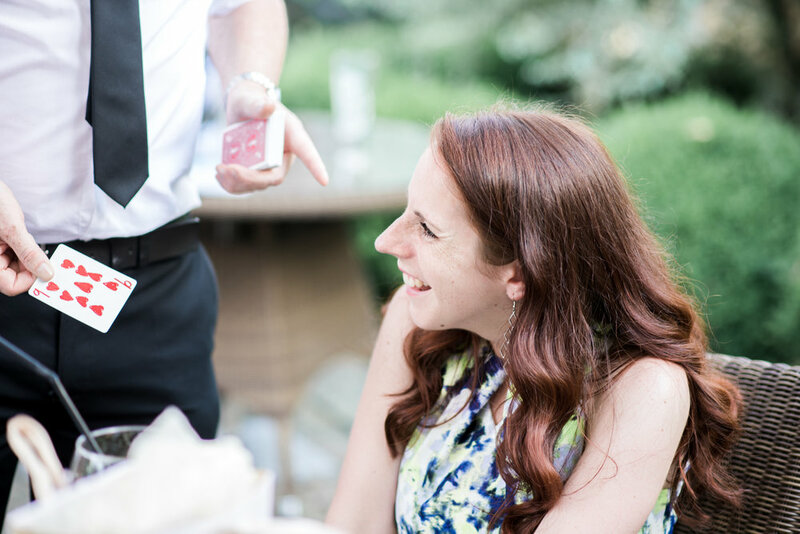 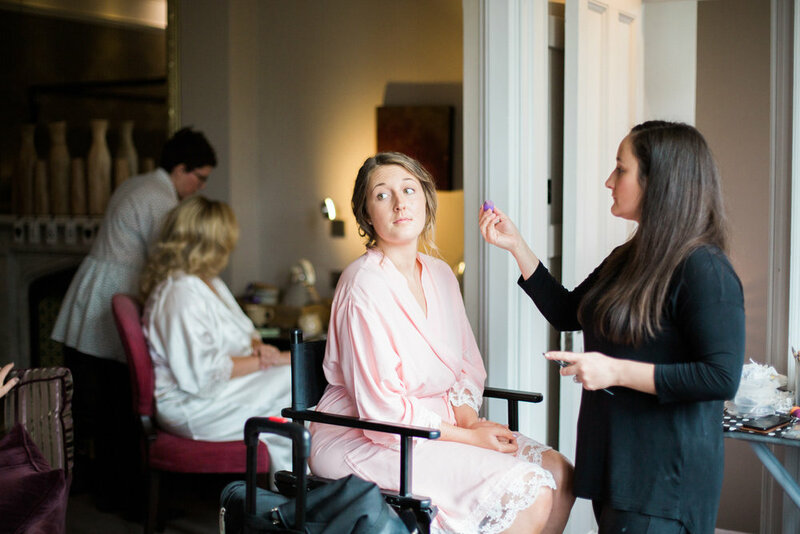 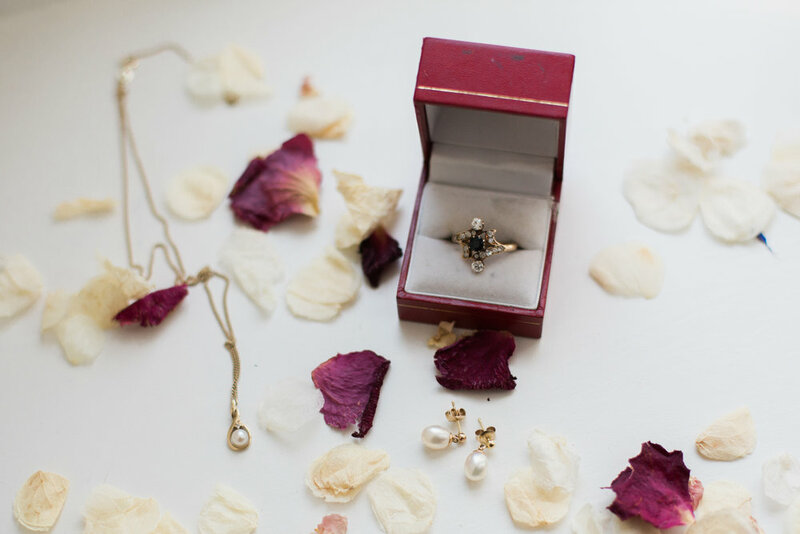 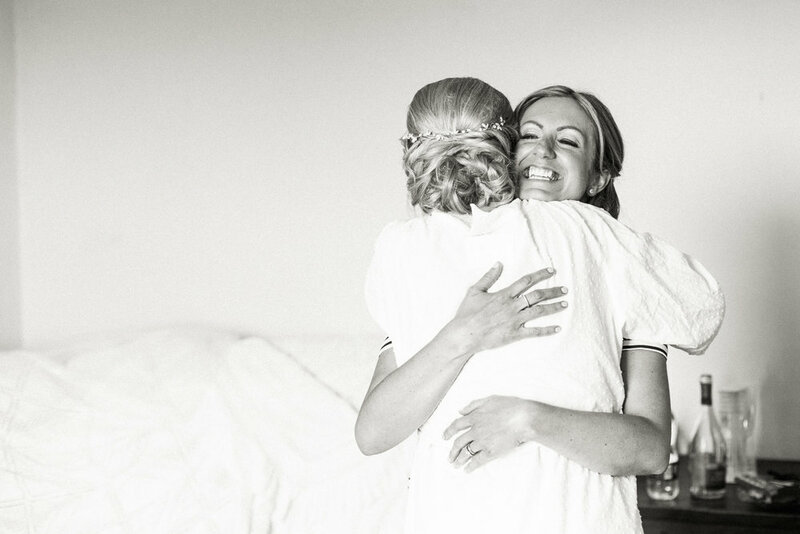 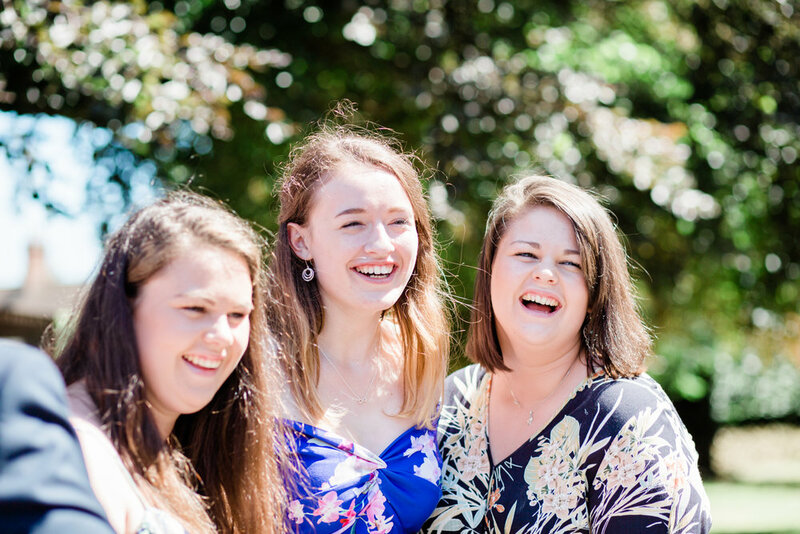 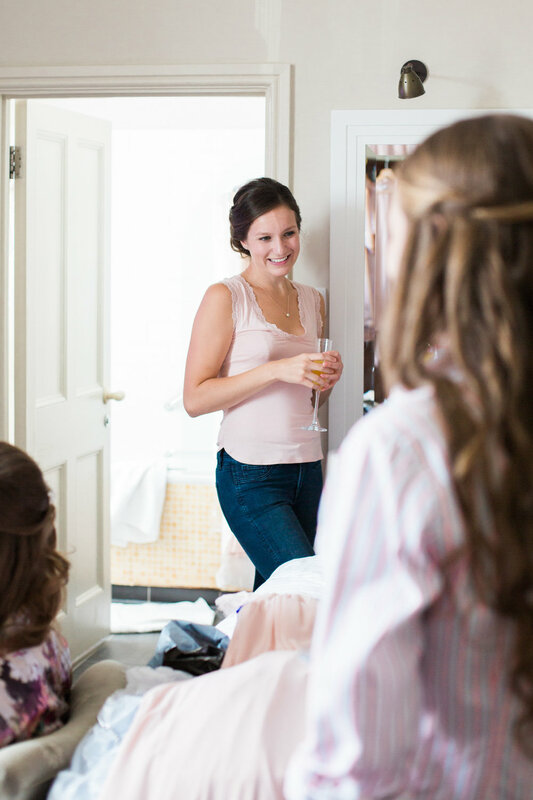 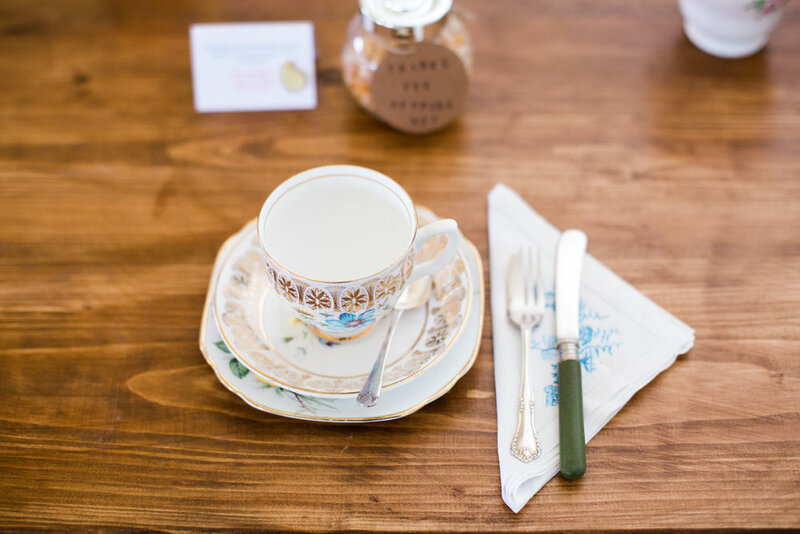 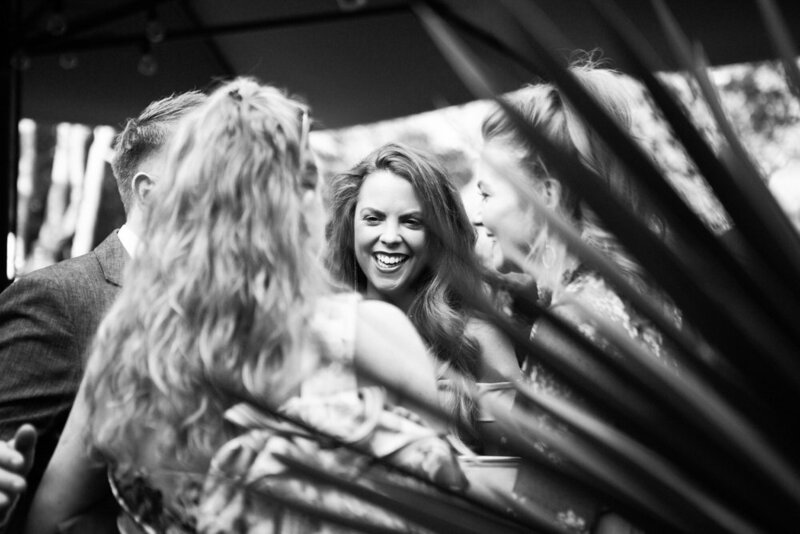 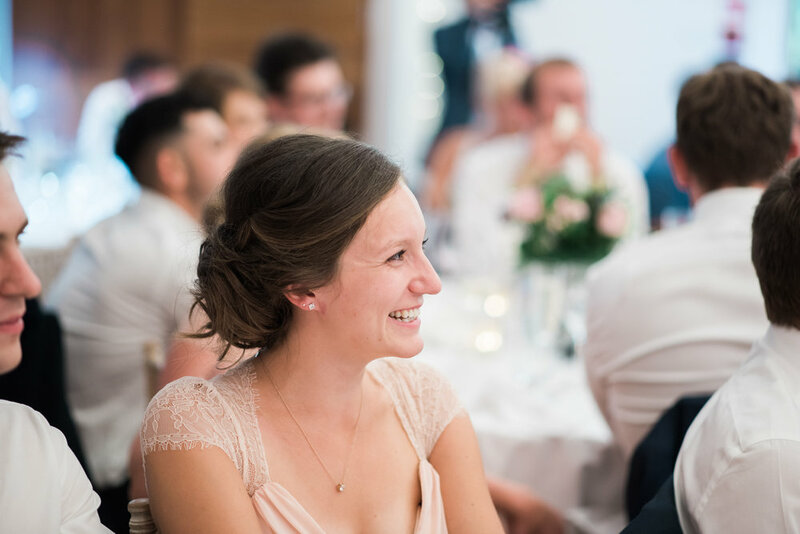 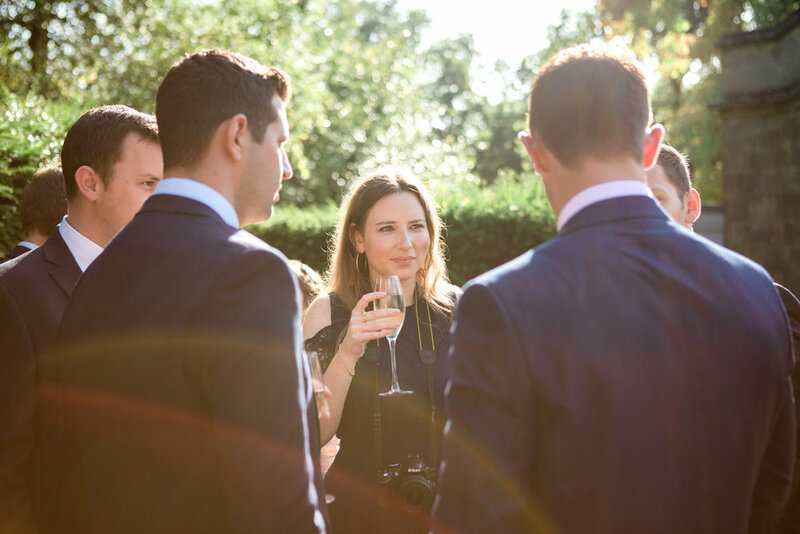 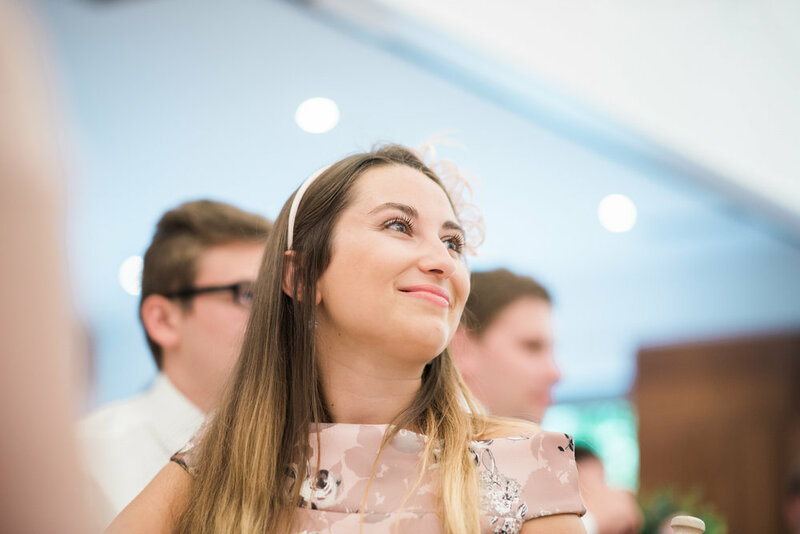 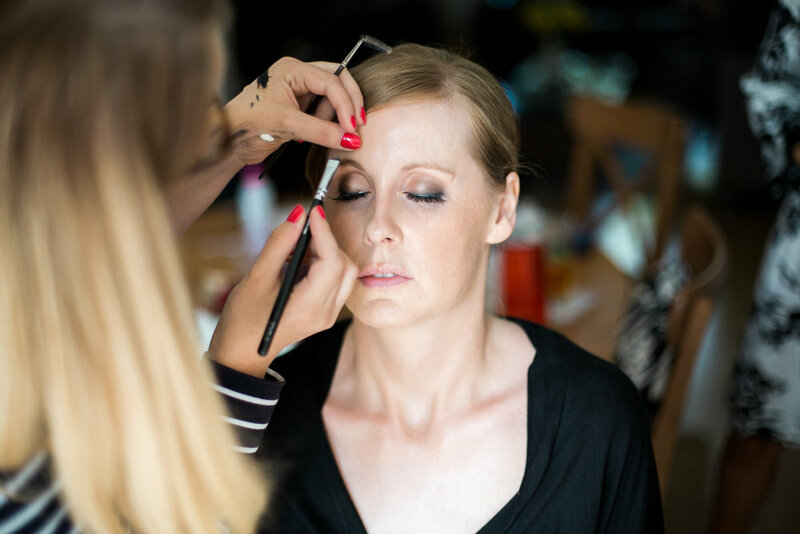 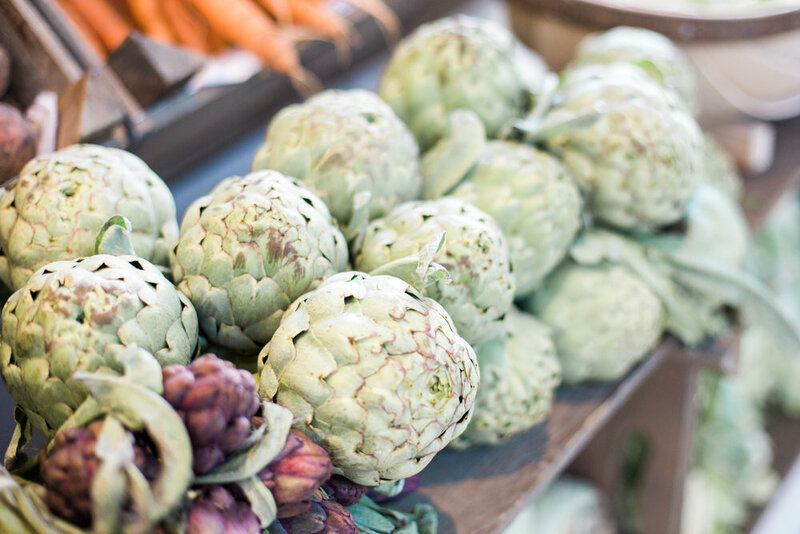 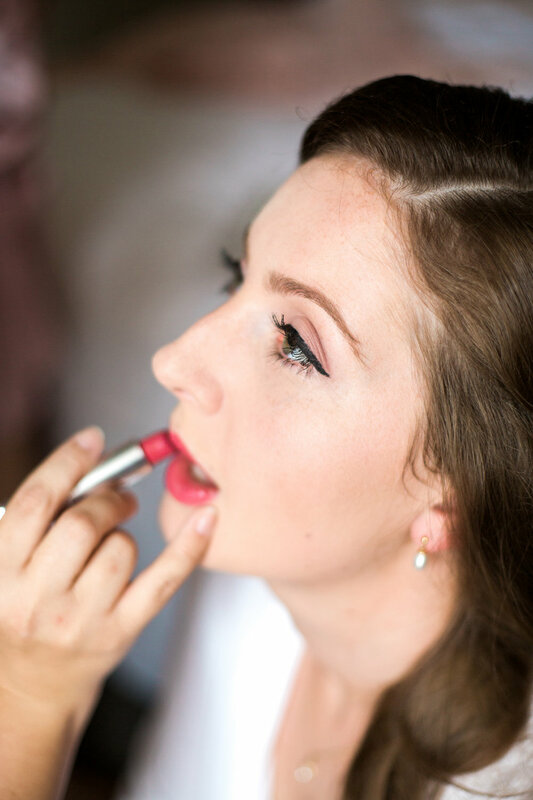 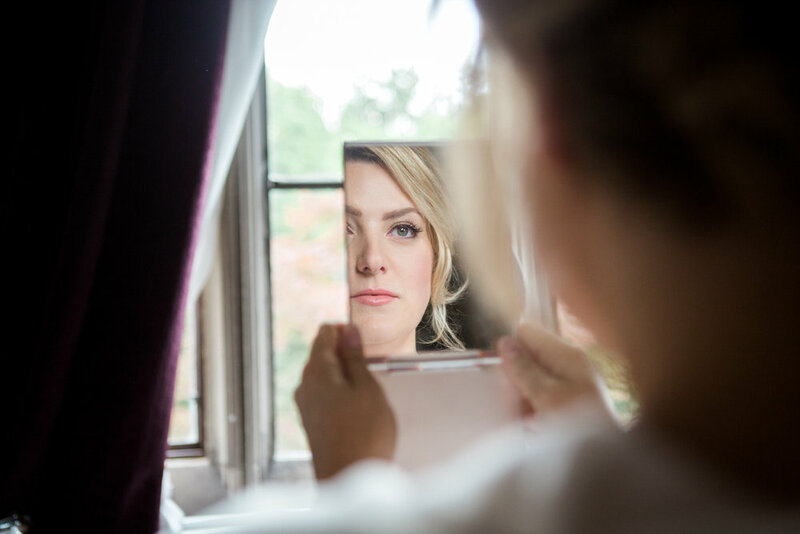 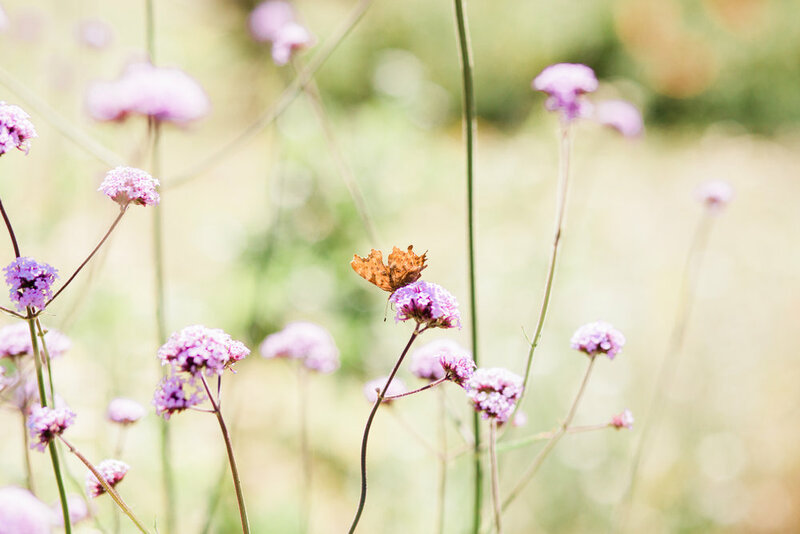 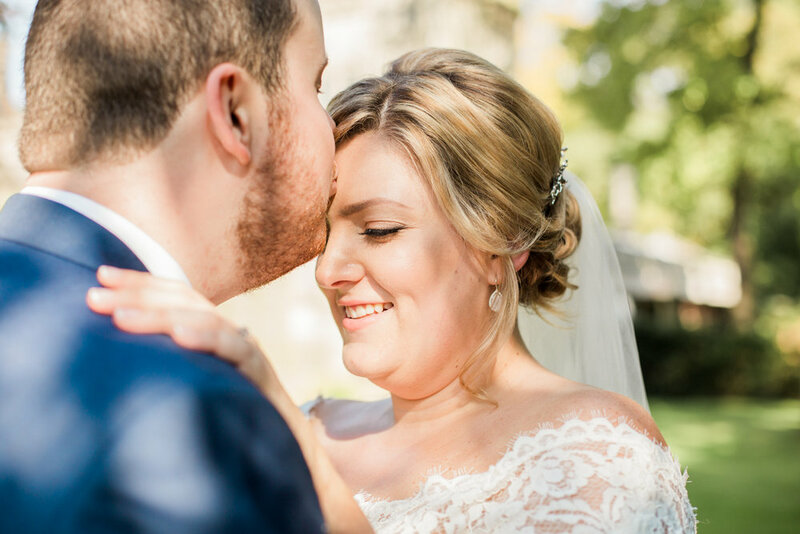 Sophie made us feel relaxed on the engagement shoot and on the day, having had 2 photographers and 2 videographers, we didn't feel like we constantly had people in our face and forgot they were there which was lovely. 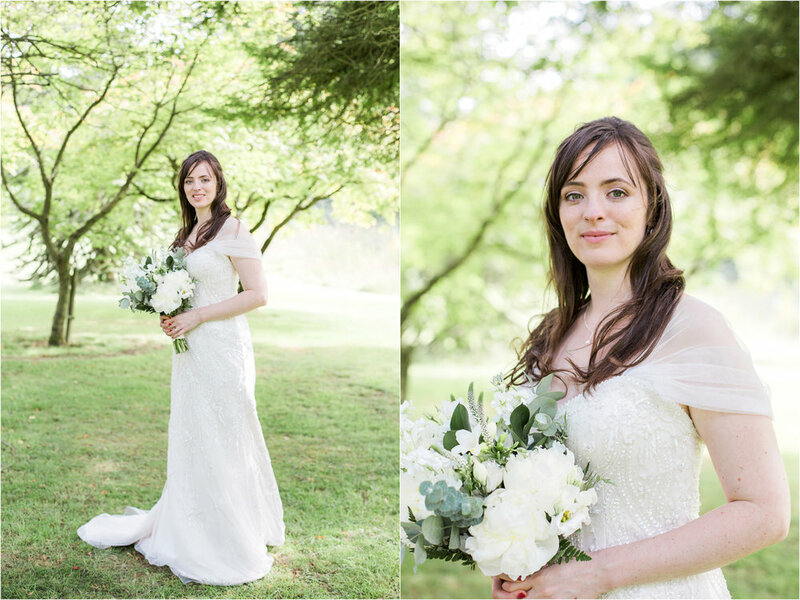 Lisa the second photographer was great, and having a second photographer is something I'd really recommend. 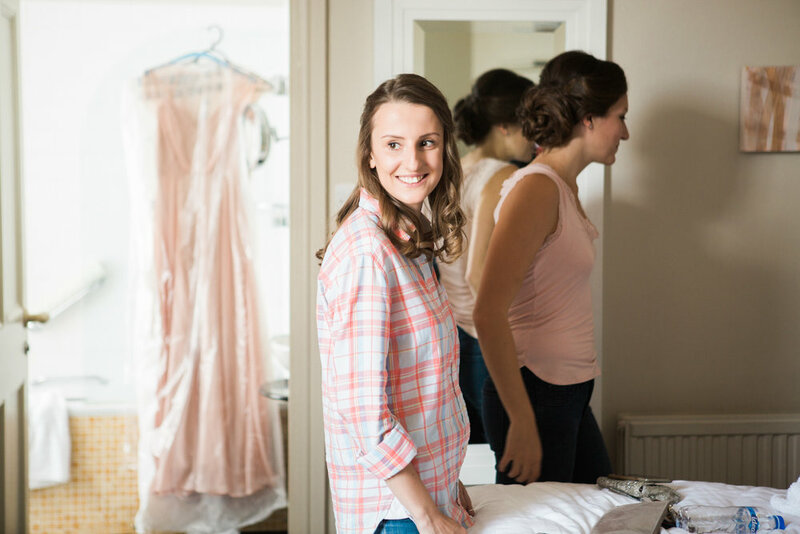 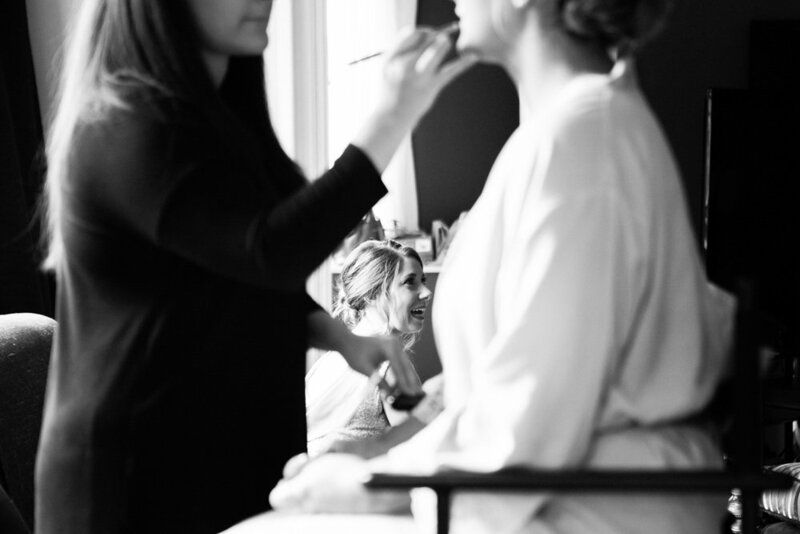 Sophie just did an amazing job and can't recommend enough, super relaxed and fun on the day! 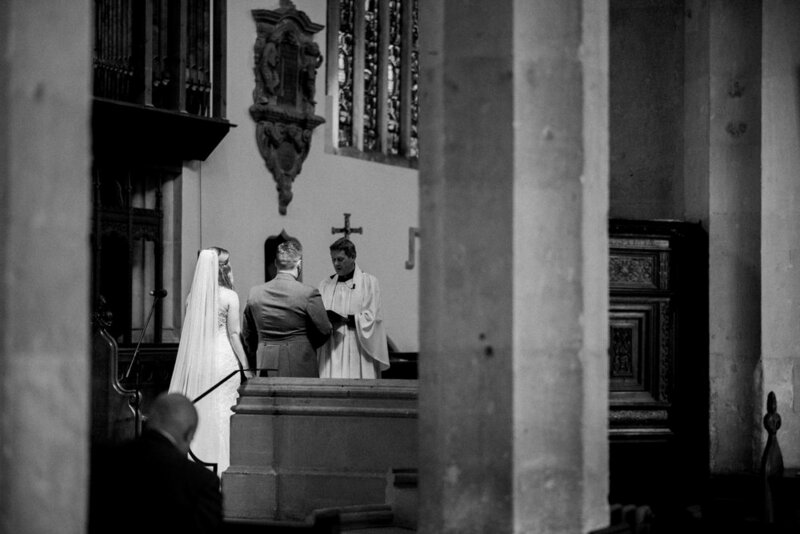 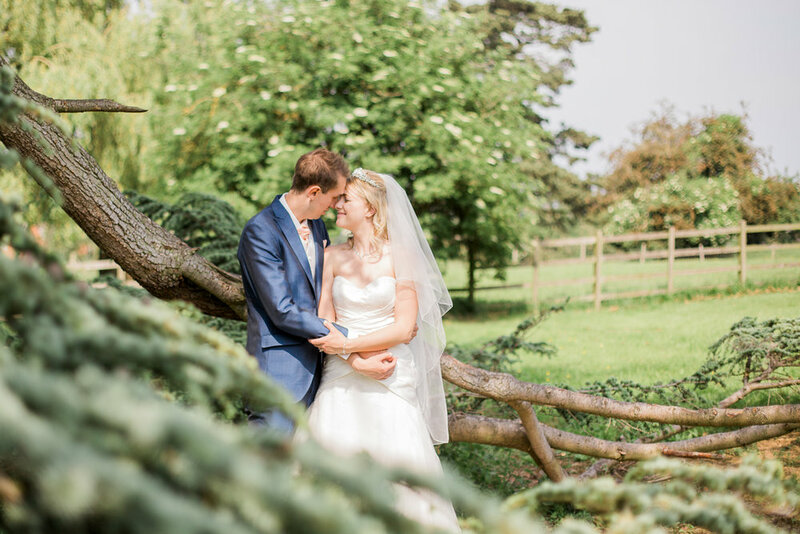 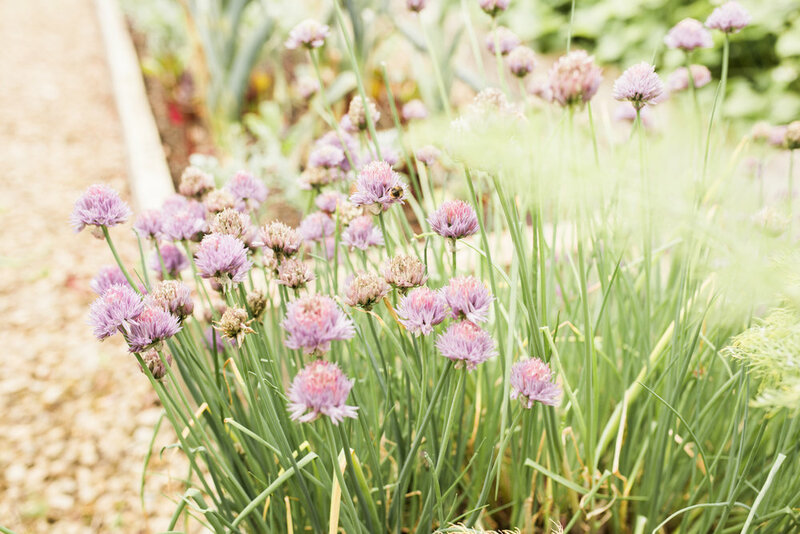 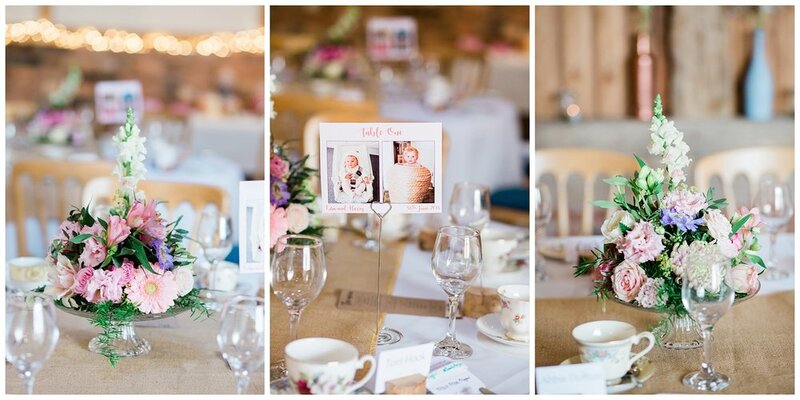 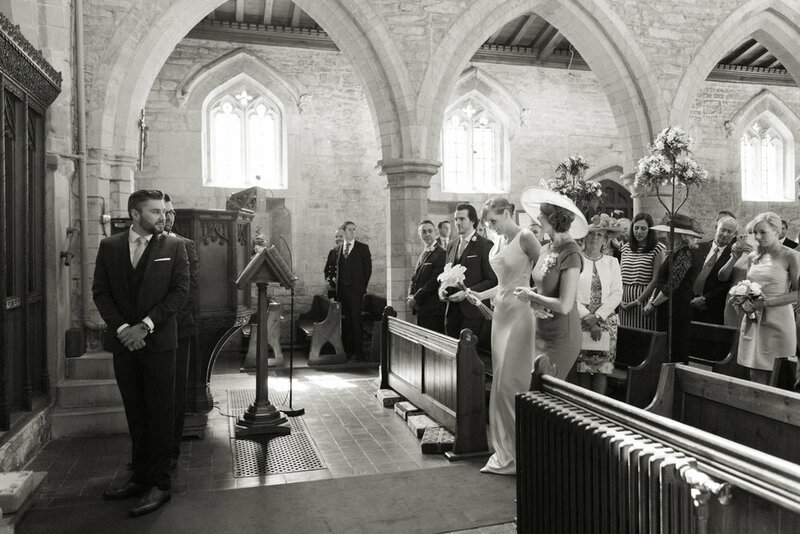 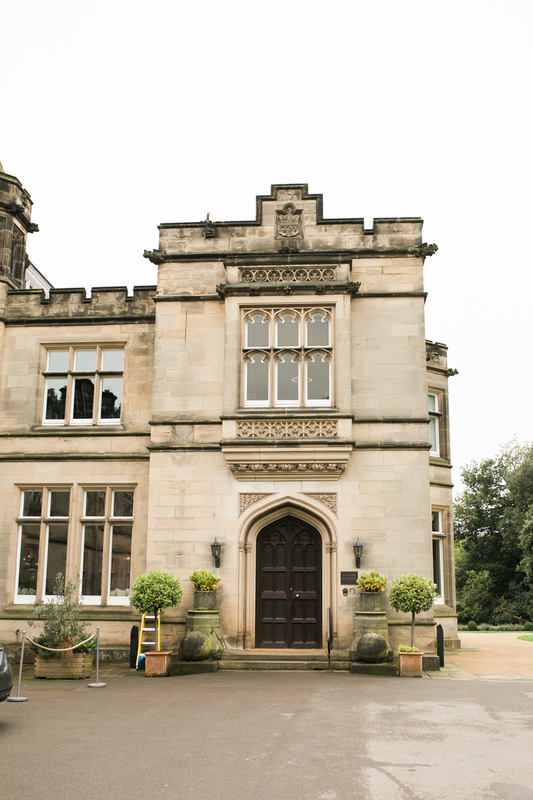 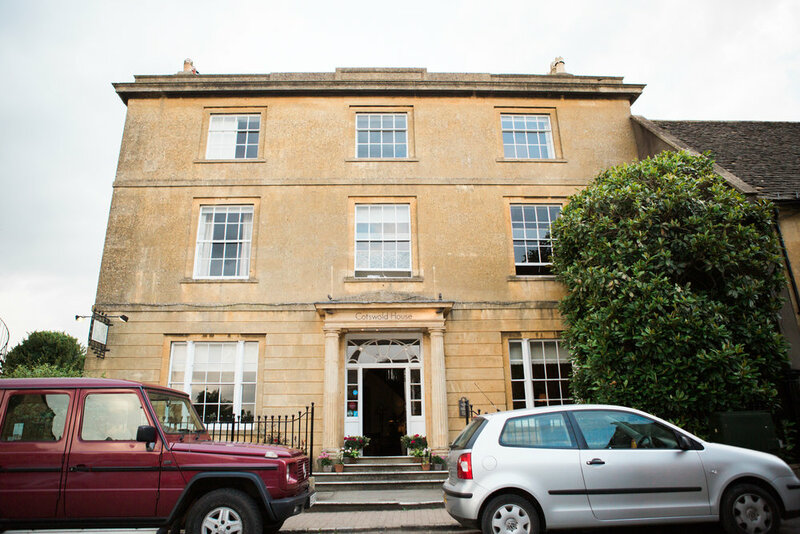 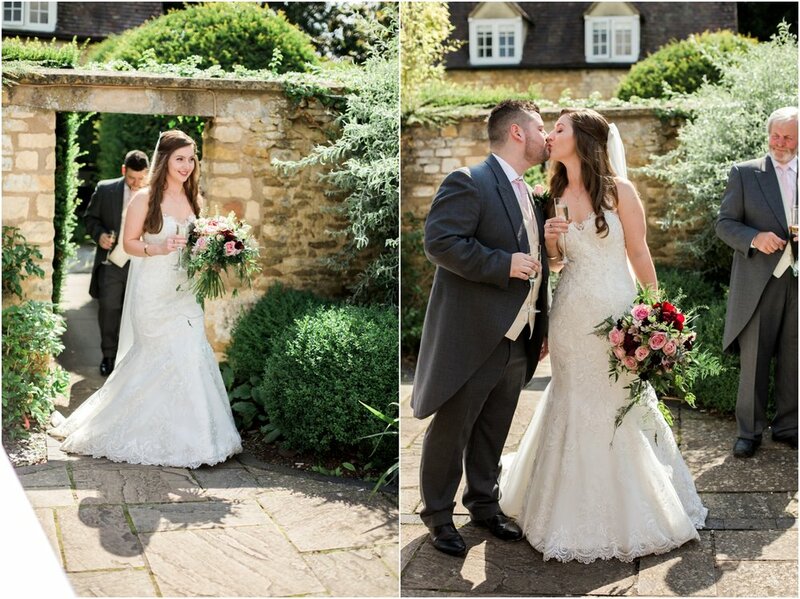 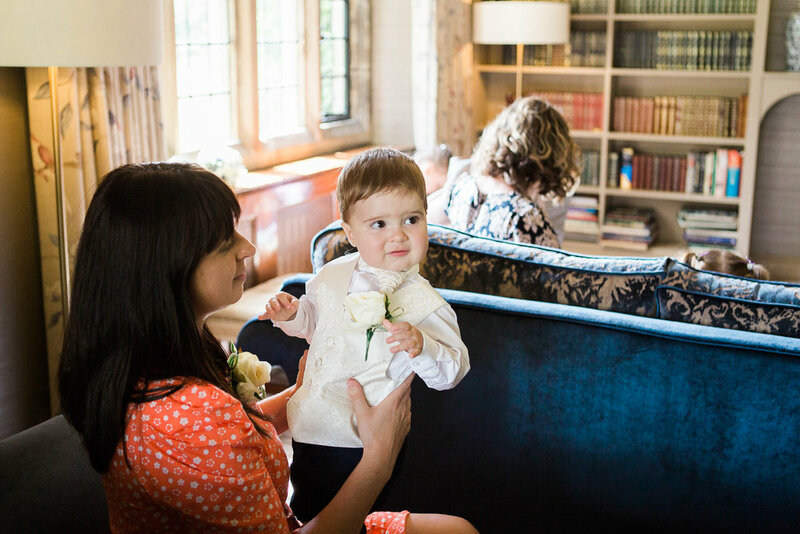 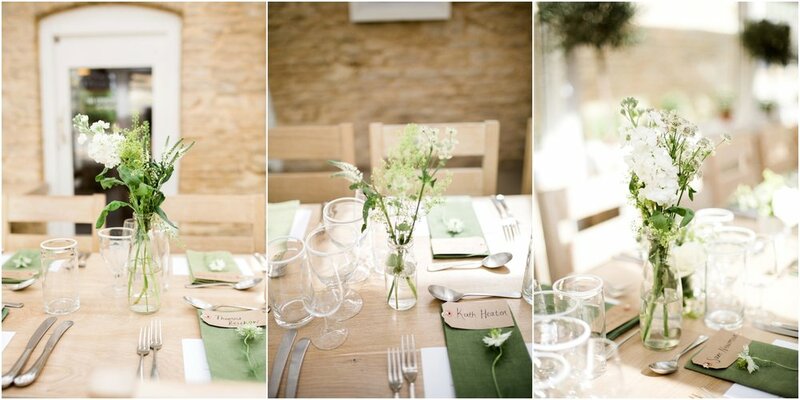 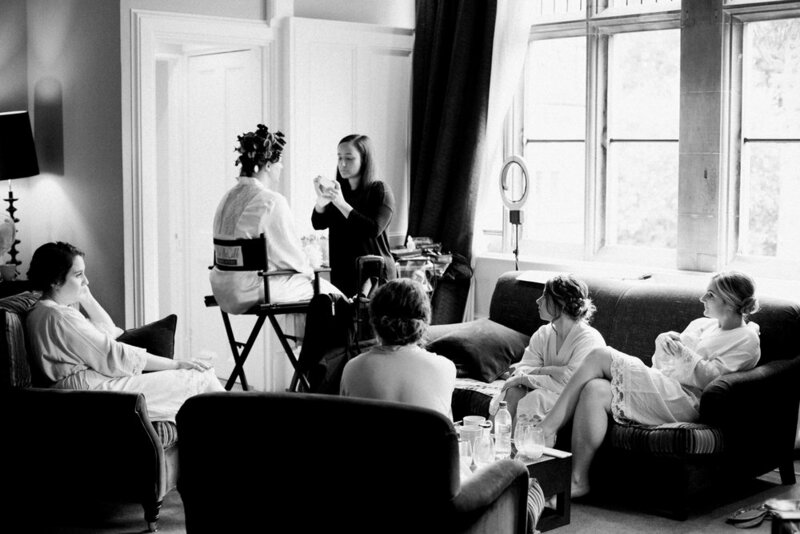 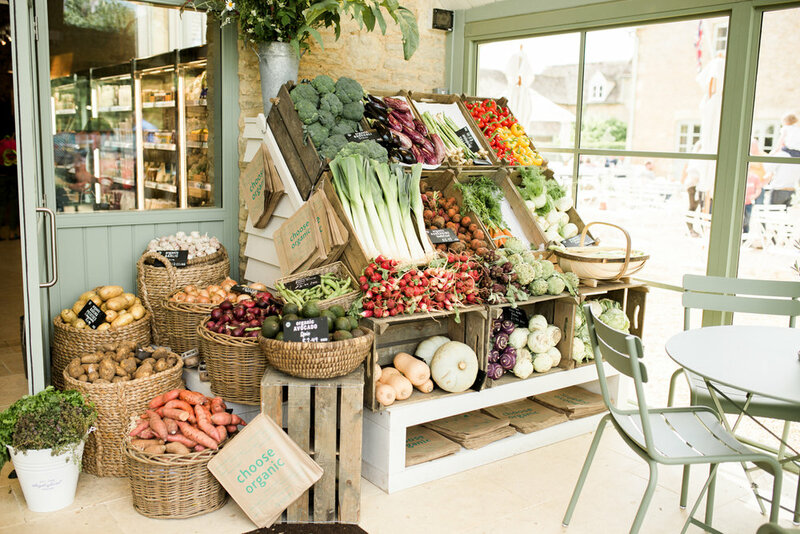 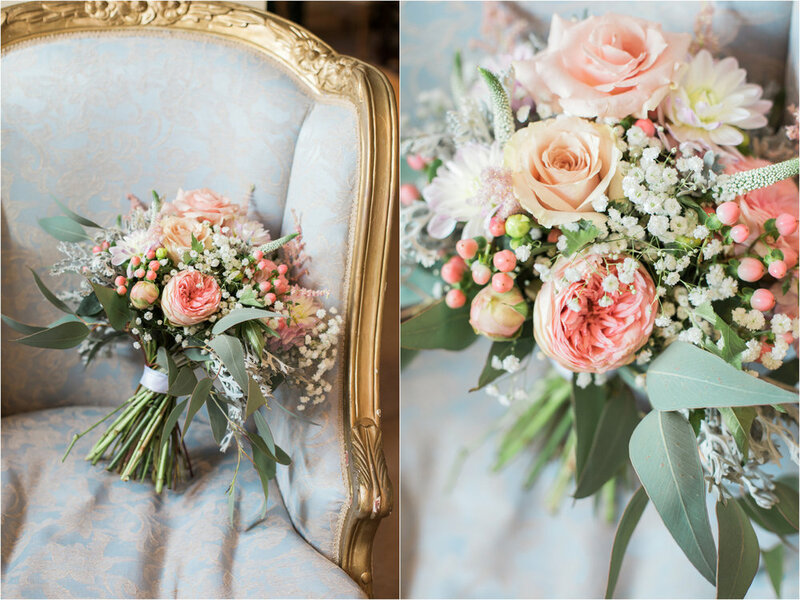 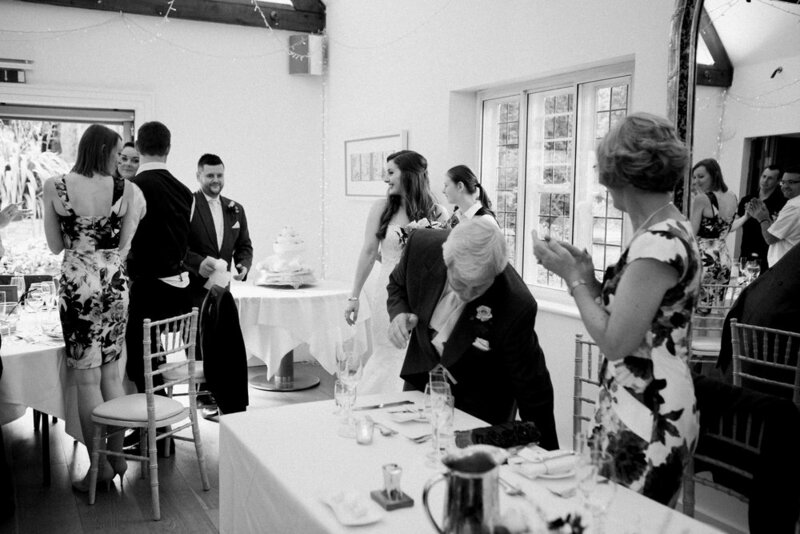 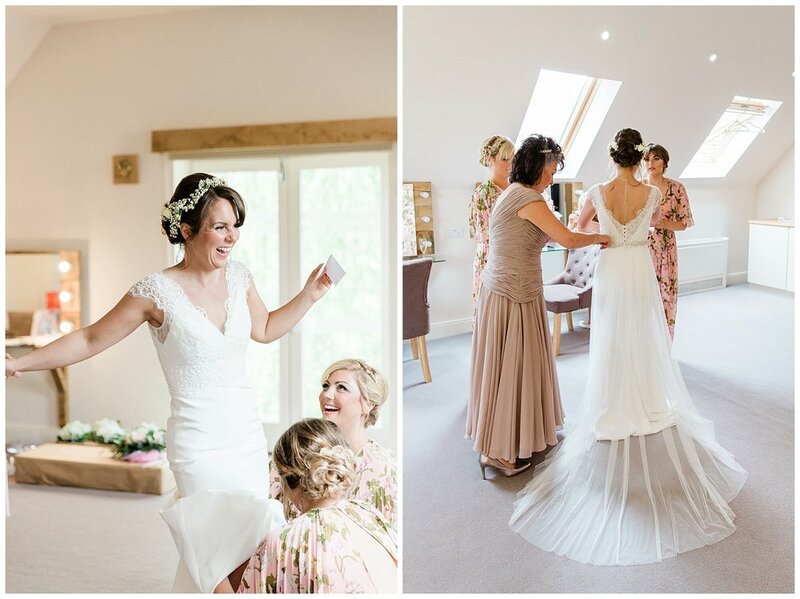 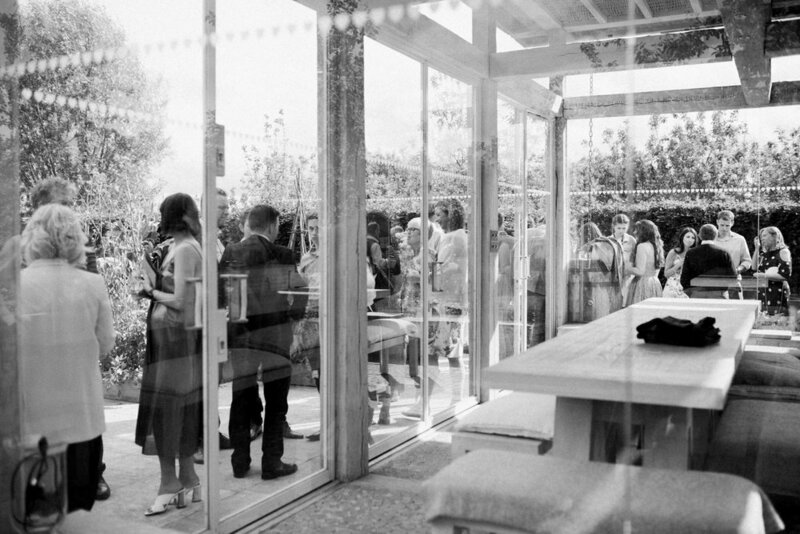 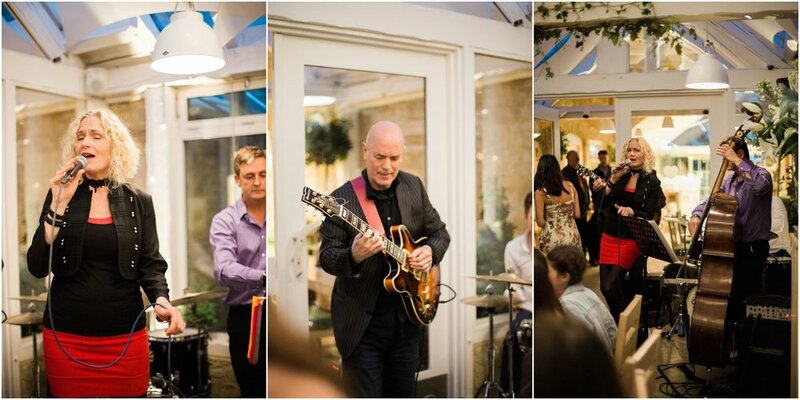 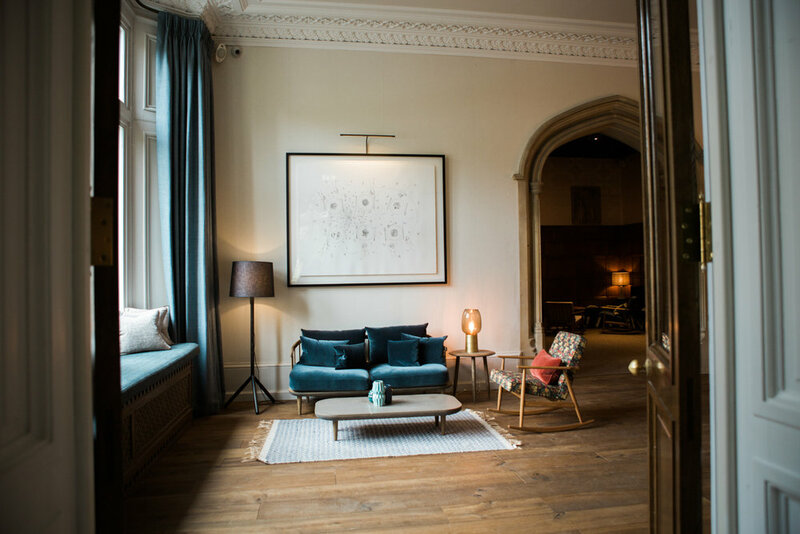 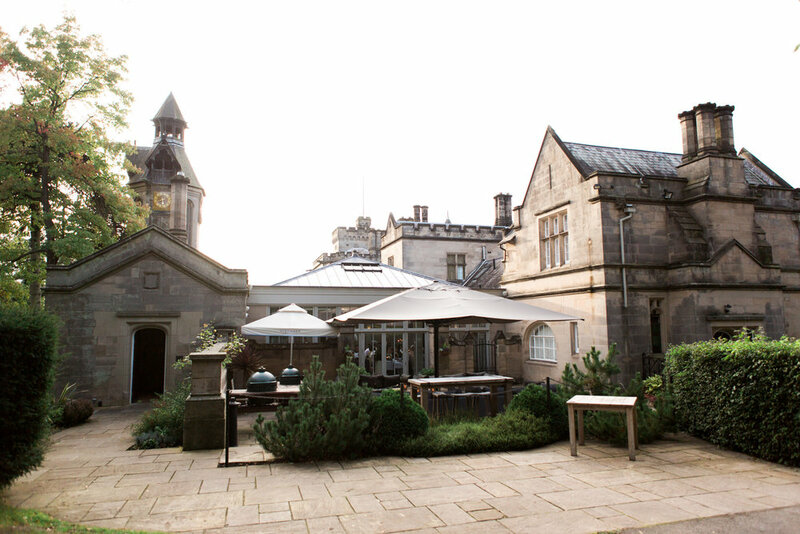 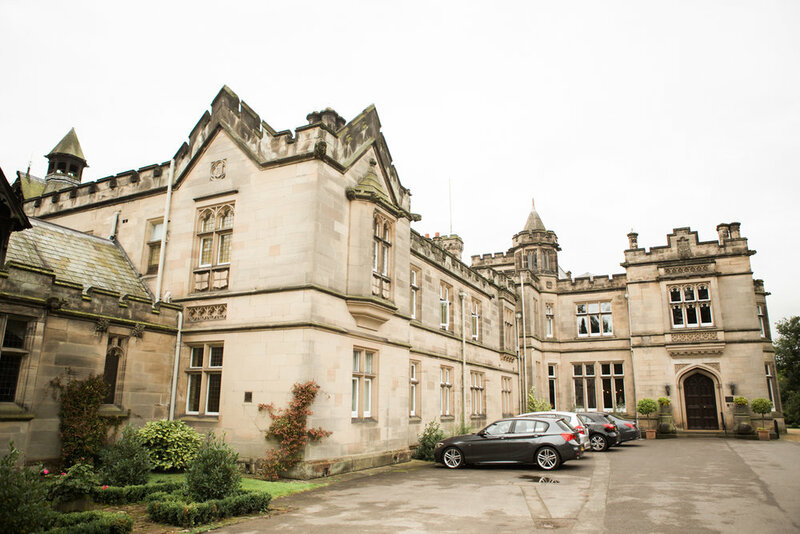 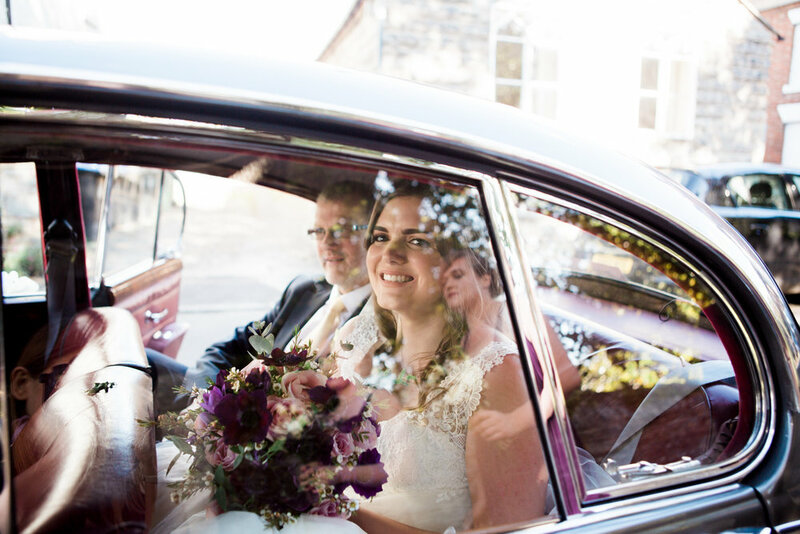 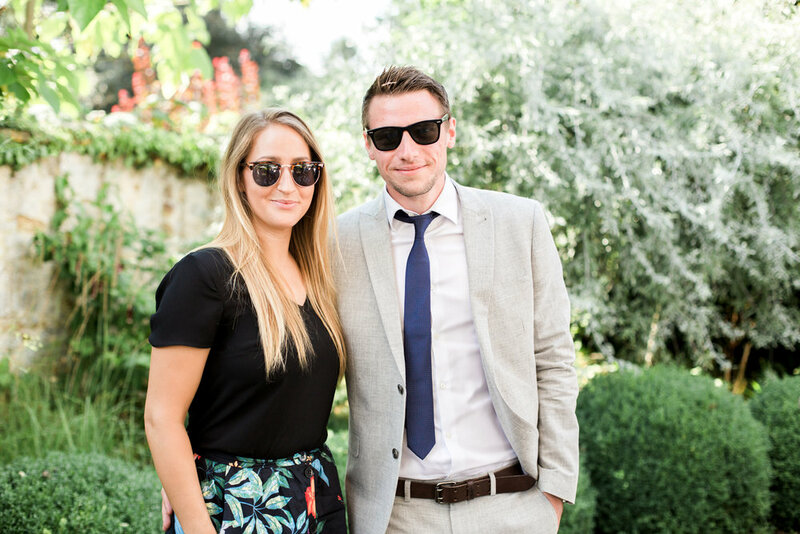 Jodi & Floris got married at the stunning Hyde House in in the beautiful Cotswolds, wow, what a dream venue! 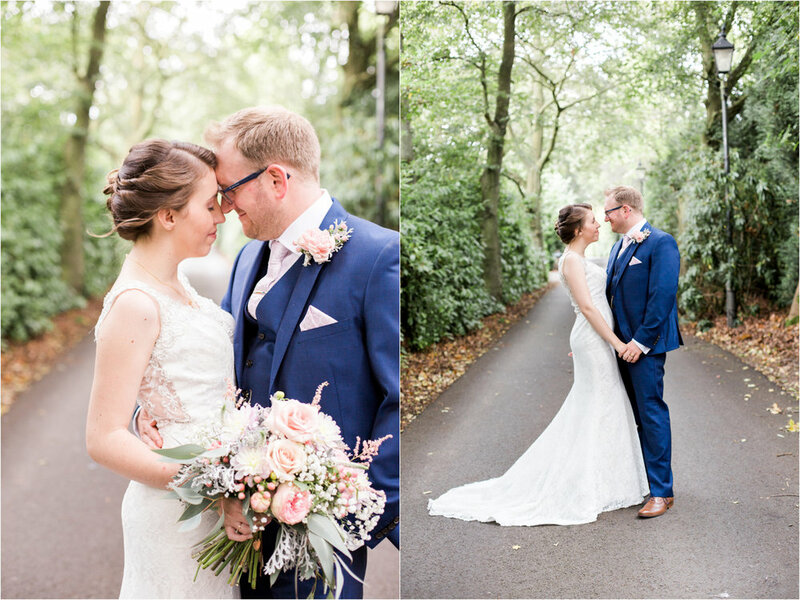 Jodi & Floris are the sweetest, most genuine couple you could ever wish to meet and their day was filled with so much warmth and love. 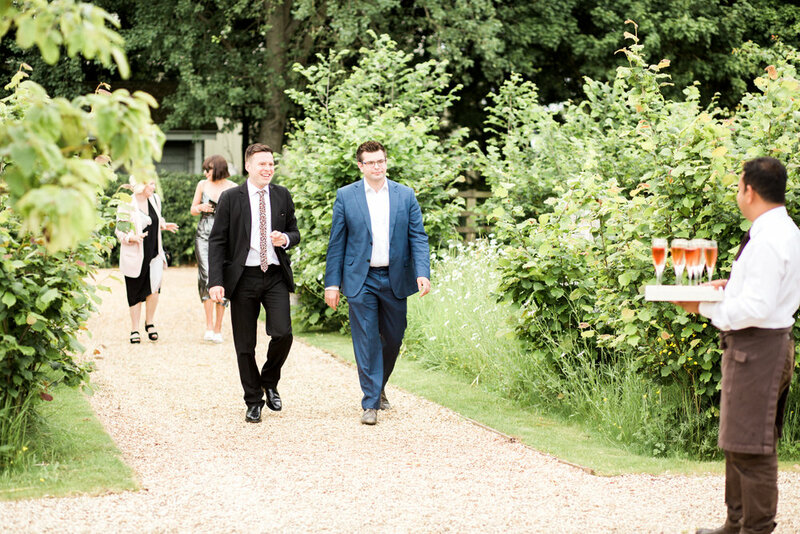 Oh and can we have more dogs at weddings please?! 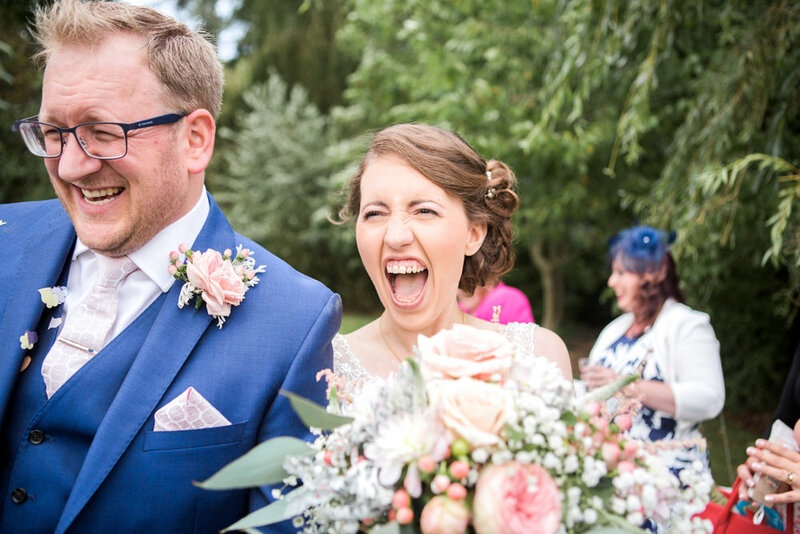 We are sooooo happy with all the pictures you took for us! 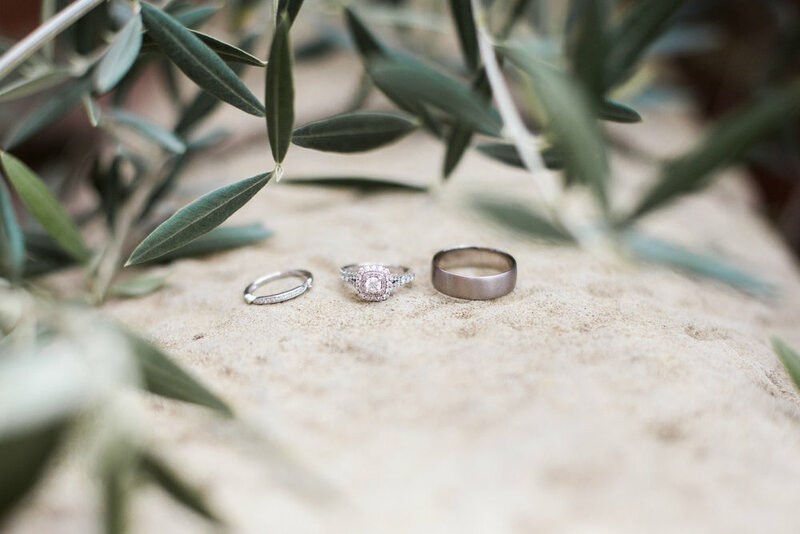 they are everything we hoped for and more. 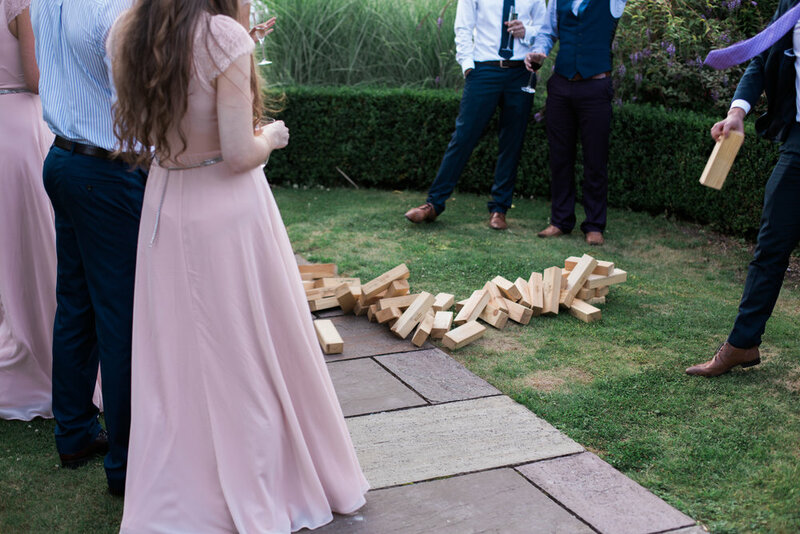 We have spent a few nights going through them and loading them onto the computer and google etc. 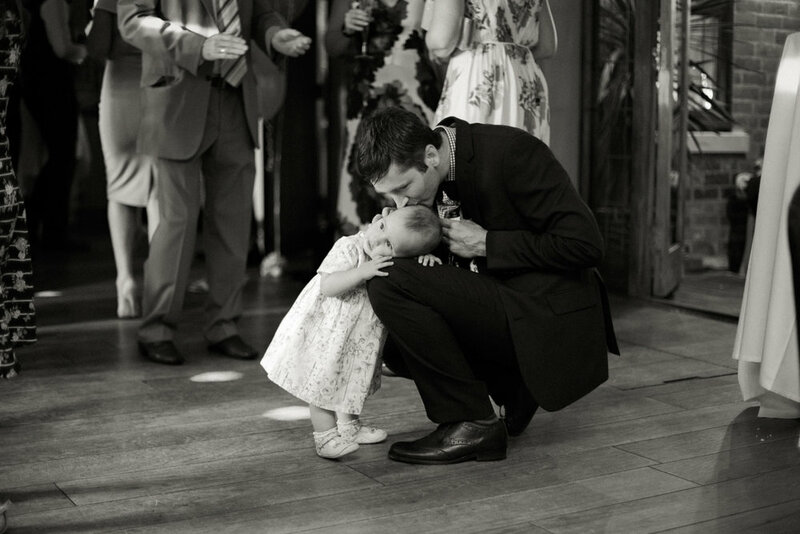 You have captured the whole day amazingly! 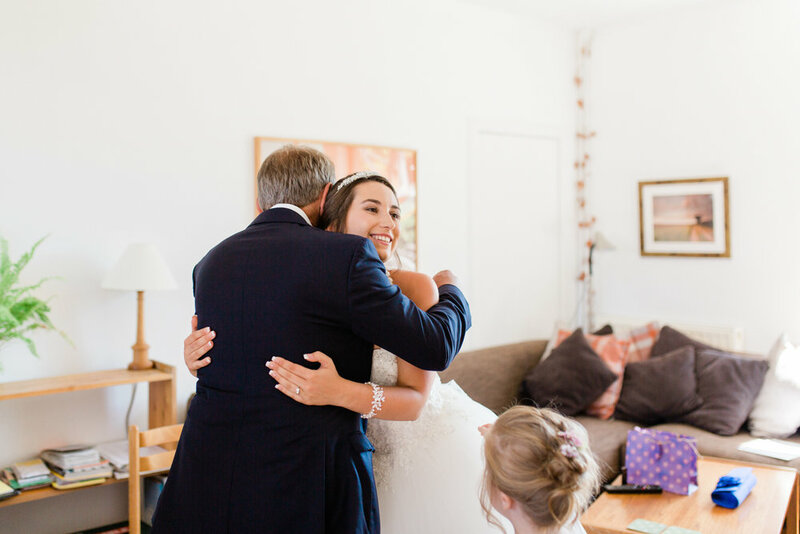 Thank you a million times and a big hug from us both. 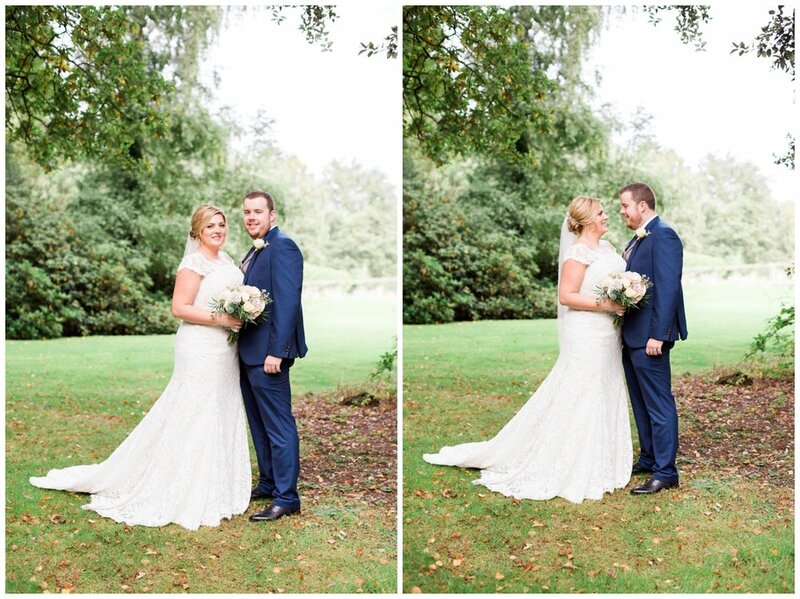 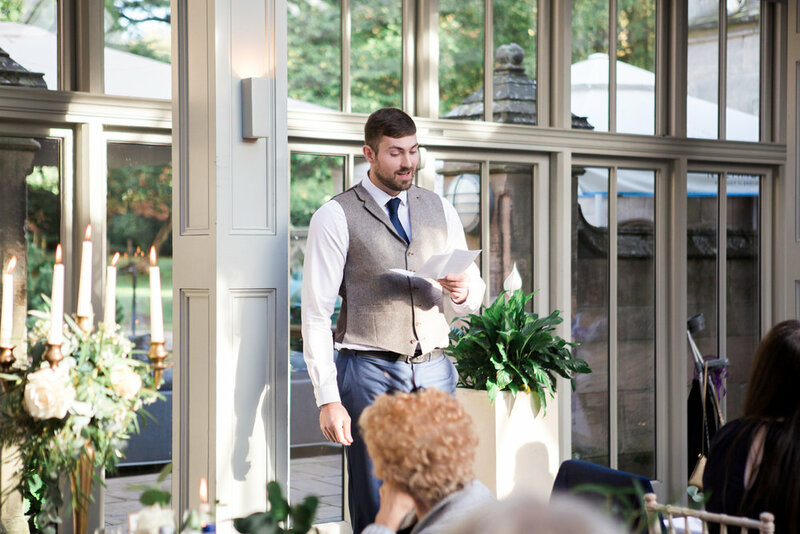 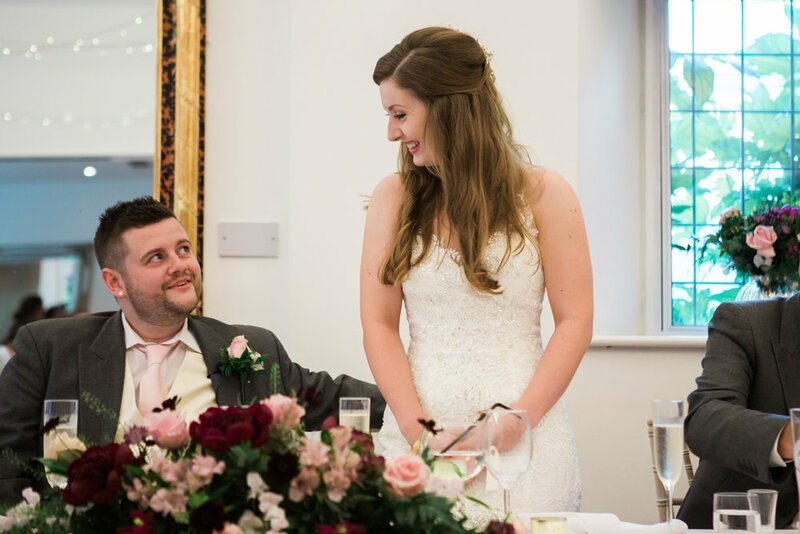 Hampton Manor in Solihull is such a wonderful venue and was the perfect setting for Rebecca & Liam's gorgeous wedding day. 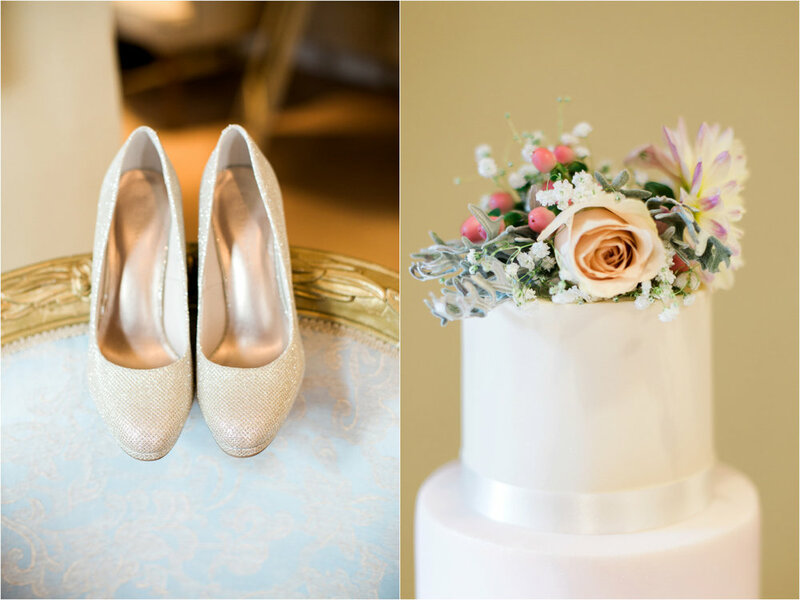 Their day was so elegant with the most beautiful floral arrangements and cakes to die for! 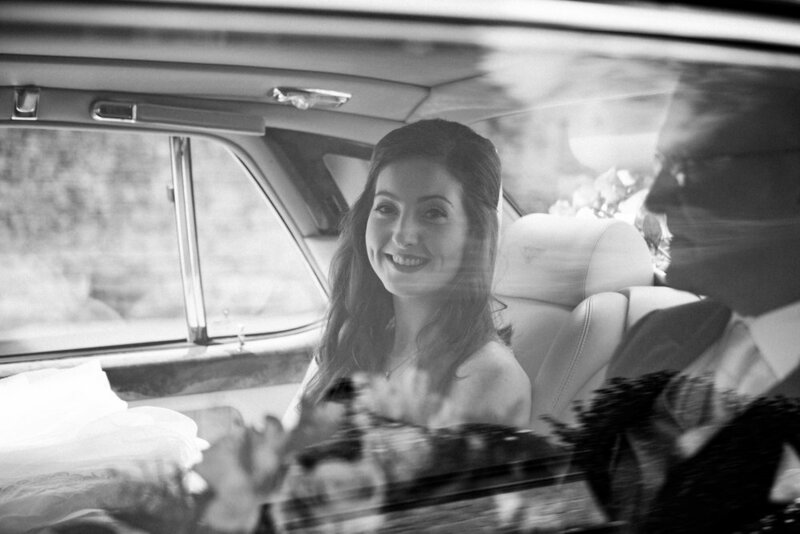 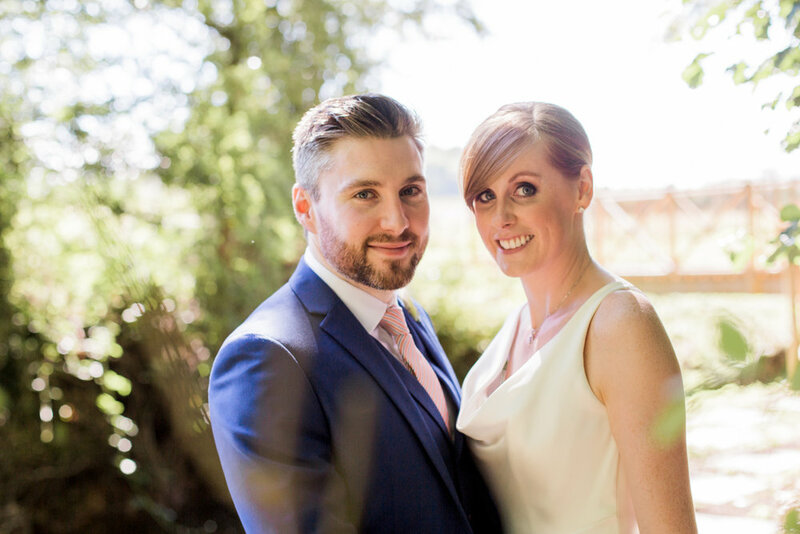 Rebecca & Liam were so welcoming and didn't stop laughing all day which made them a dream to photograph. 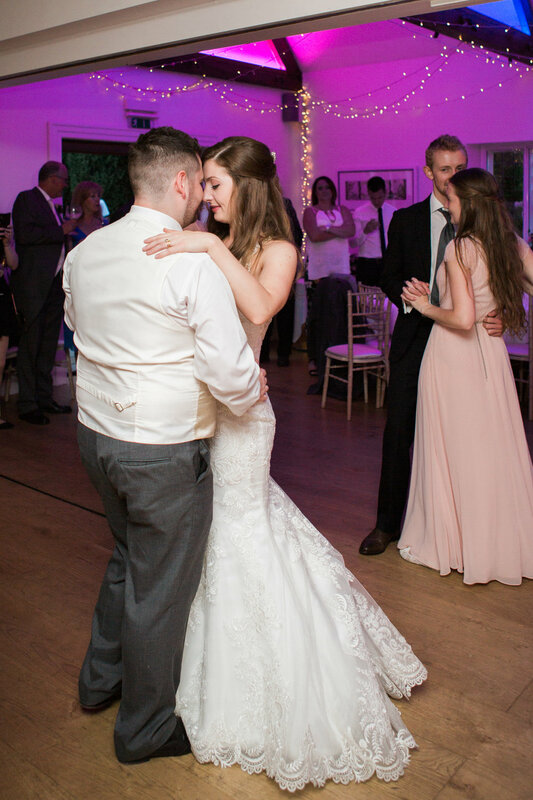 2017 was epic! 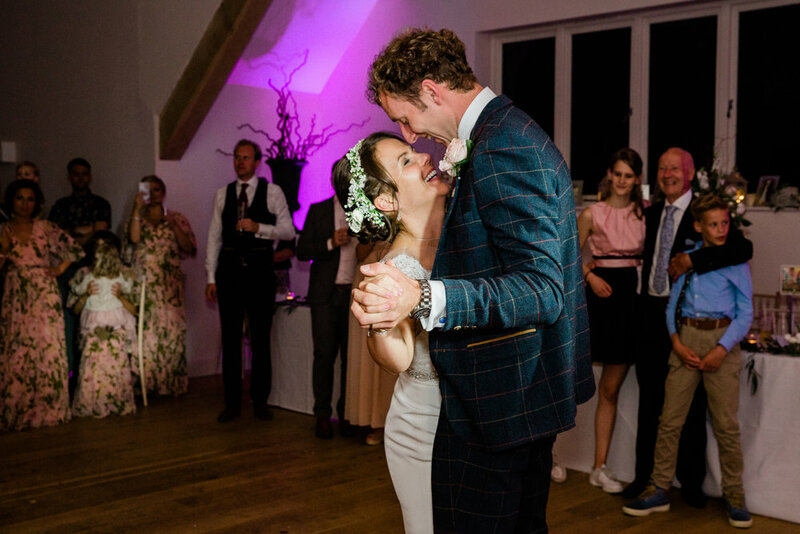 I am the luckiest girl in the world to play a small part of such wonderful days and meet such amazing couples and families, I really do have the best job ever! 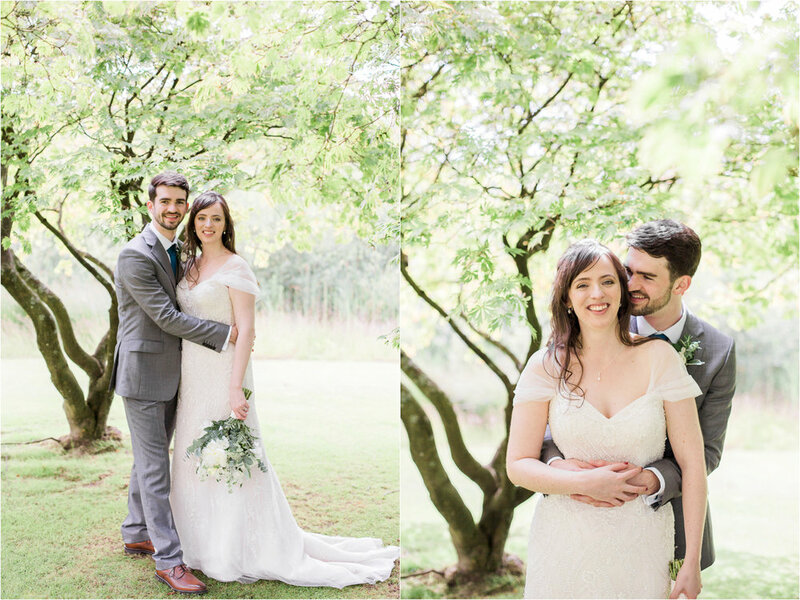 Looking back at these wedding from 2017 fills me with so much joy and love, I loved every single one! 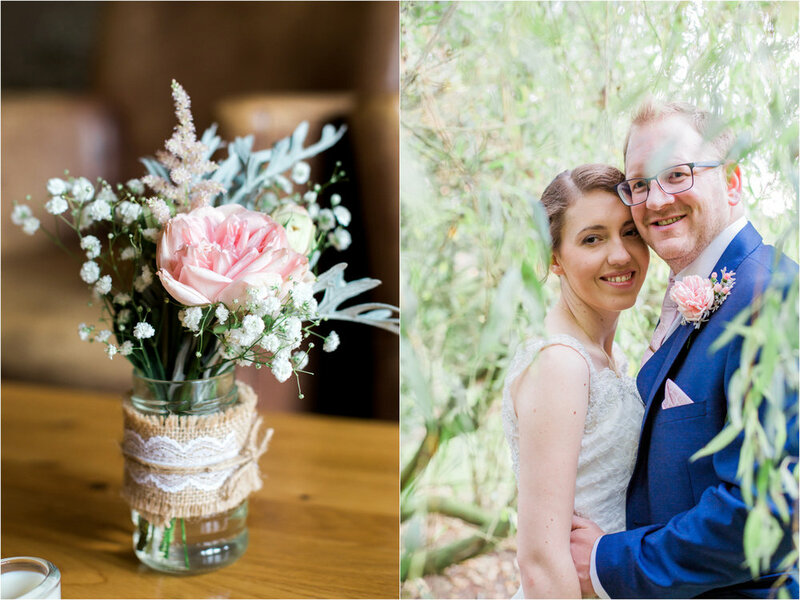 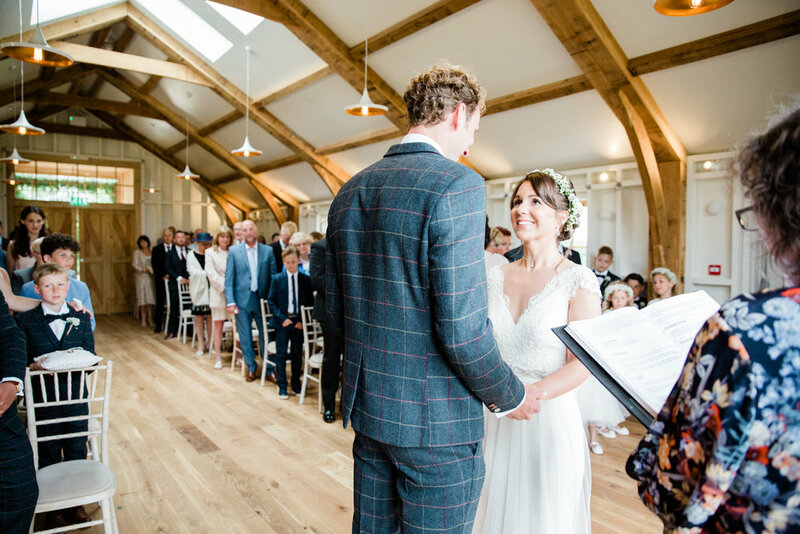 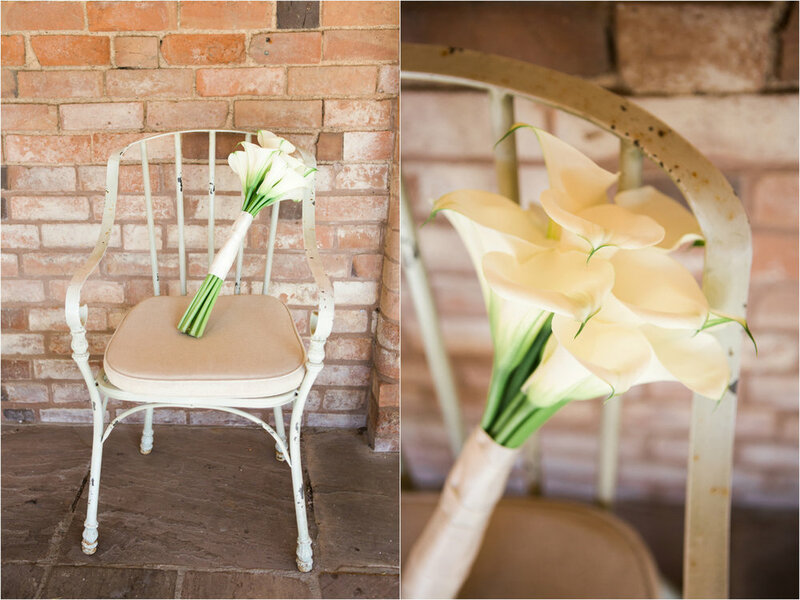 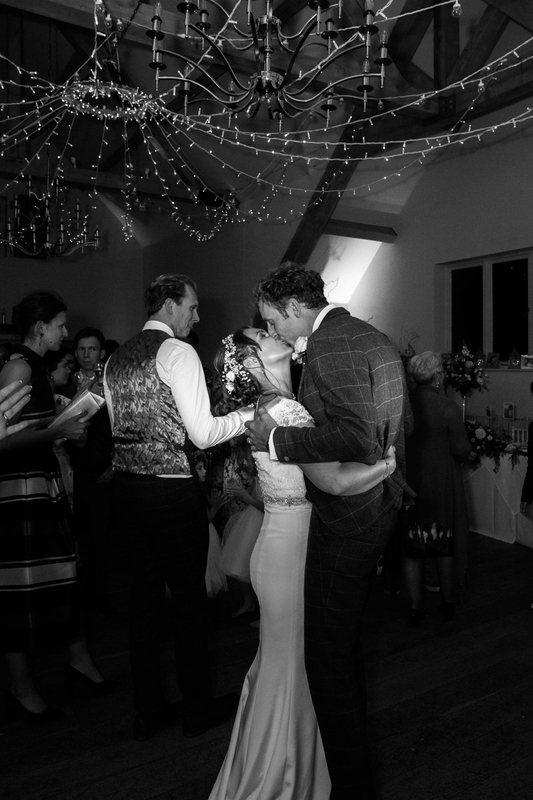 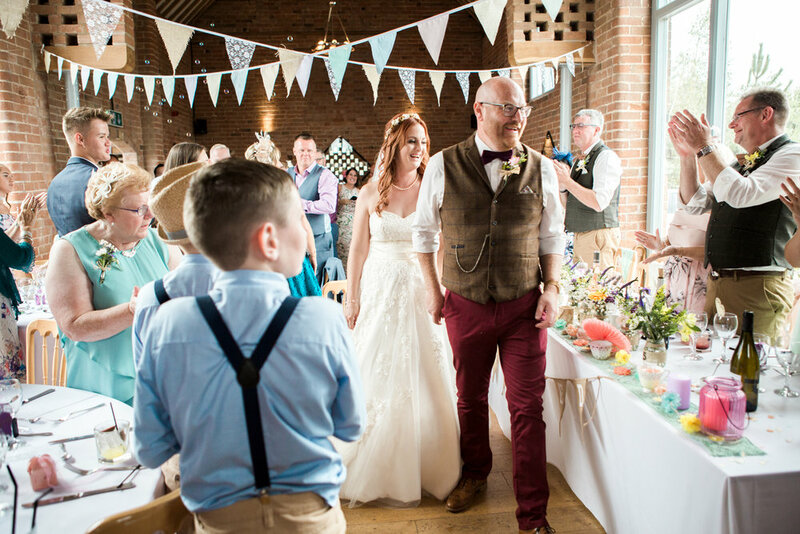 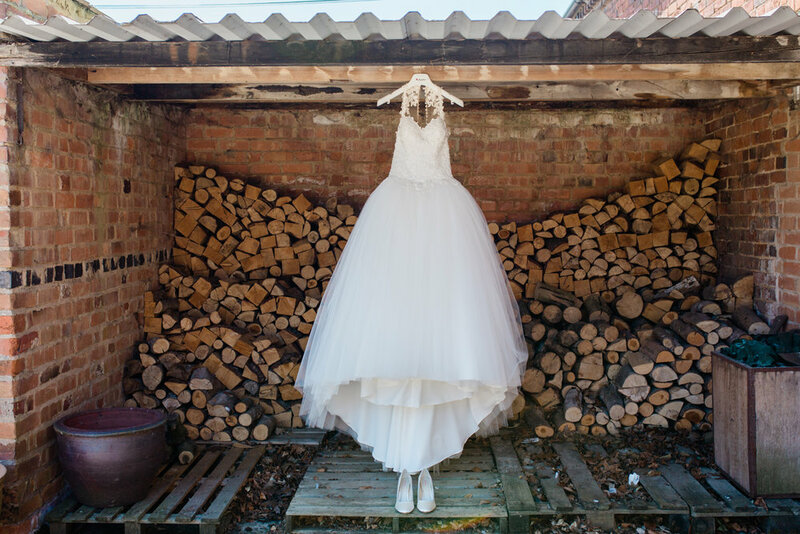 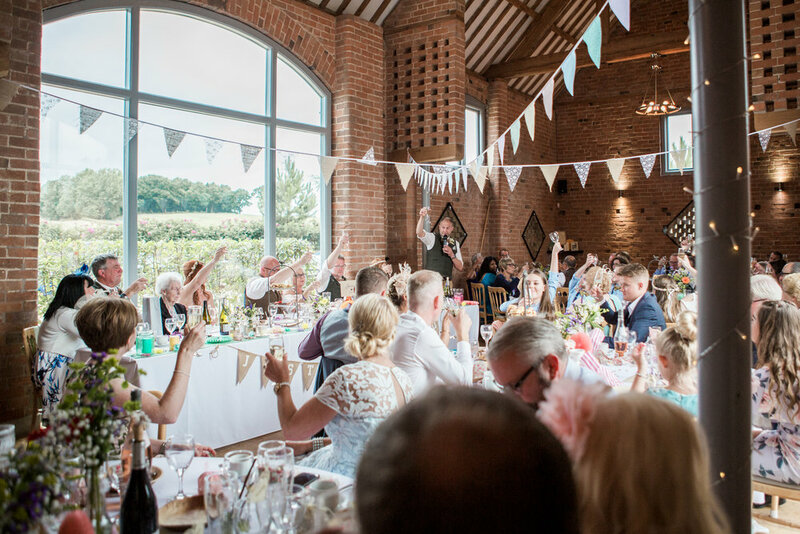 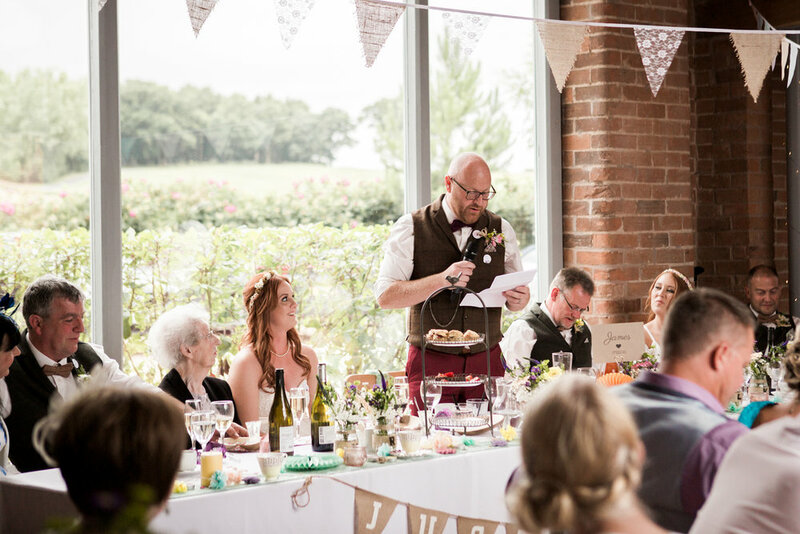 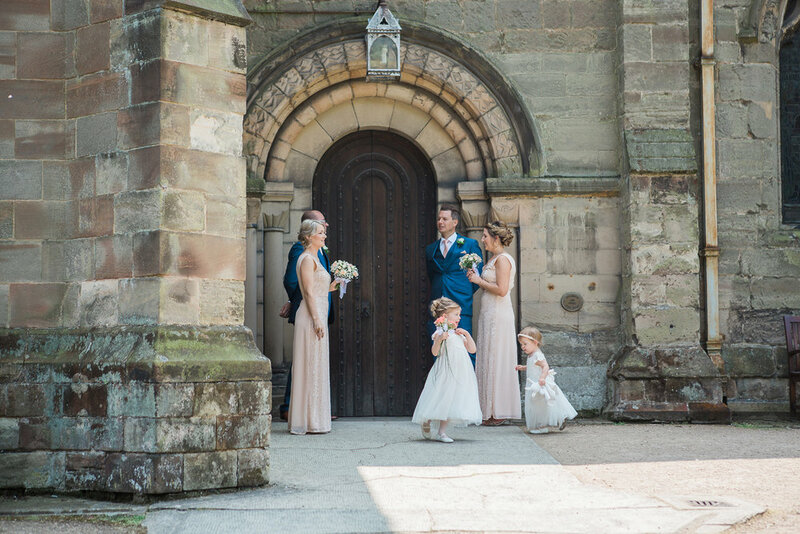 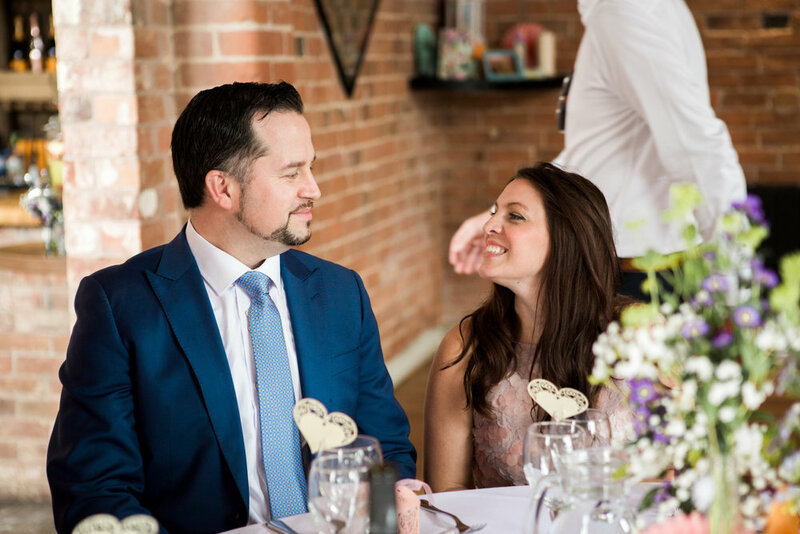 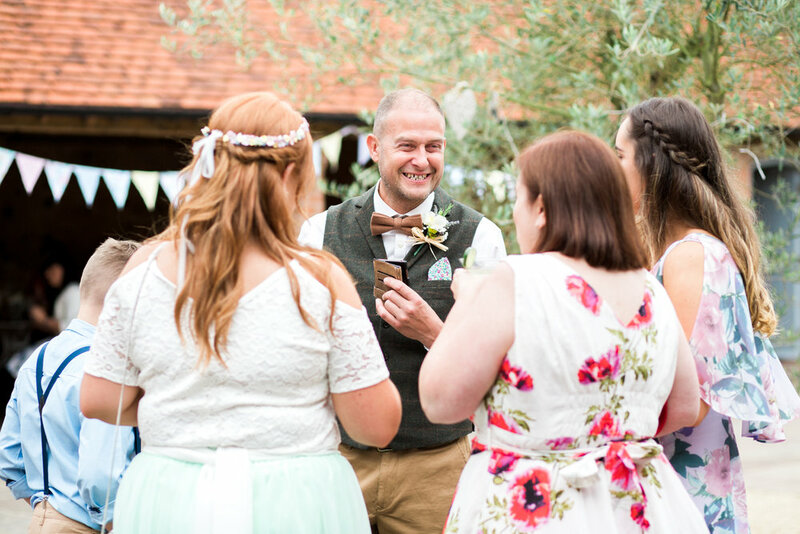 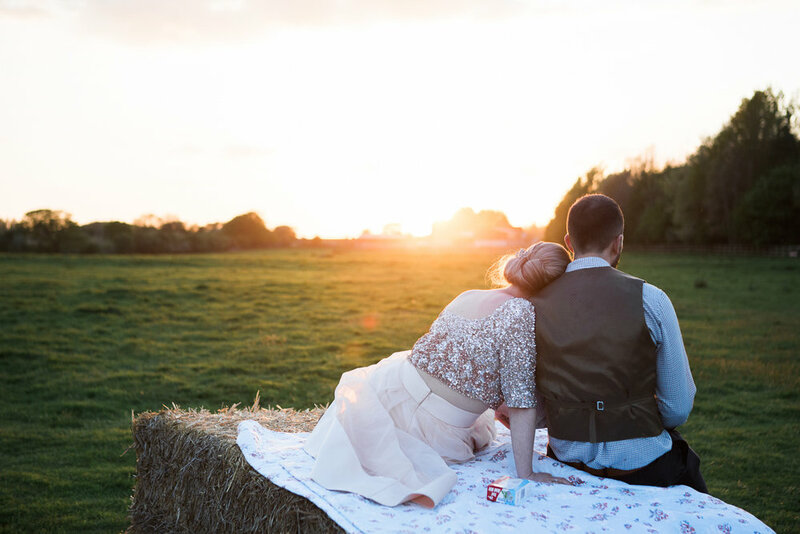 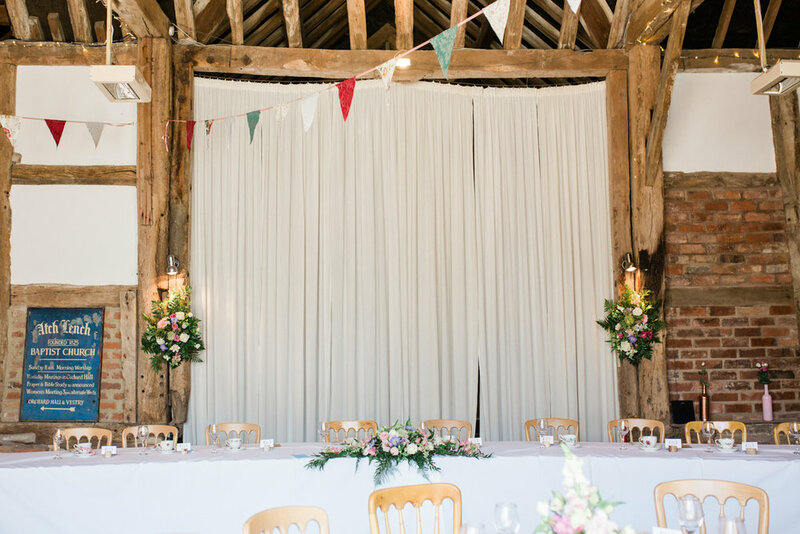 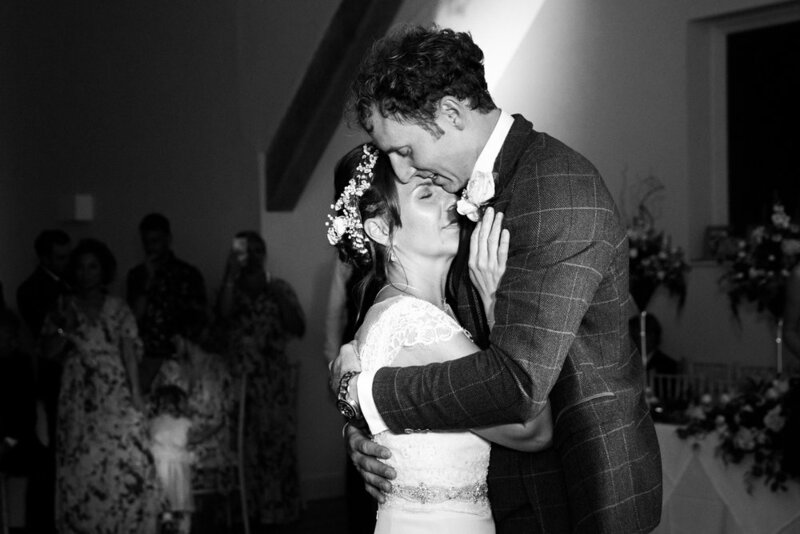 Rowsie & Lee held their beautiful wedding at the stunning Swallows Nest barn; an amazing converted barn set in the idyllic Warwickshire countryside. 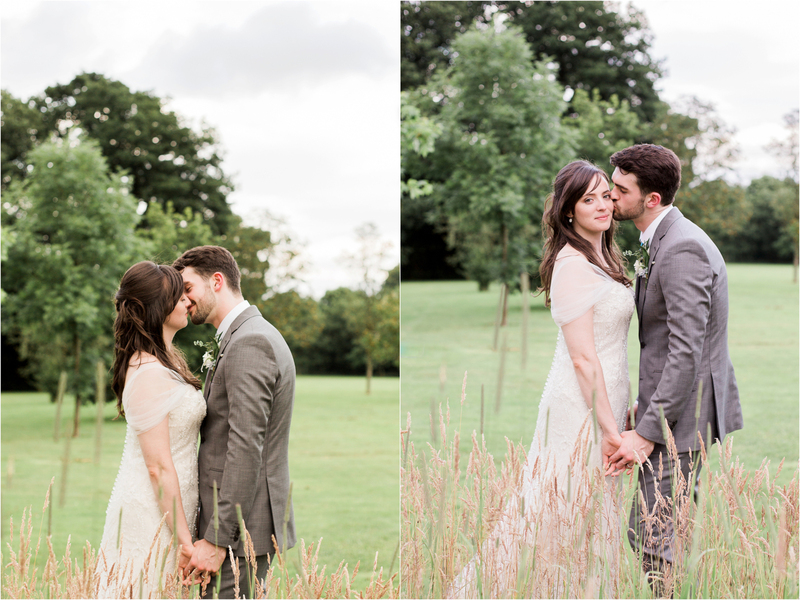 Their day was filled with so much colour, laughs and love and was such a pleasure to photograph. 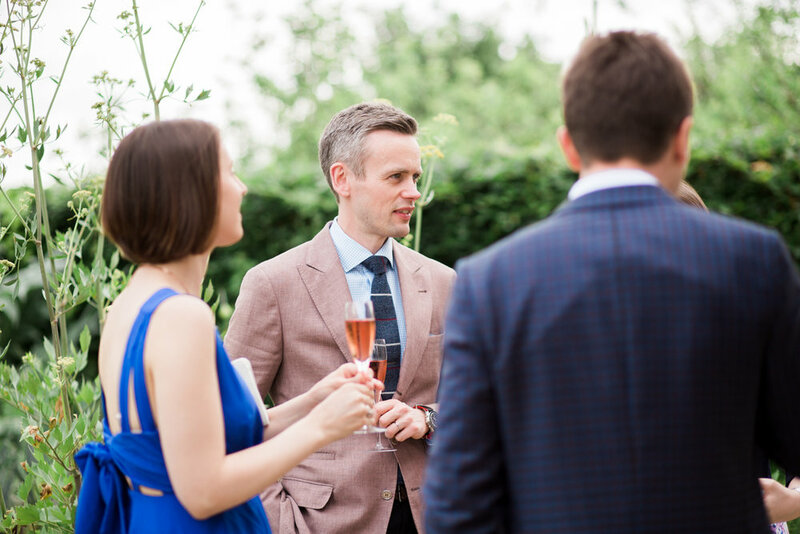 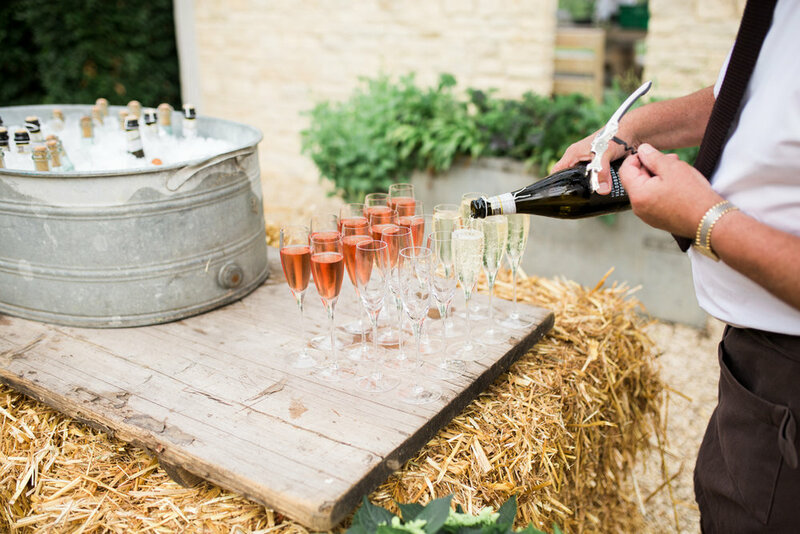 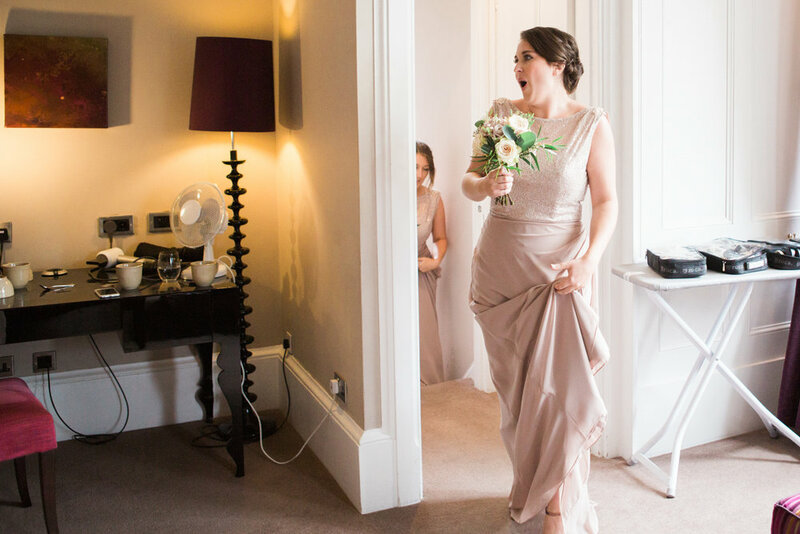 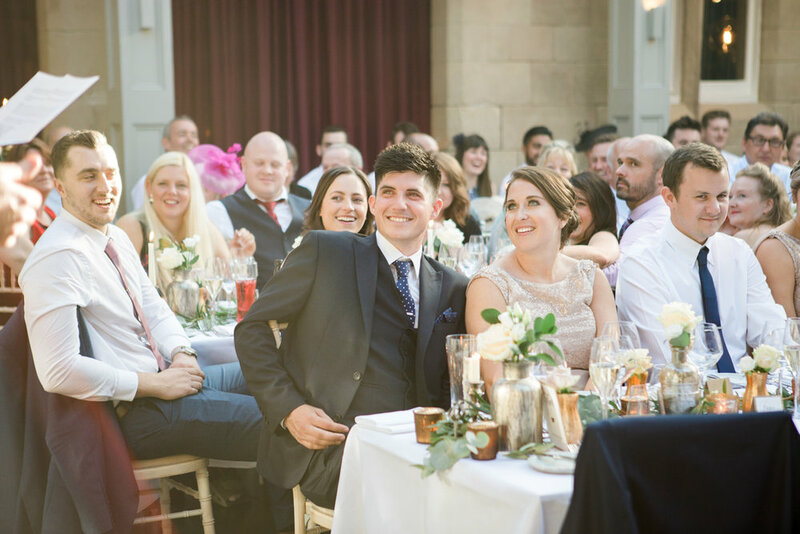 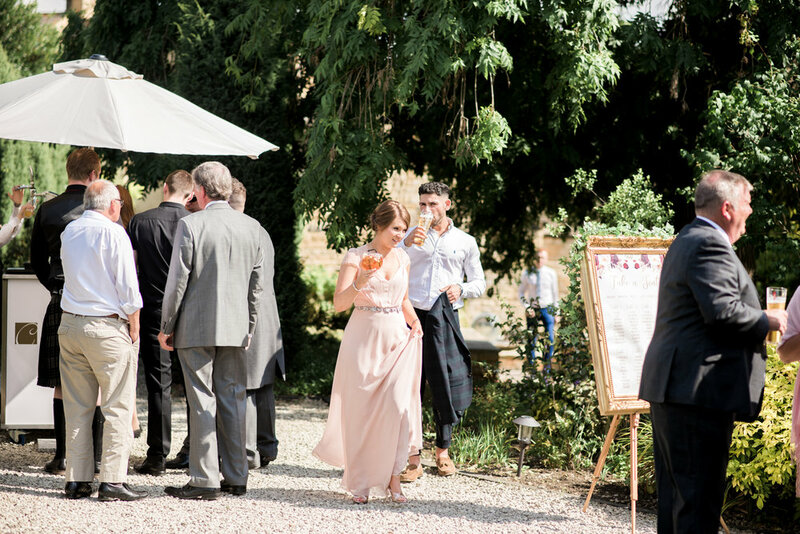 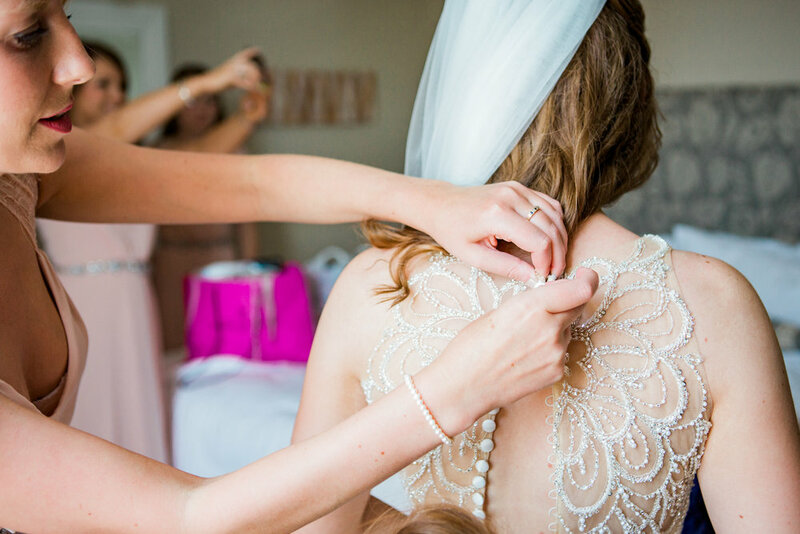 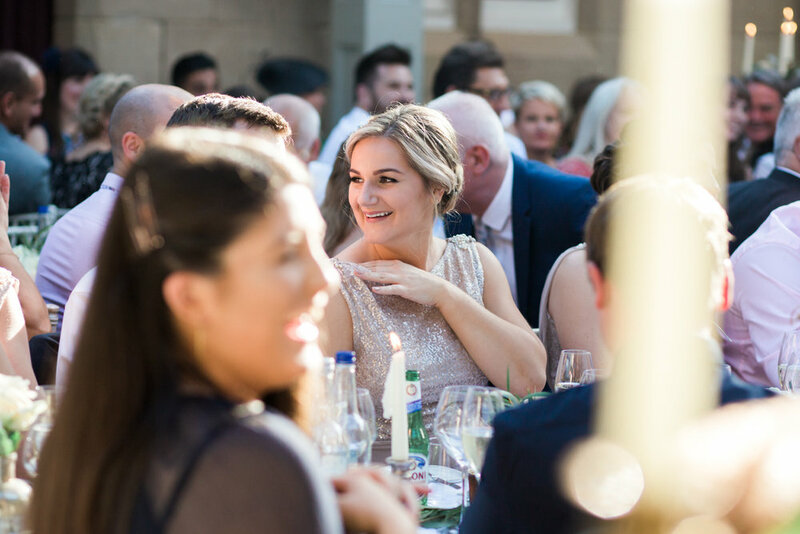 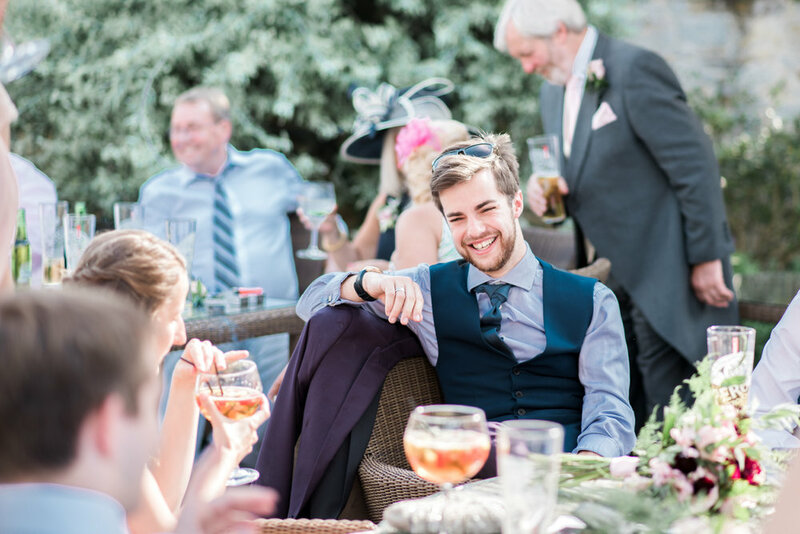 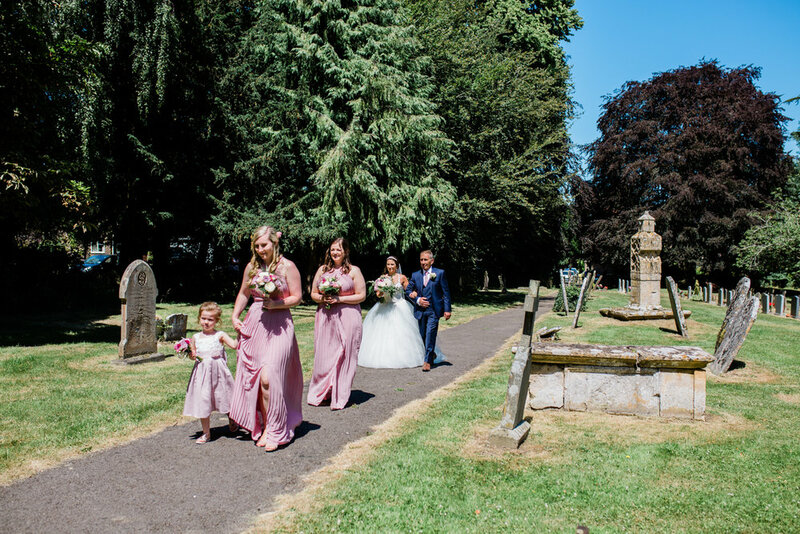 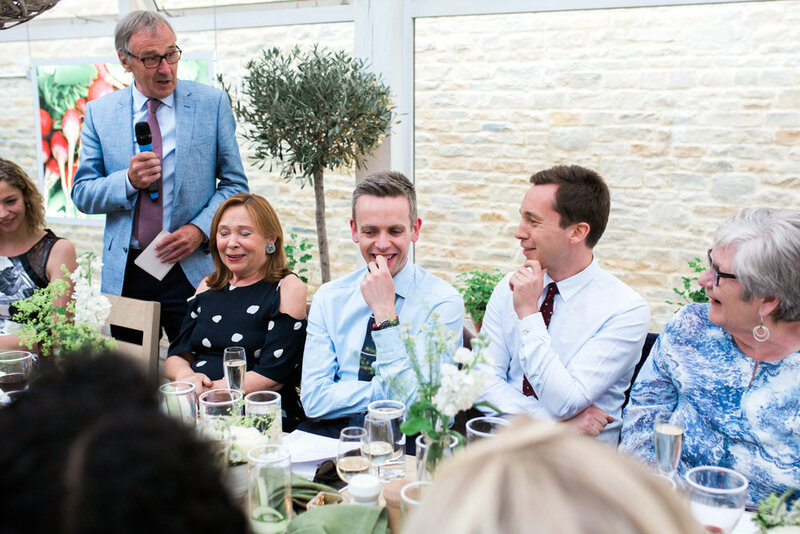 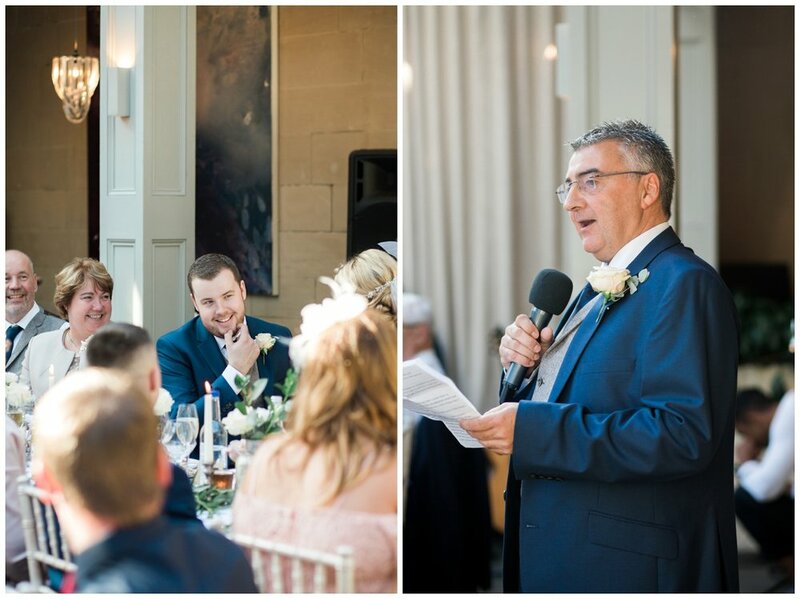 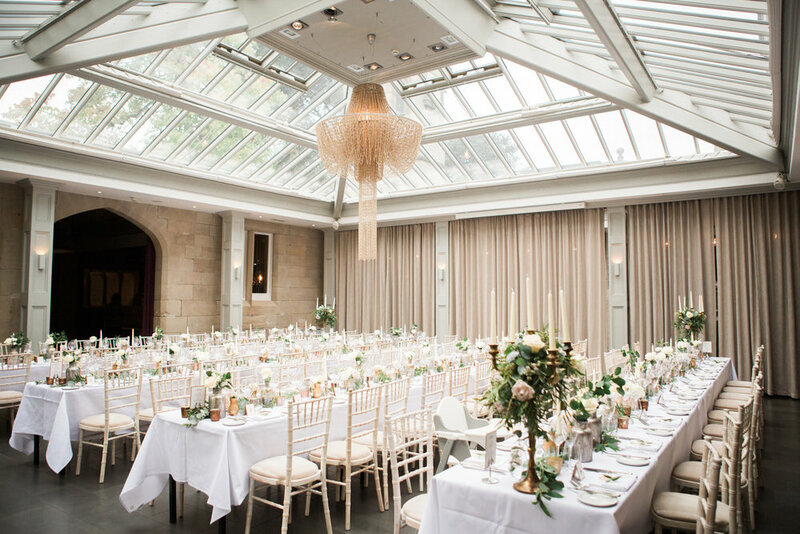 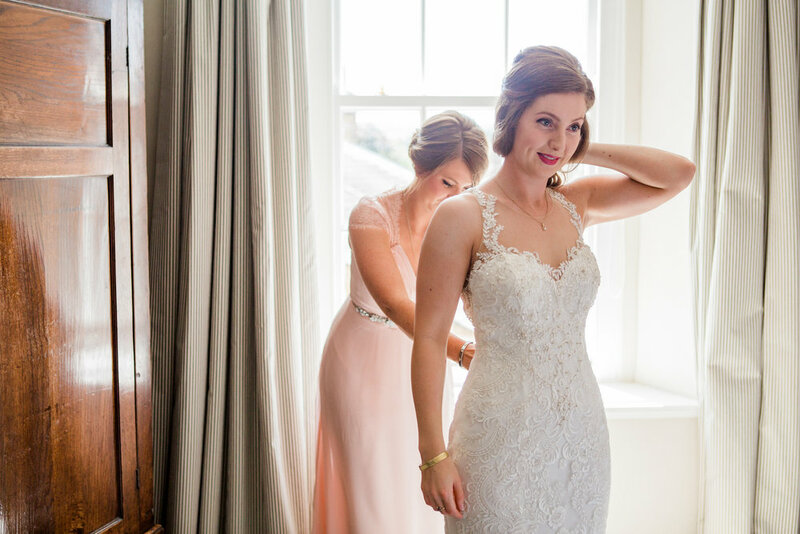 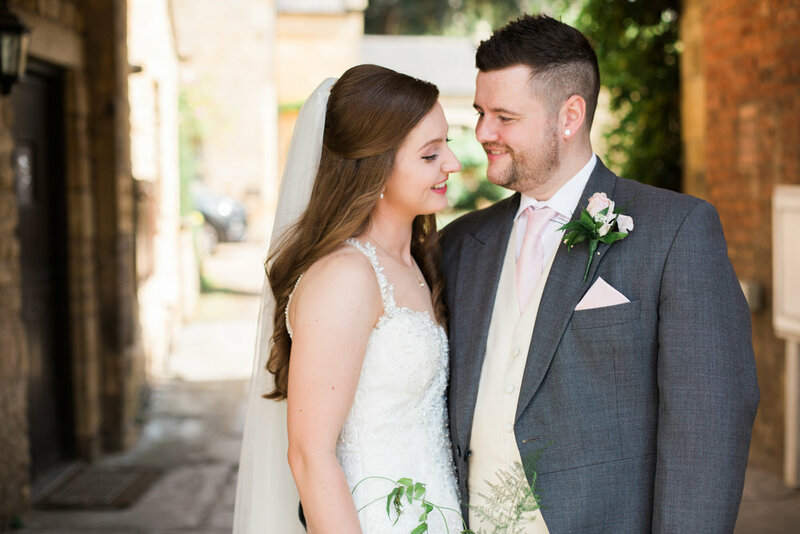 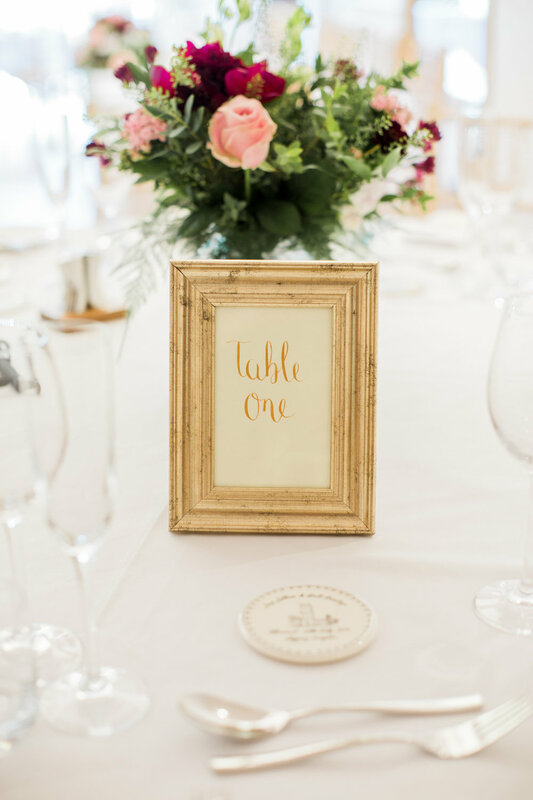 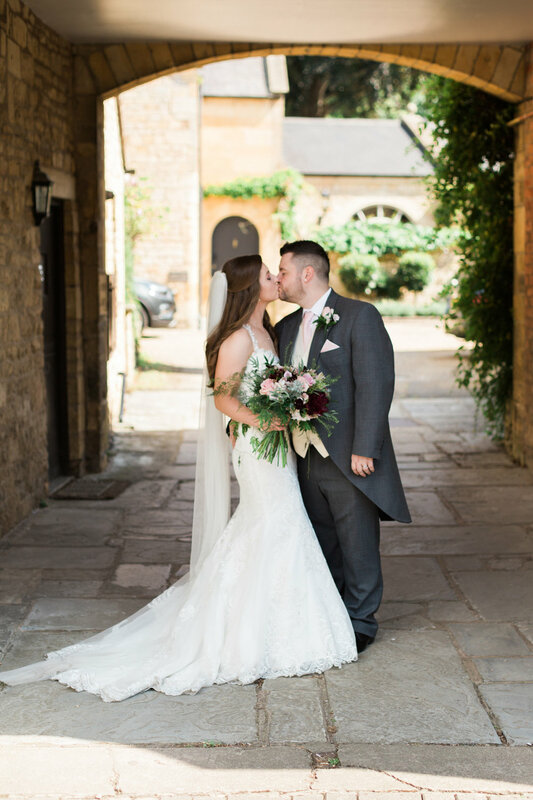 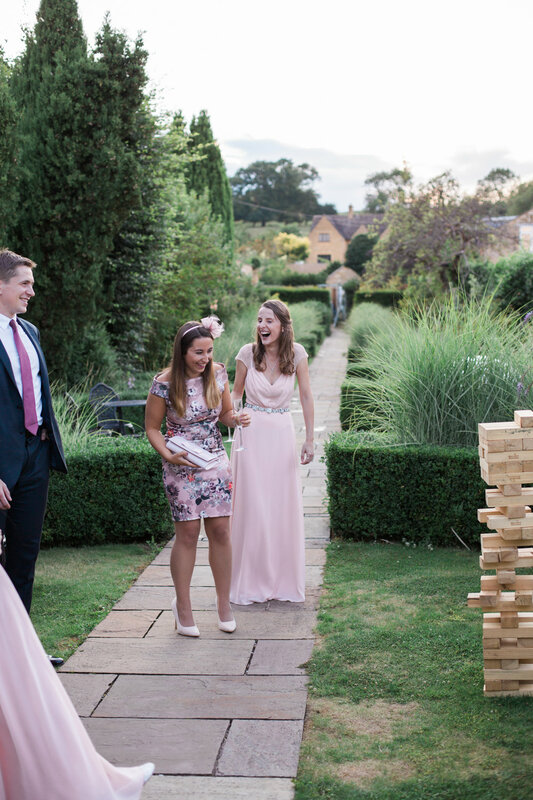 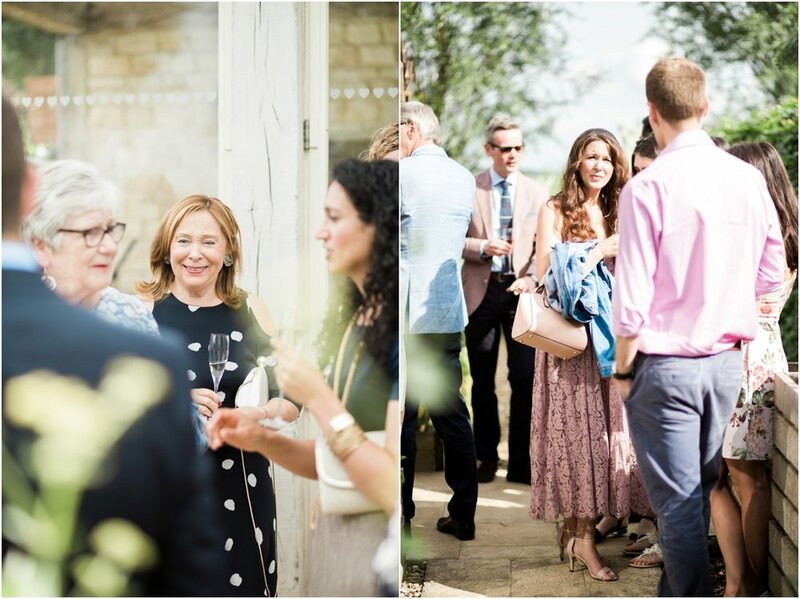 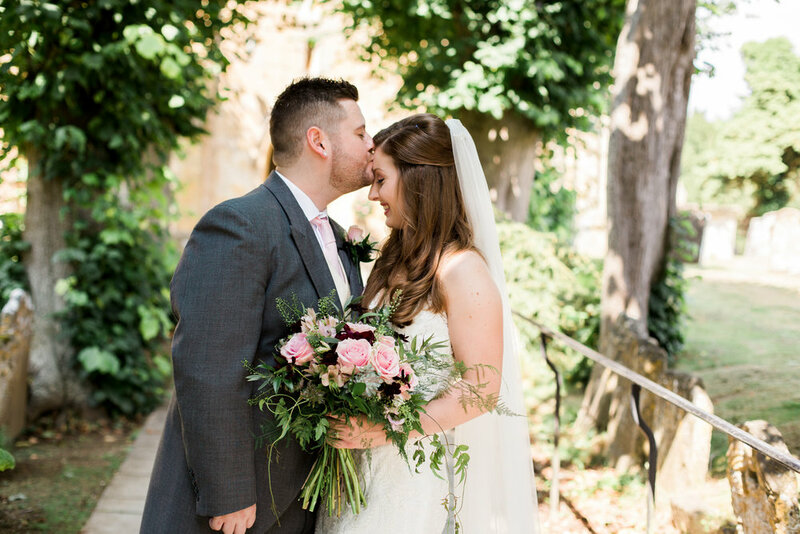 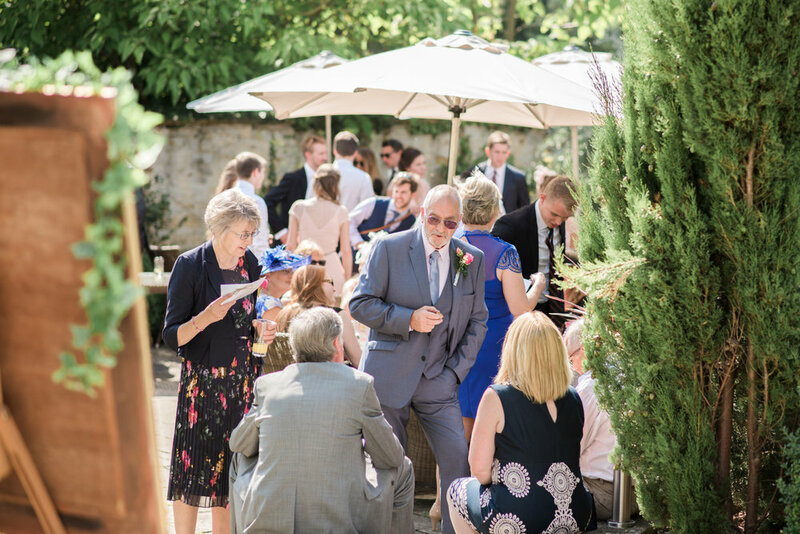 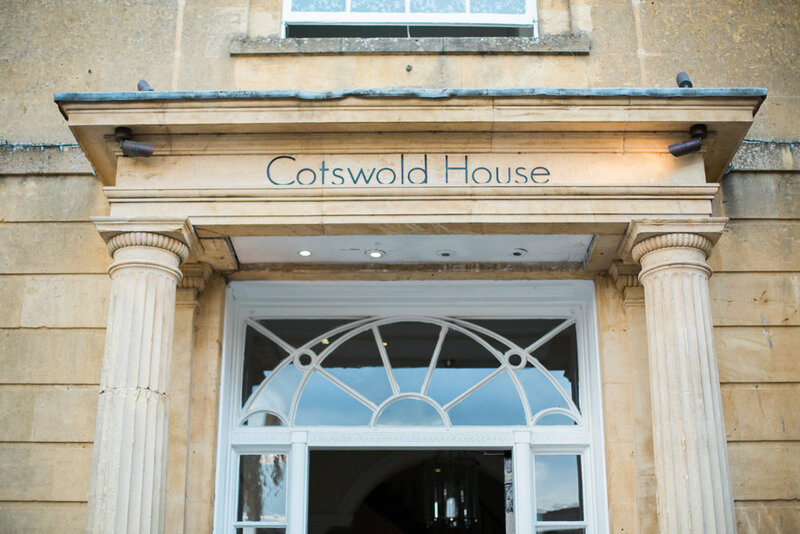 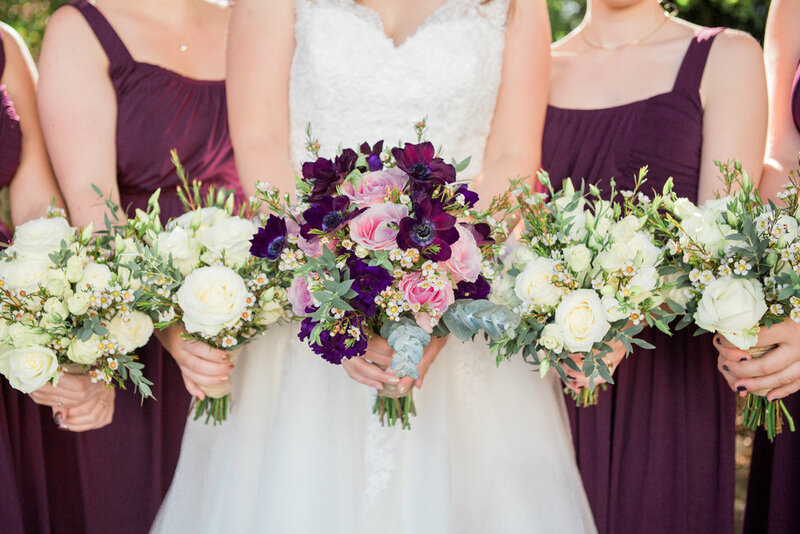 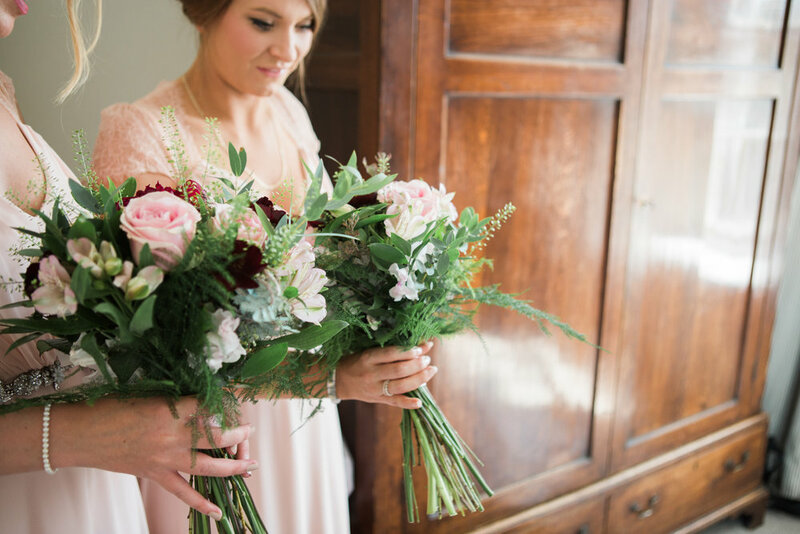 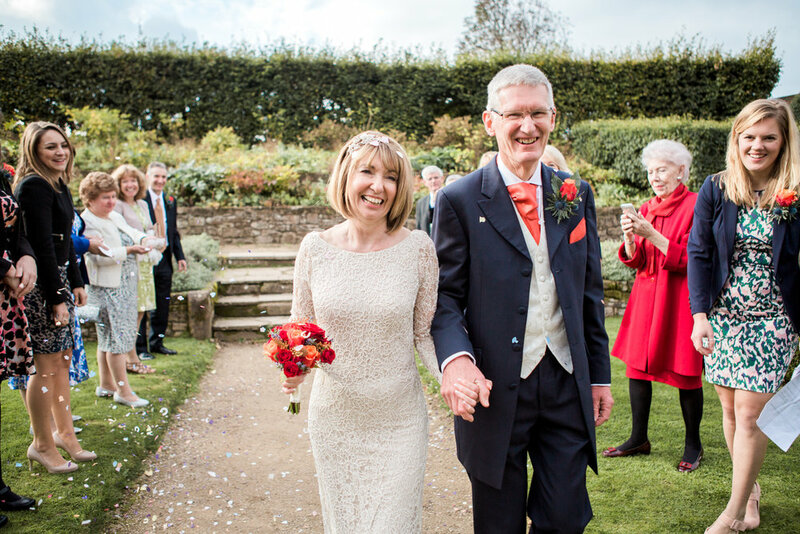 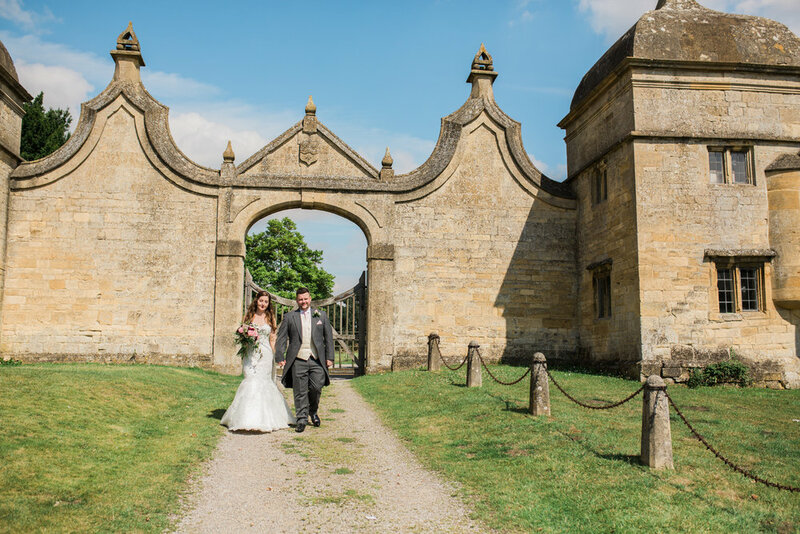 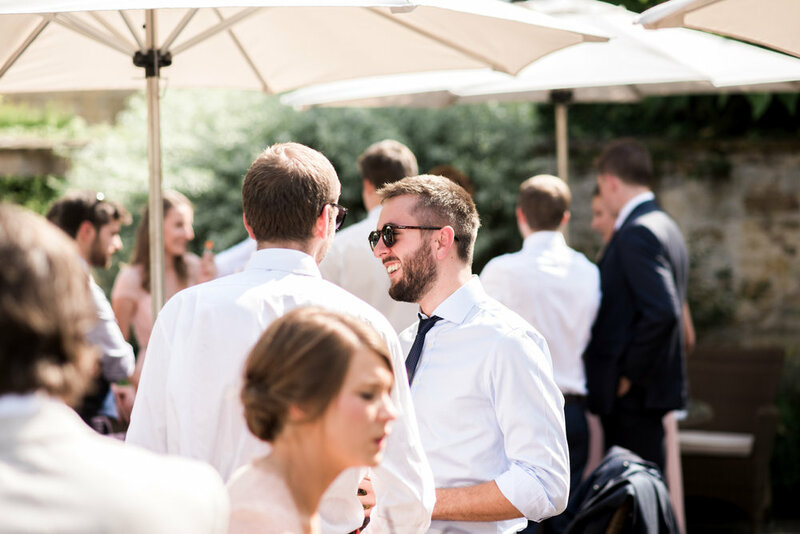 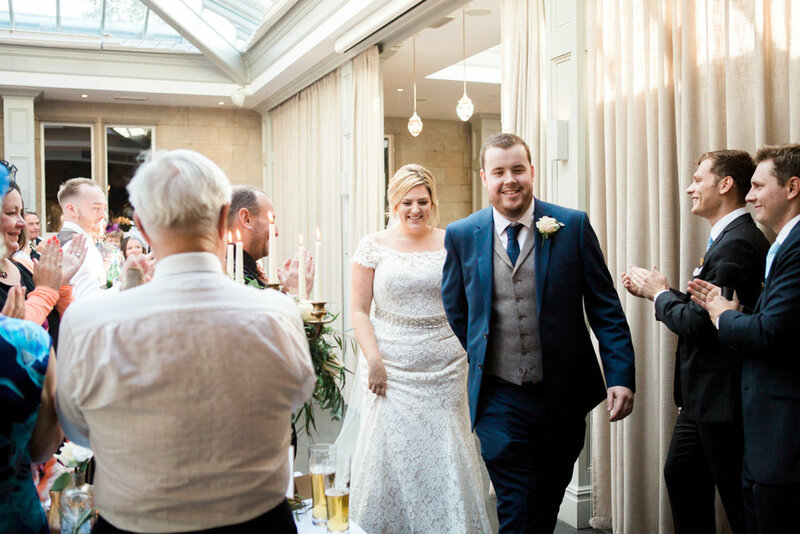 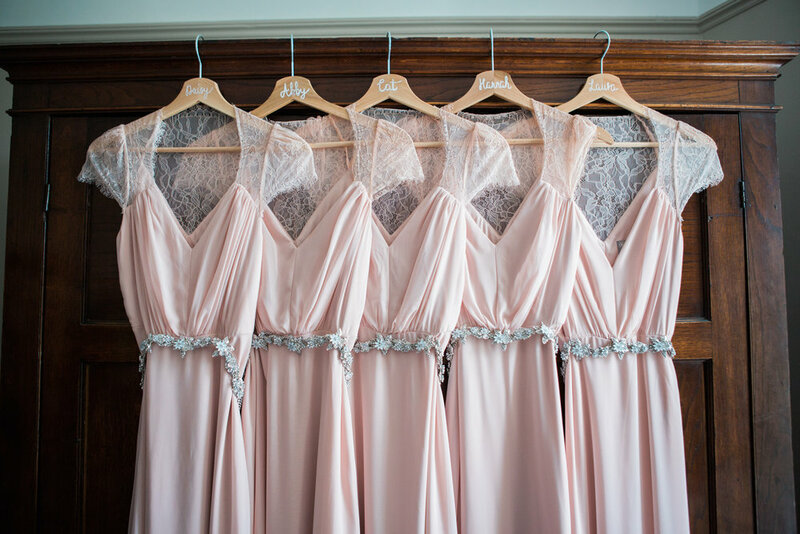 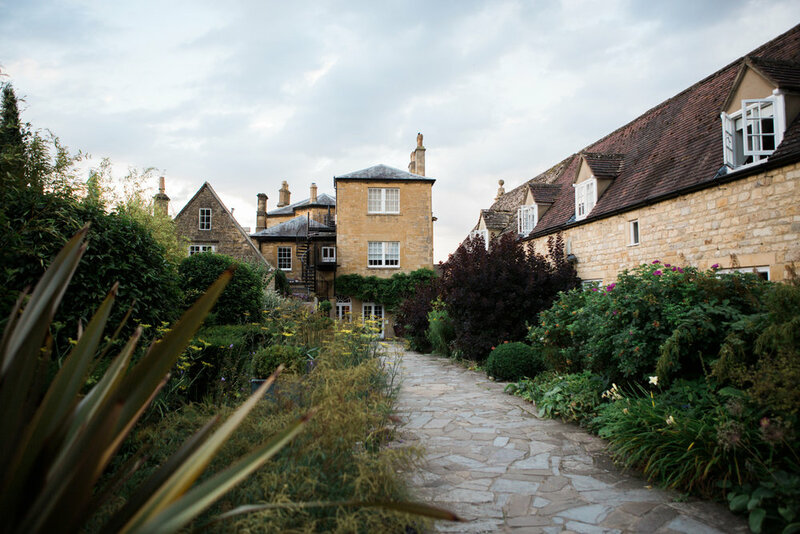 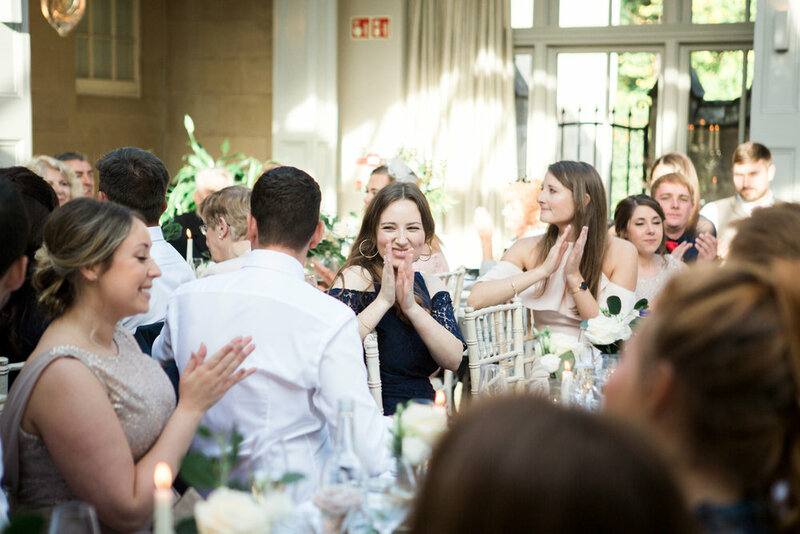 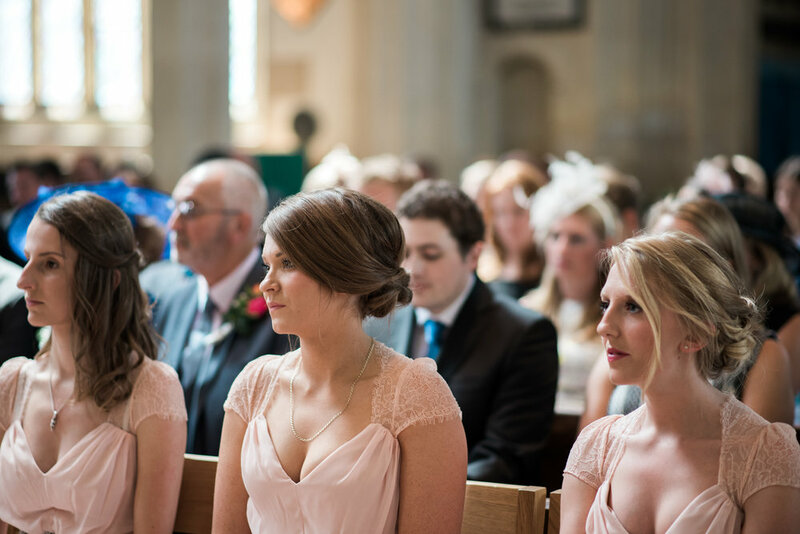 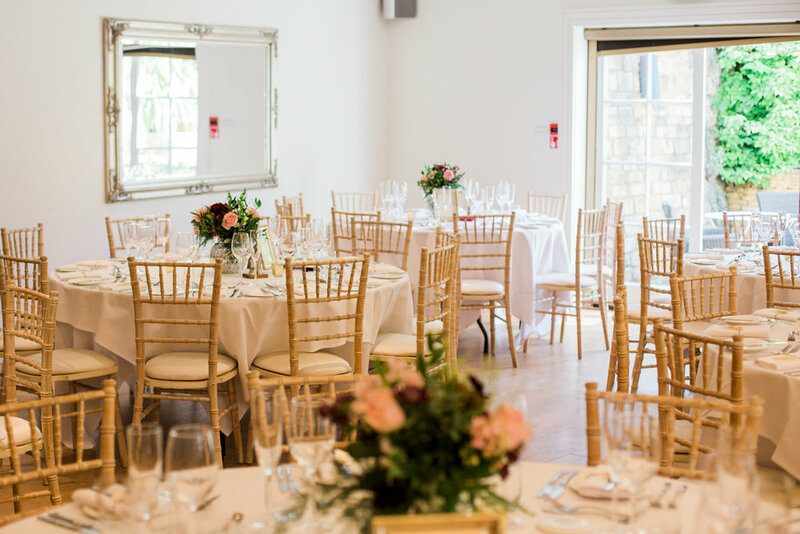 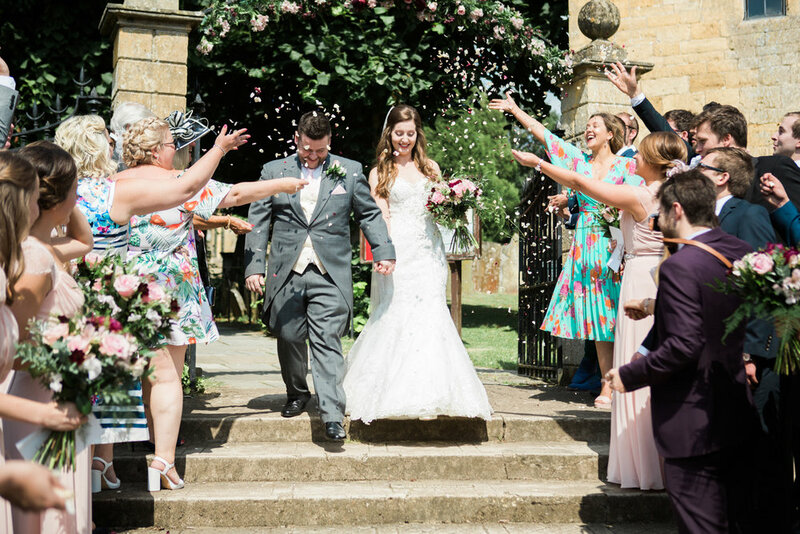 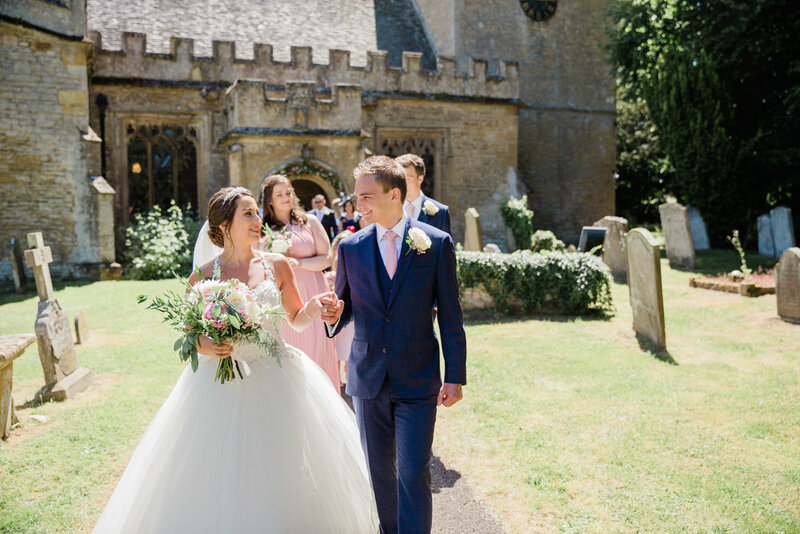 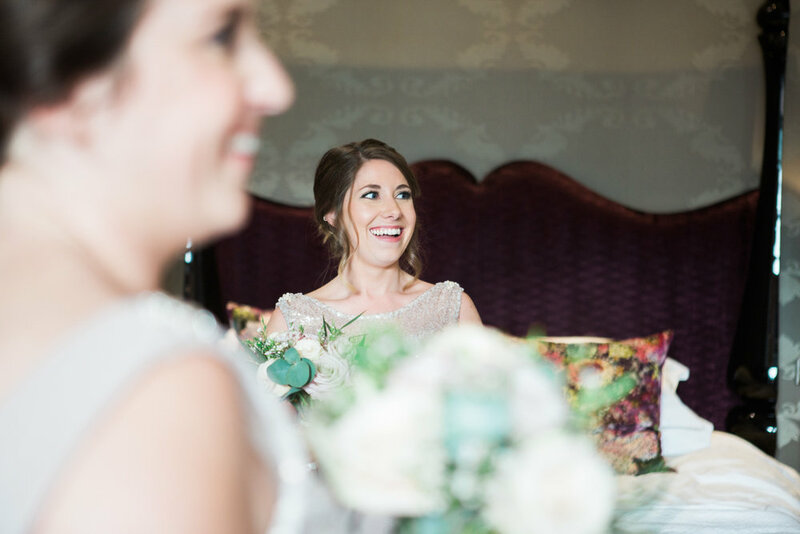 Lucy & Brett's beautiful wedding was set in the picturesque village of Chipping Campden at the stunning Cotswold House Hotel. 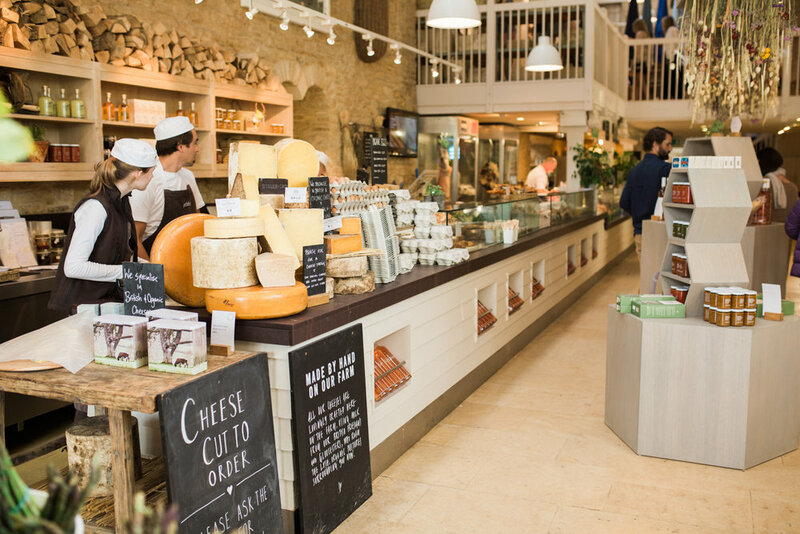 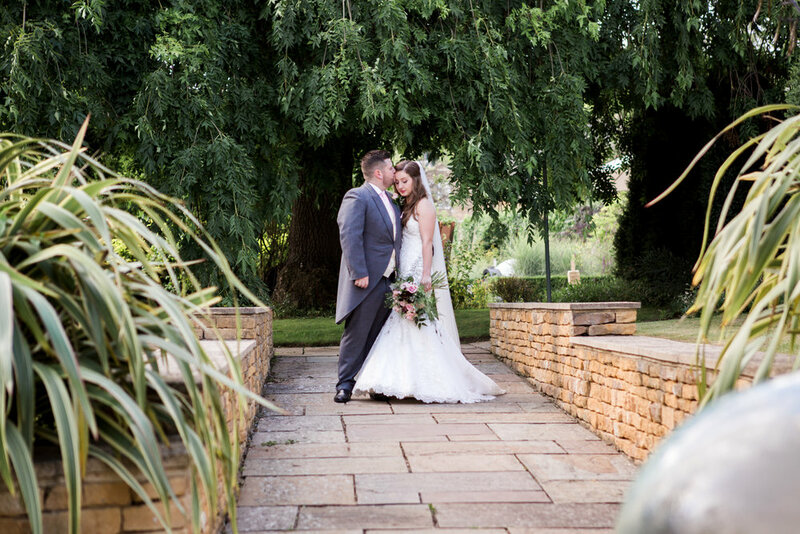 Lucy & Brett decided to get married on their 5th anniversary in the place where they first met when Lucy was waitressing and Brett worked there as a chef, how romantic! 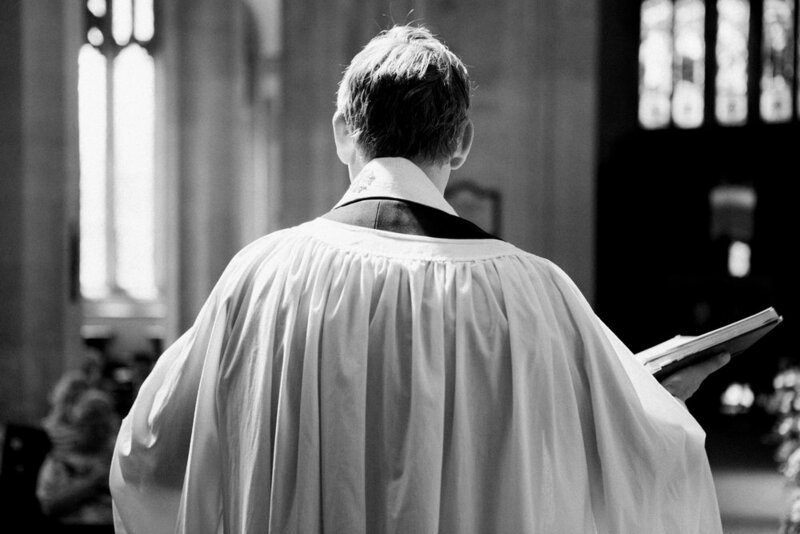 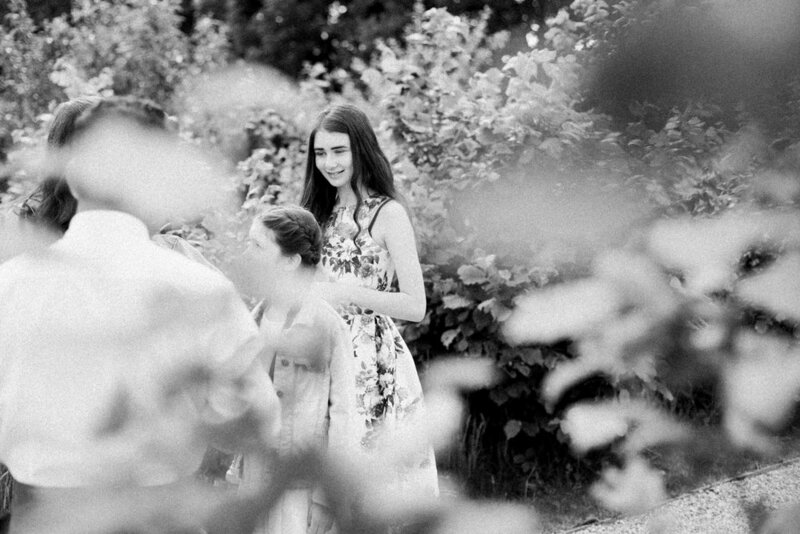 The whole day was so beautifully English and elegant and perfect. 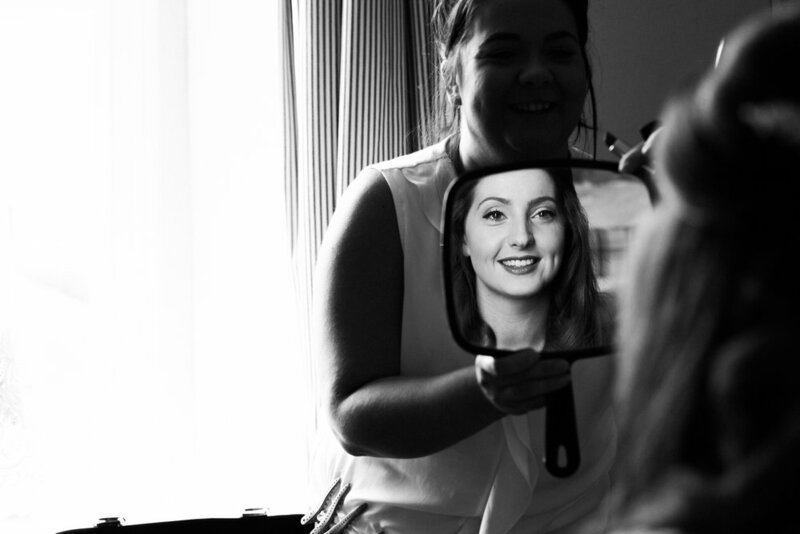 Also a big thank you to the wonderful Faye for second shooting for me. 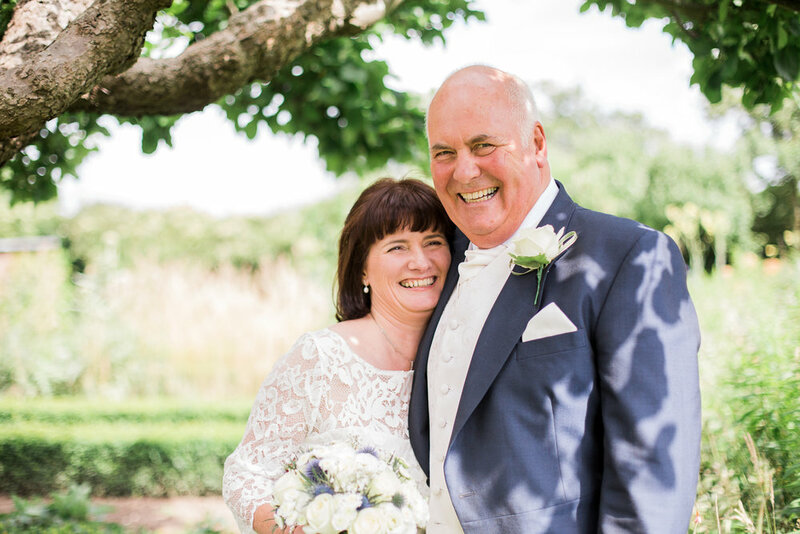 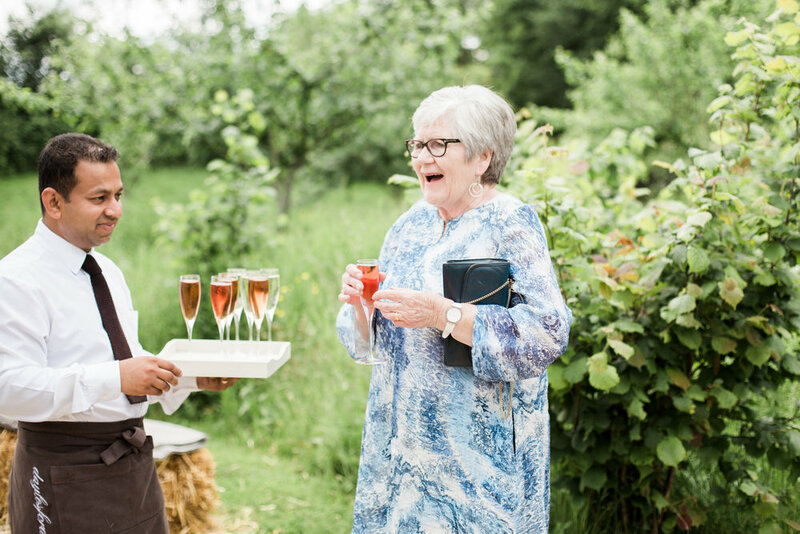 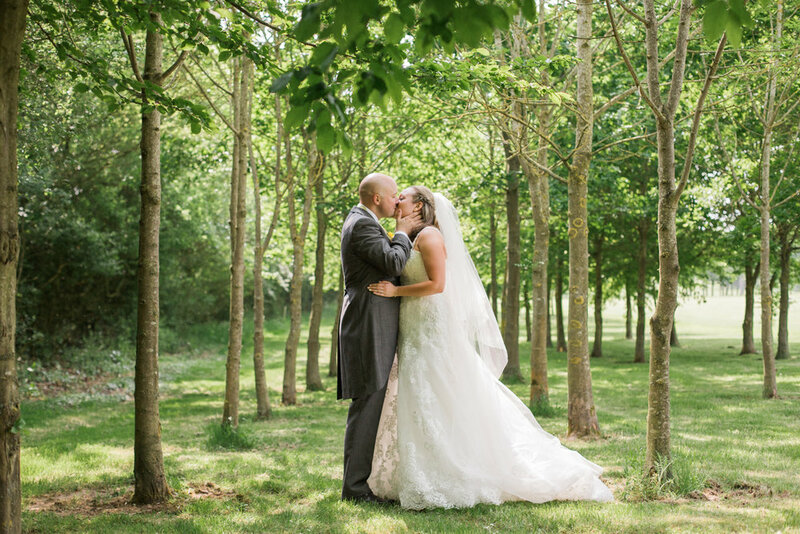 A wonderful couple at the most incredible venue, Daylesford Farm. 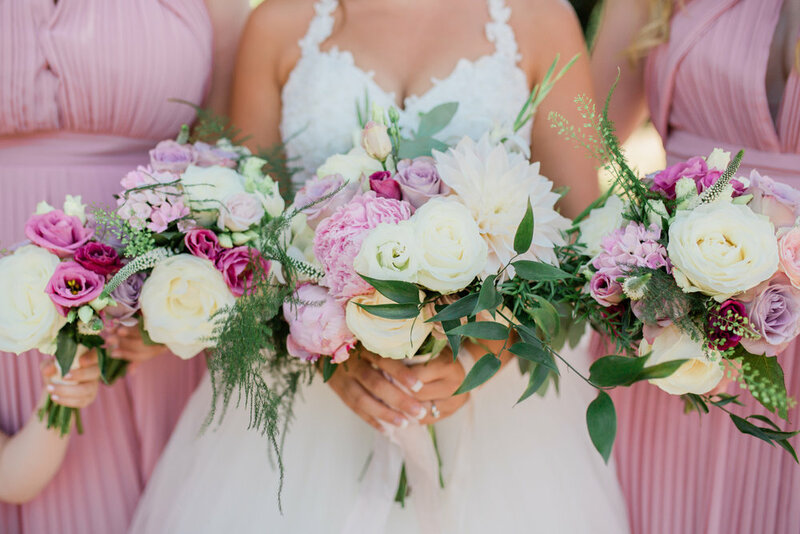 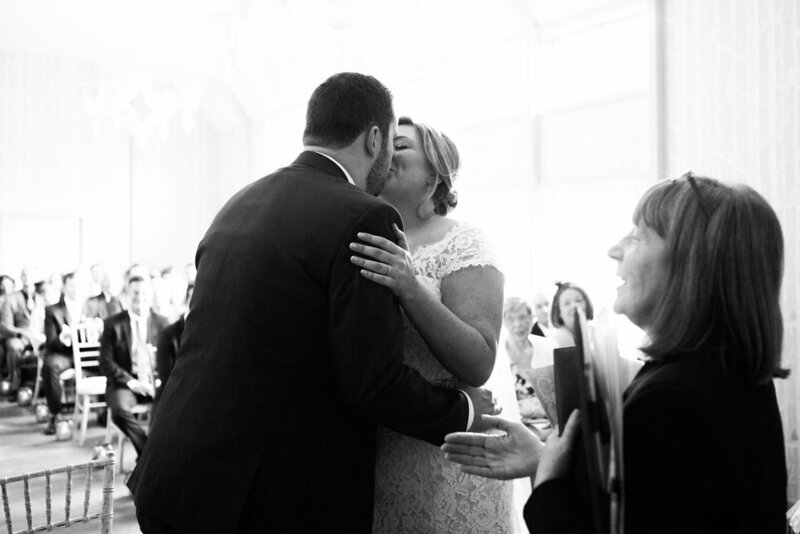 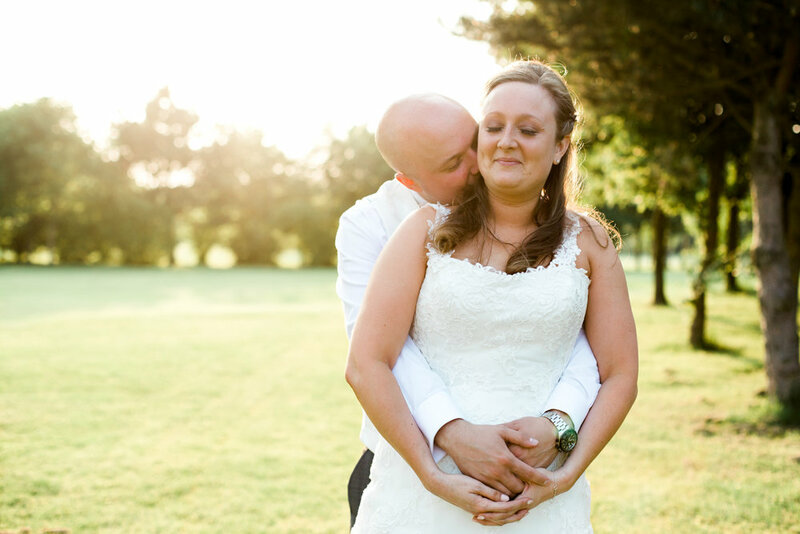 My heart is so full looking back at all these wonderful weddings from the last year. 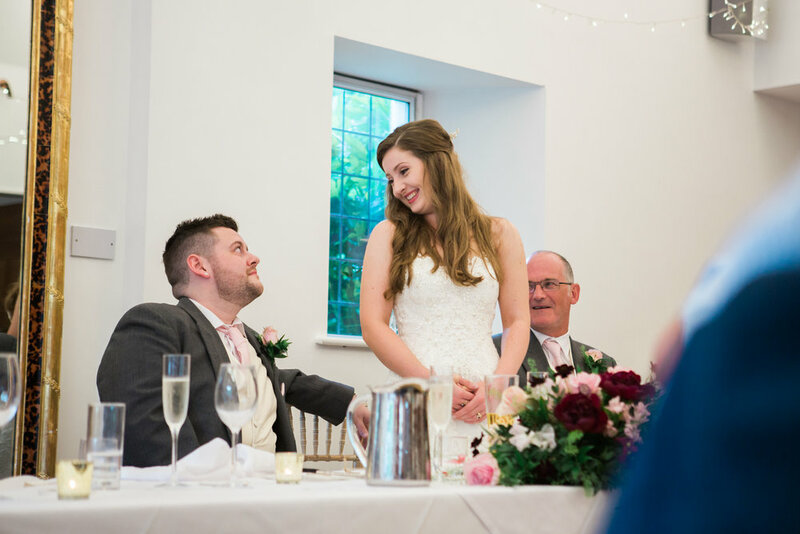 I've met so many lovely lovely couples, photographed some beautiful venues and been welcomed with open arms by family and friends. 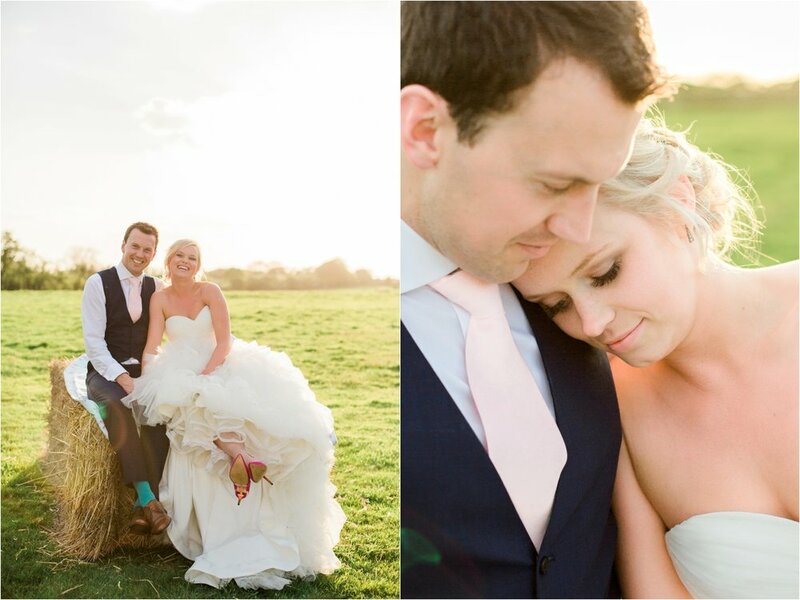 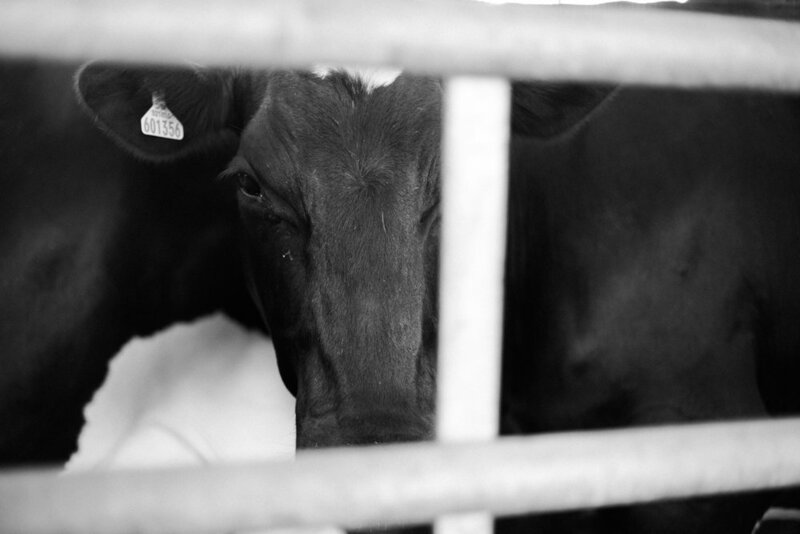 Choosing these photos has bought it all home how lucky I am to be doing a job I love so much. 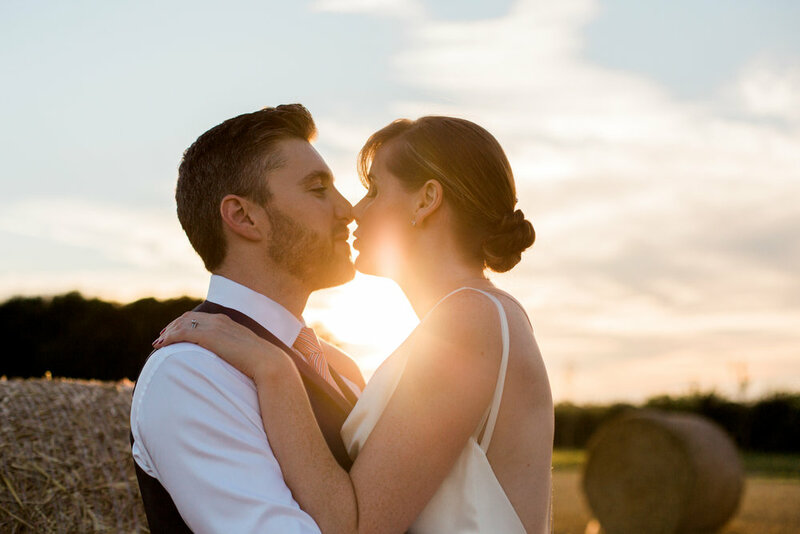 So grab yourself a cuppa and enjoy having a look back over some of my favourite photos from 2016. 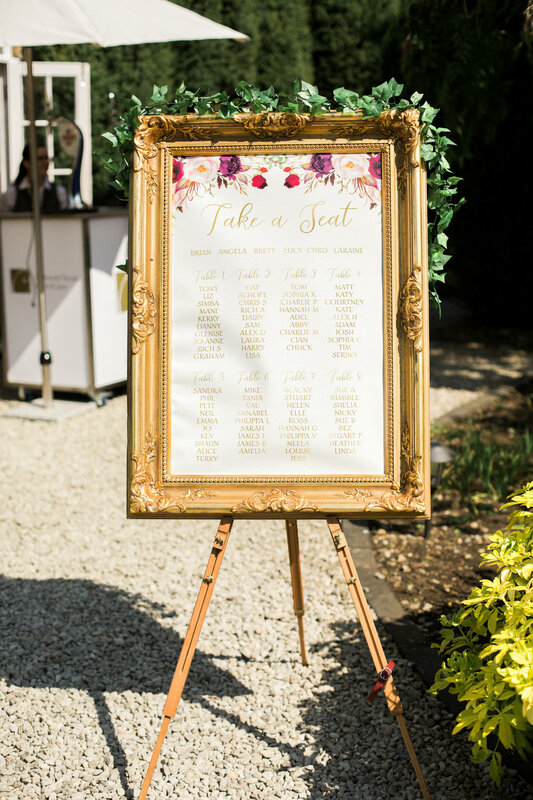 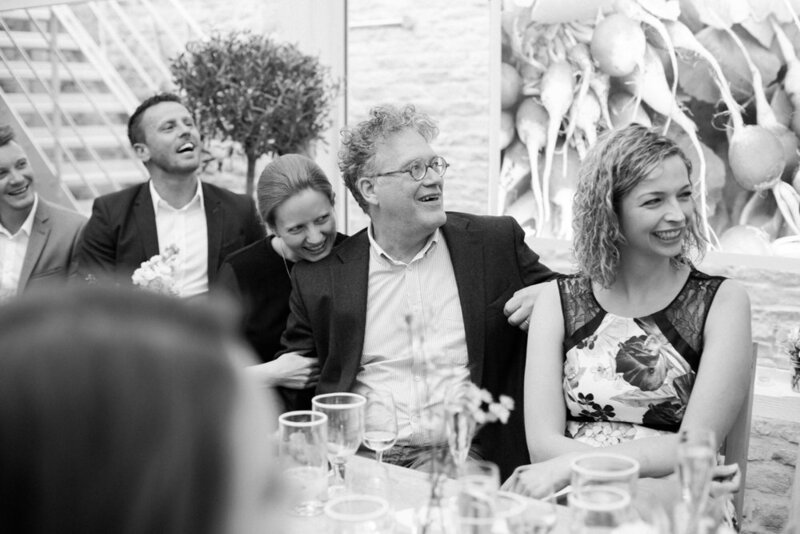 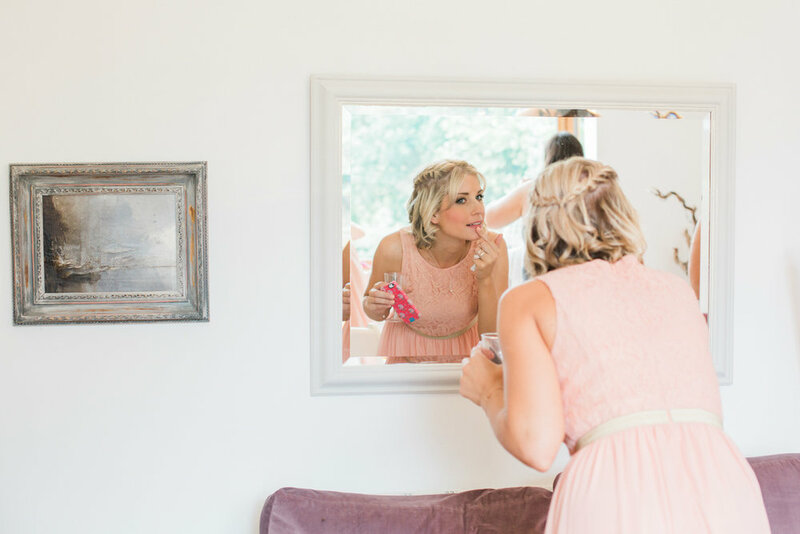 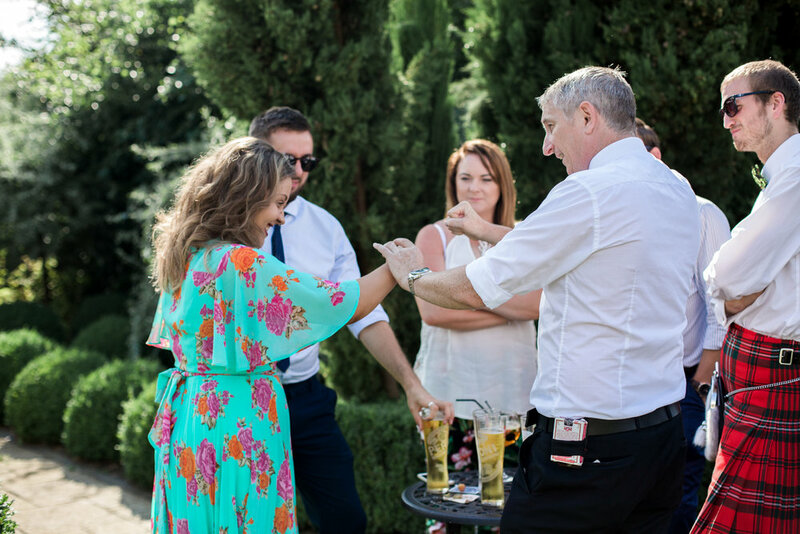 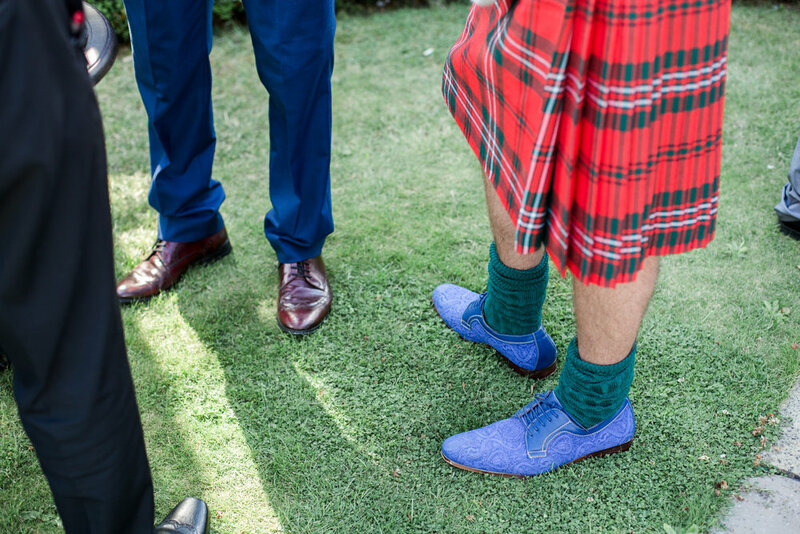 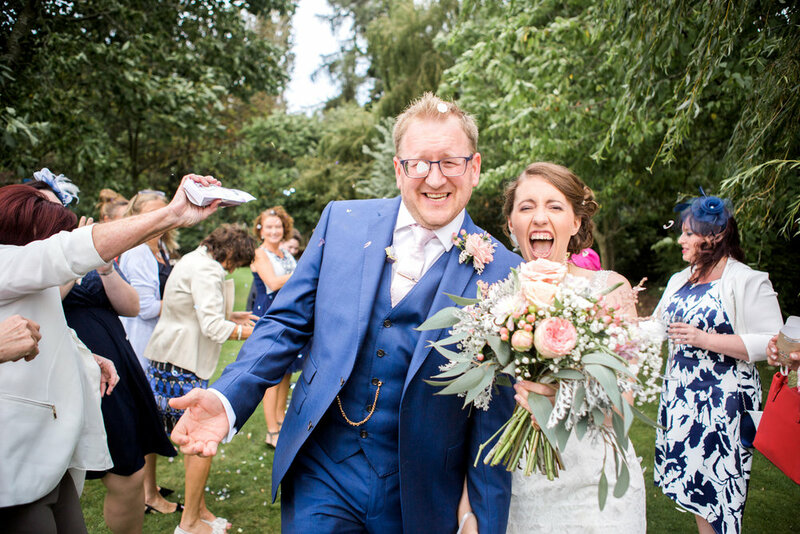 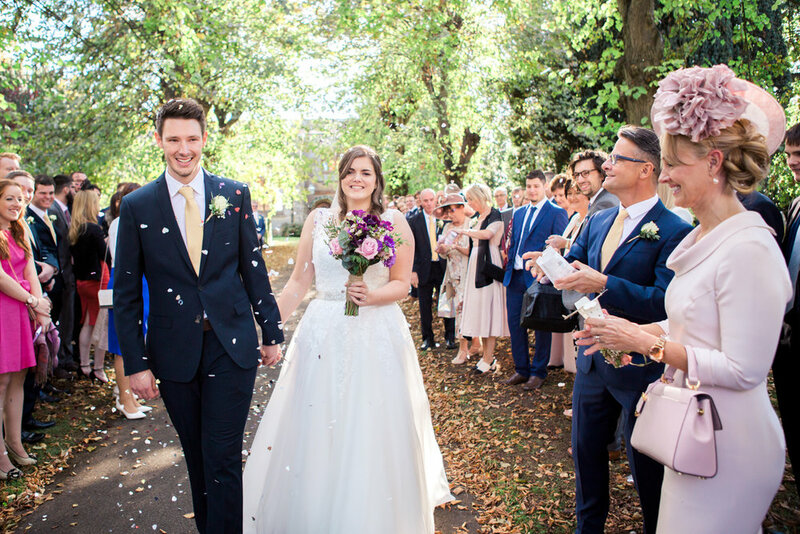 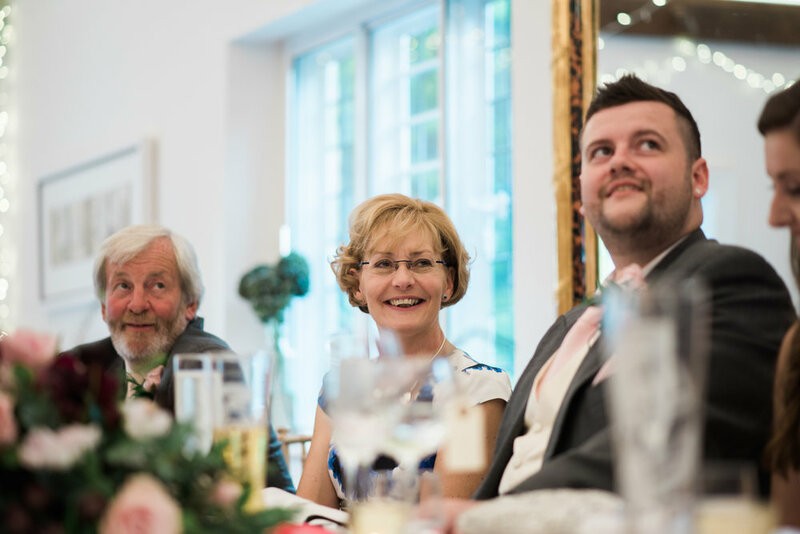 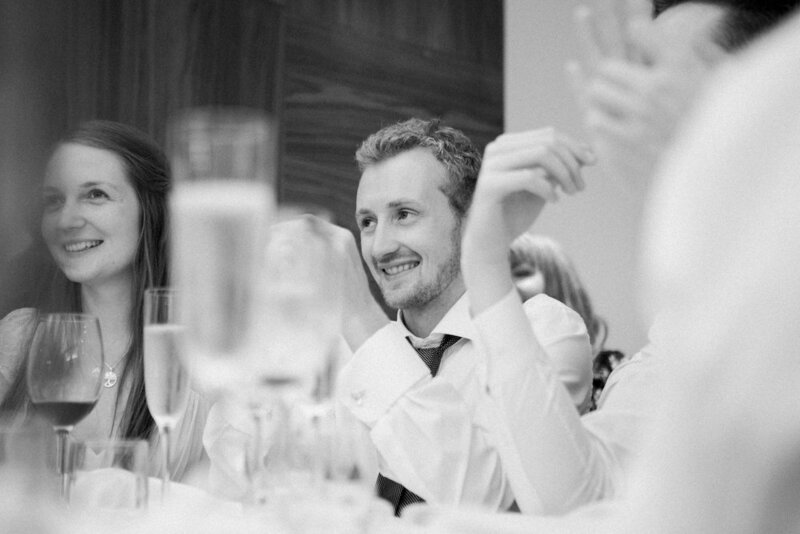 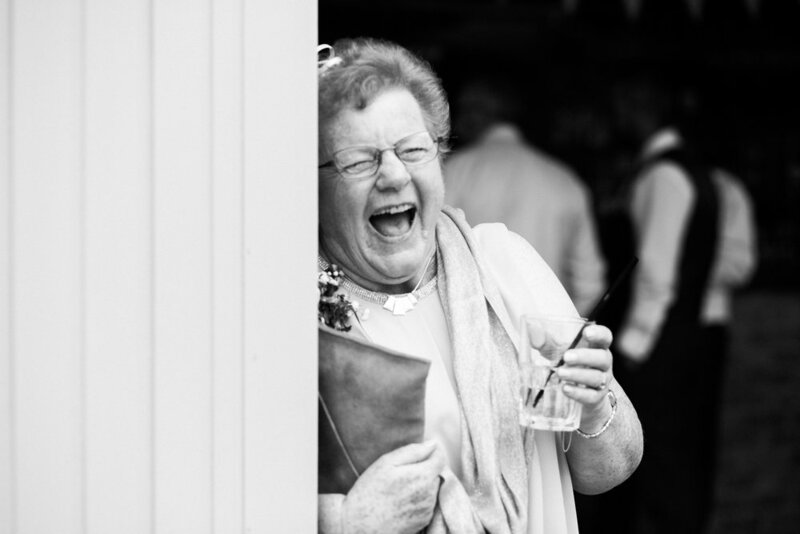 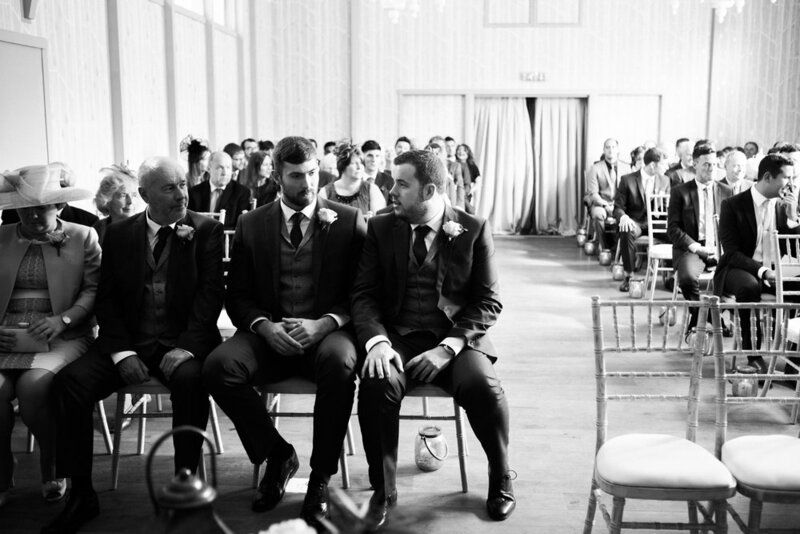 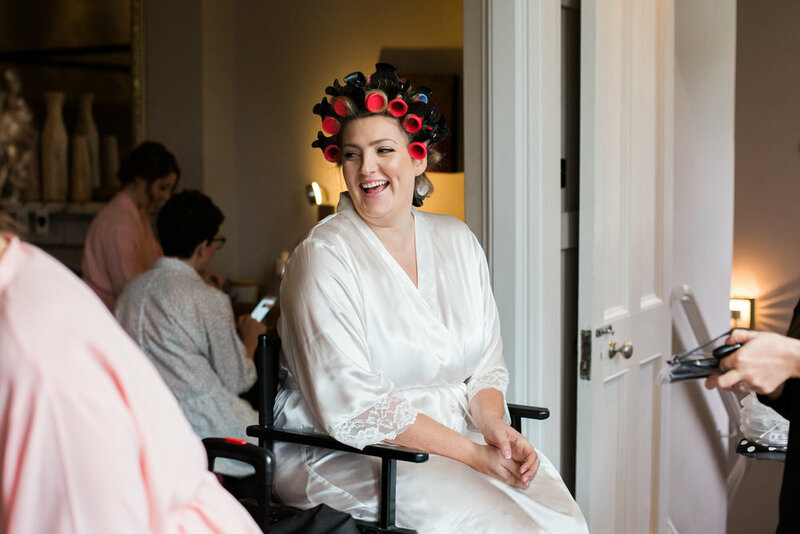 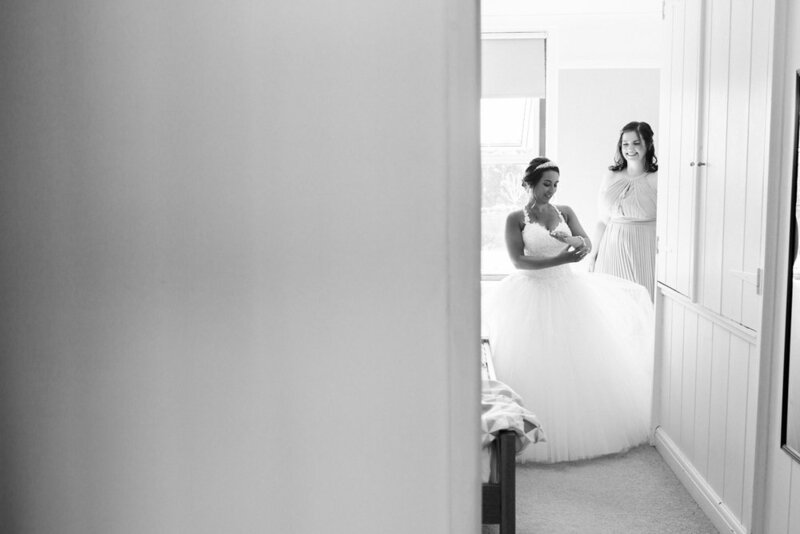 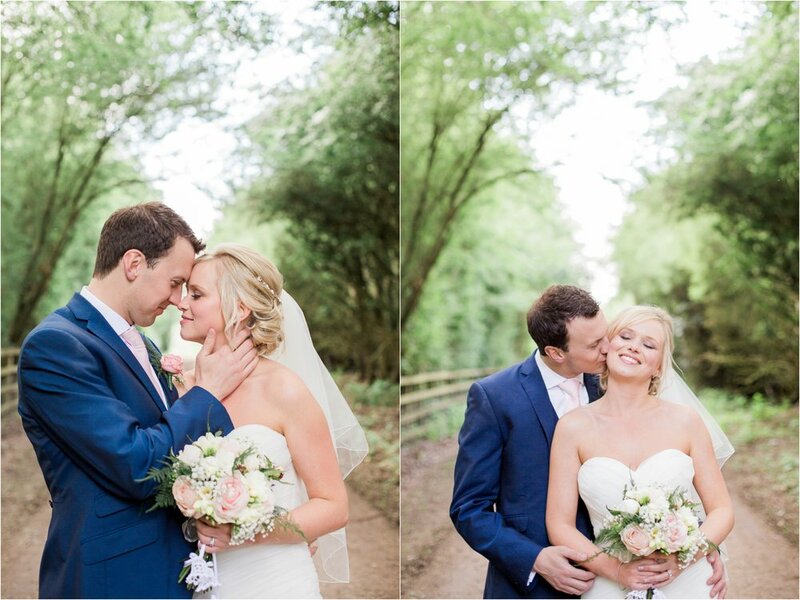 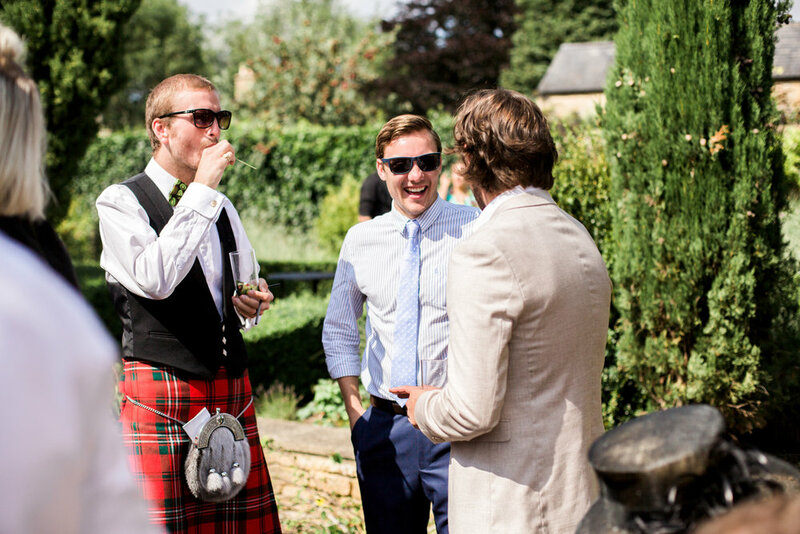 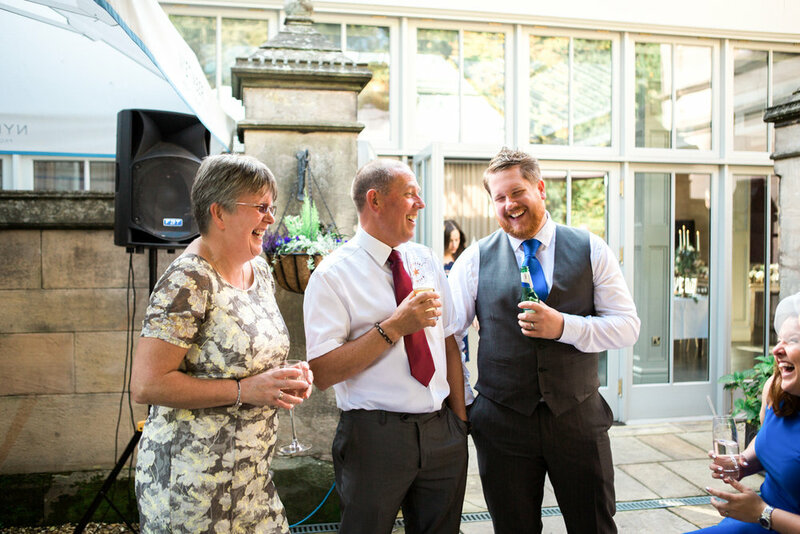 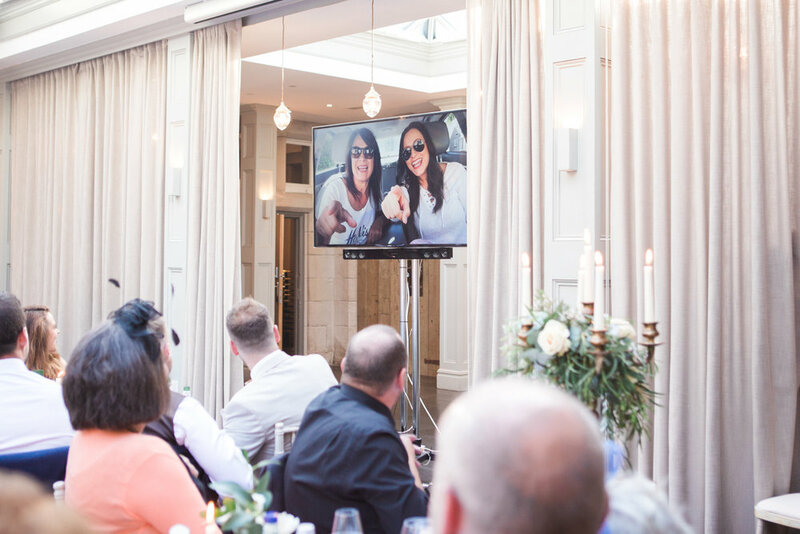 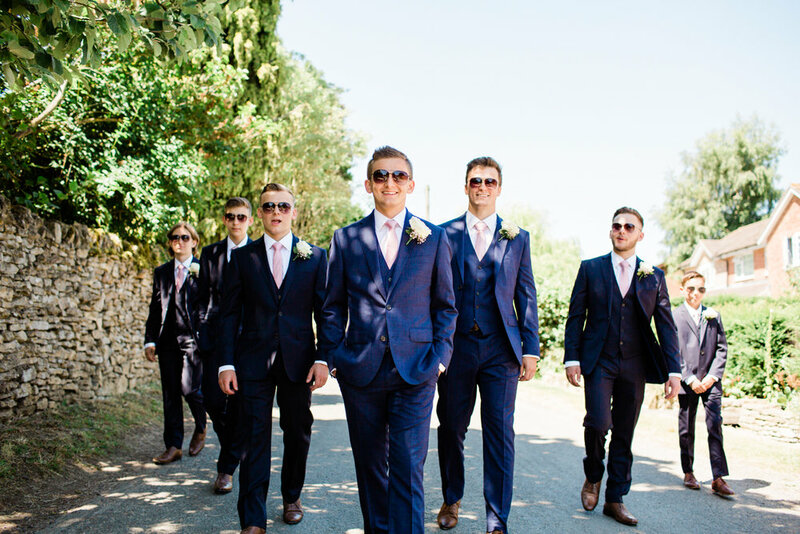 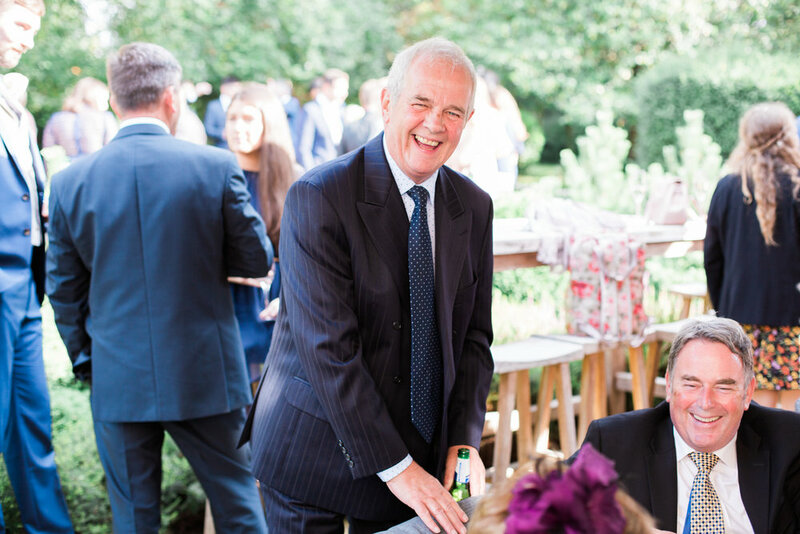 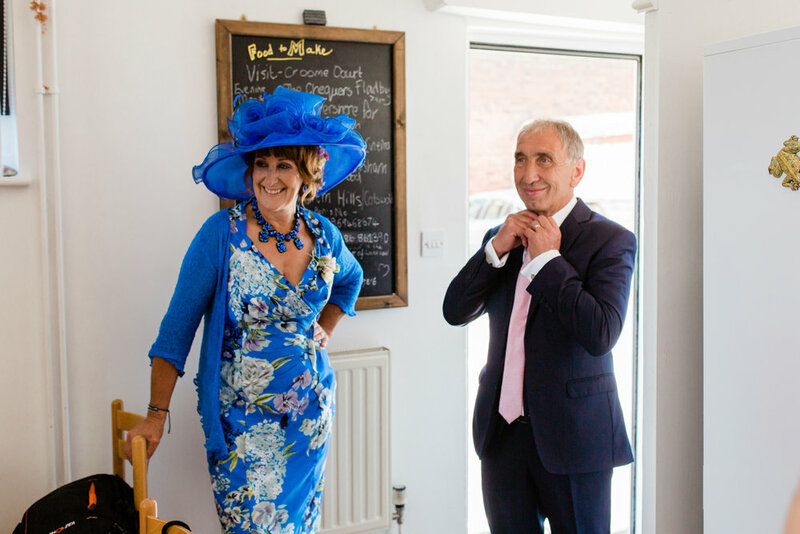 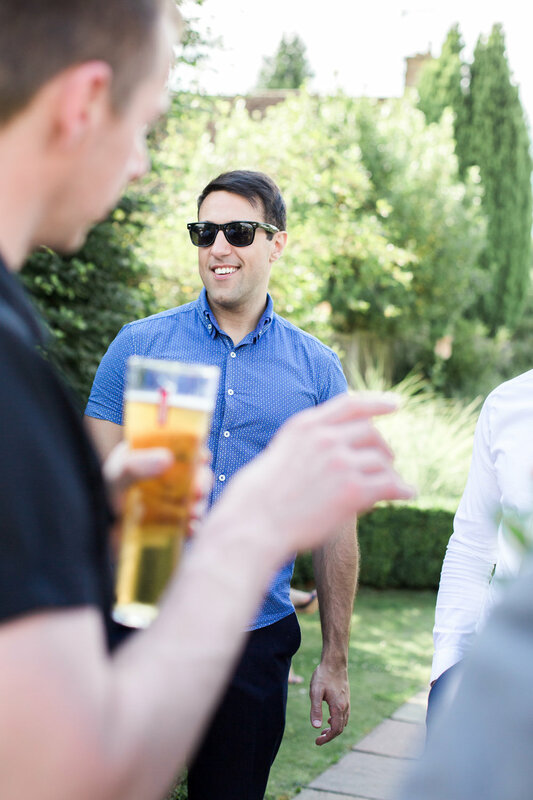 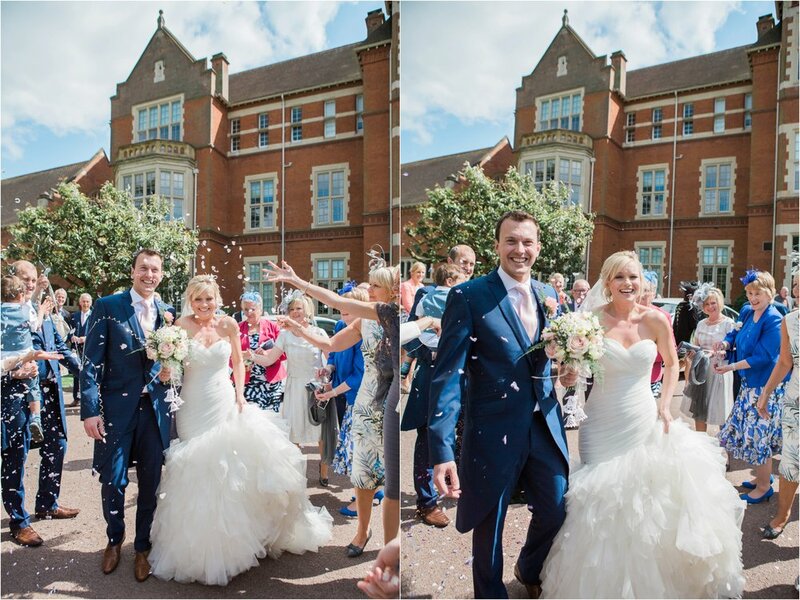 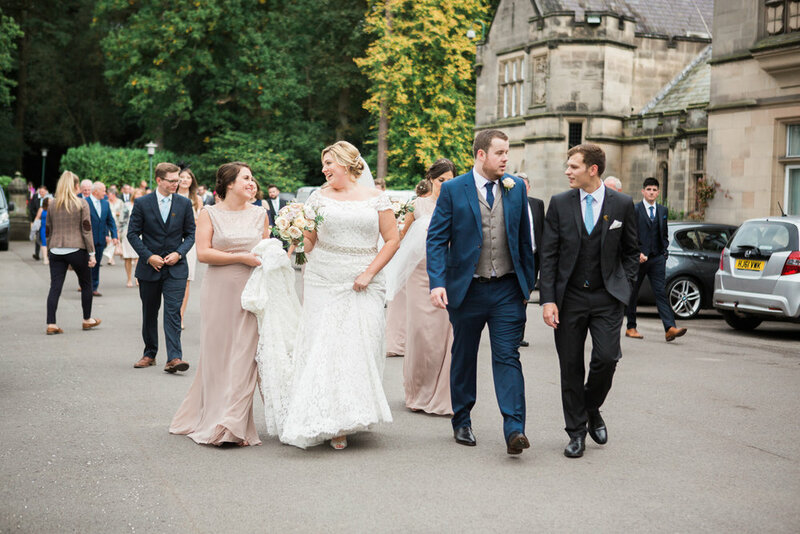 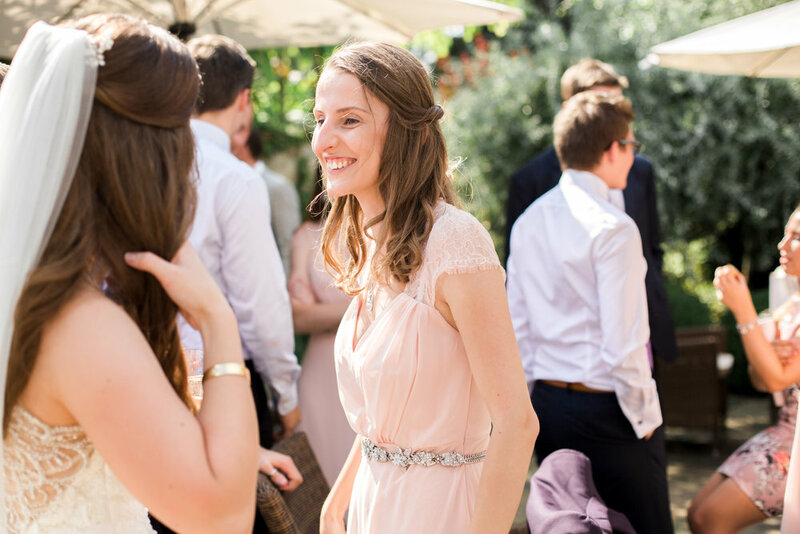 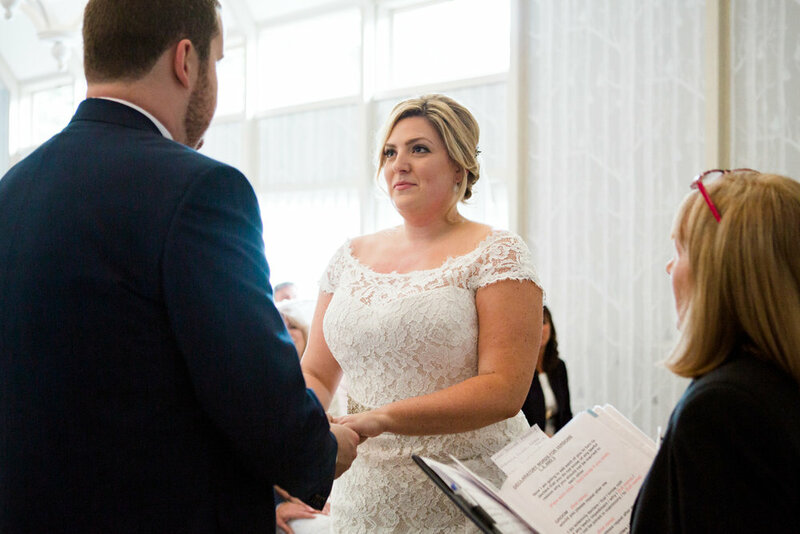 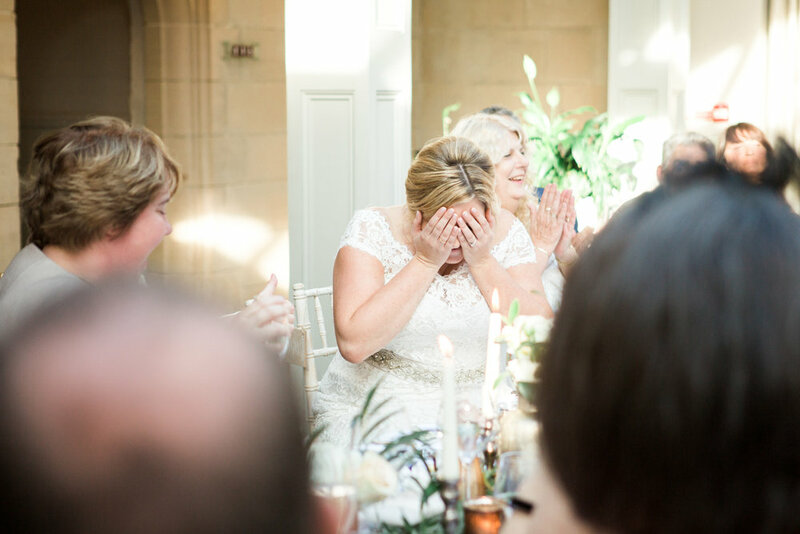 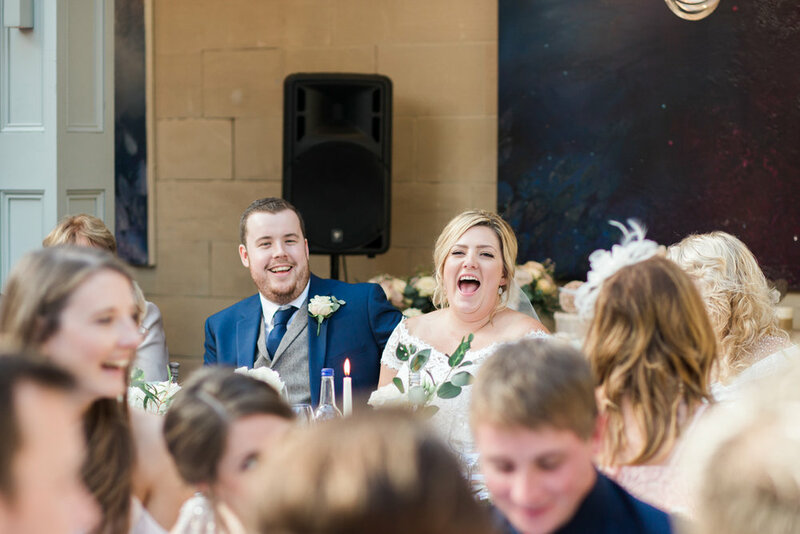 Rebecca & Simon's wedding was a day of such laughter and fun, just as the perfect wedding should be! 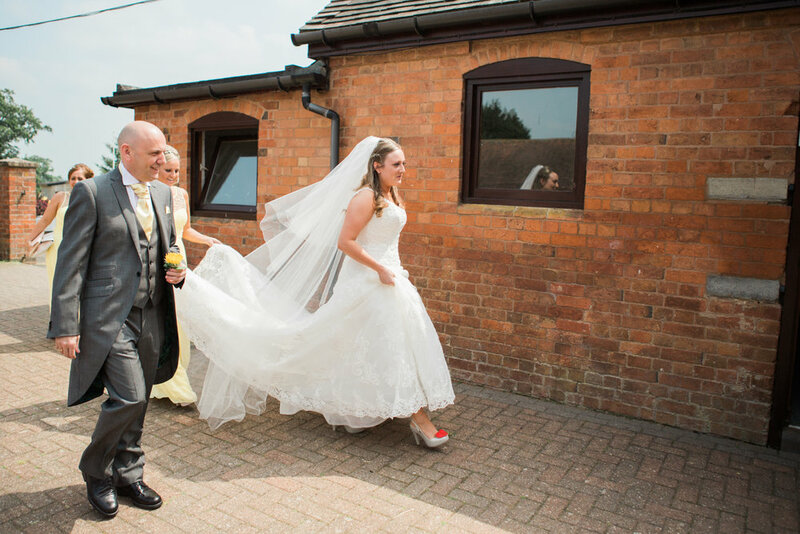 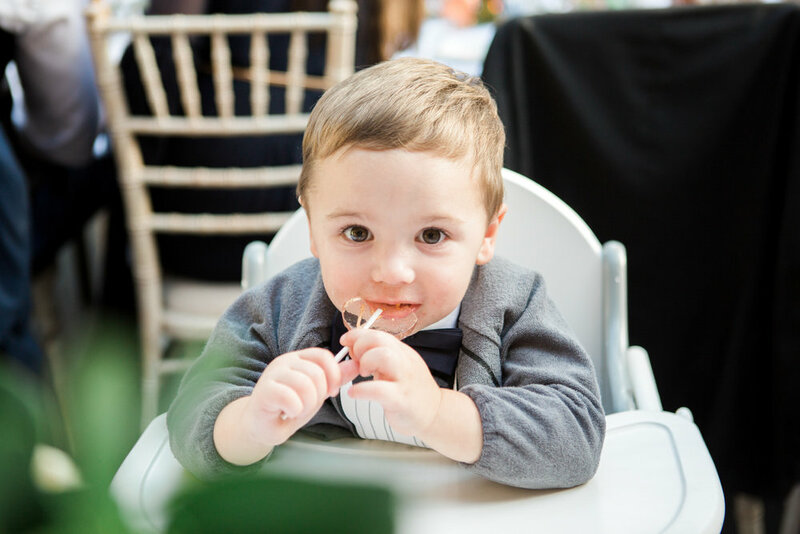 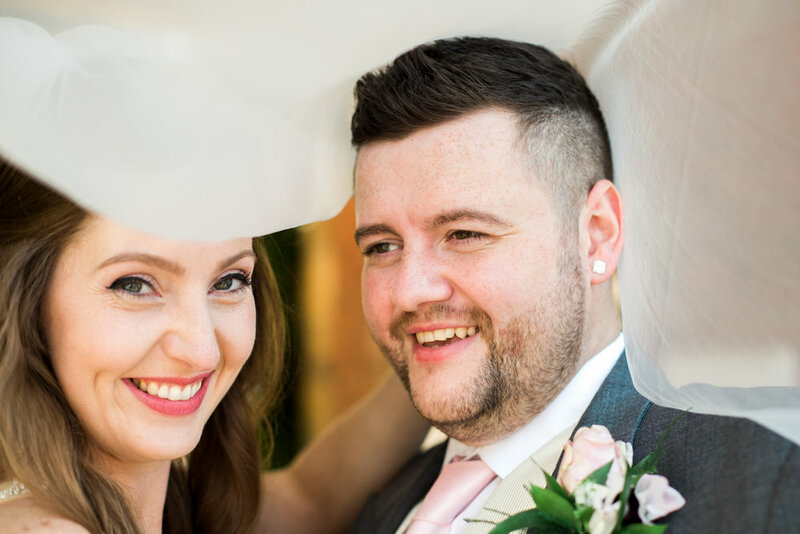 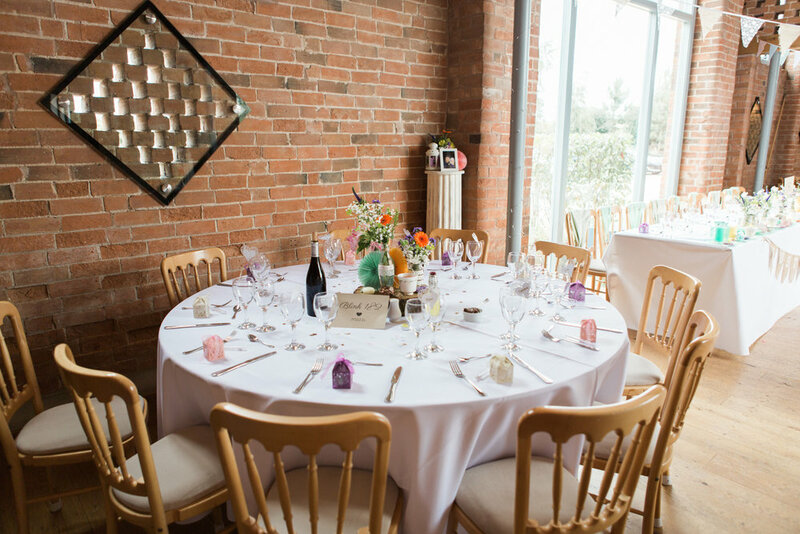 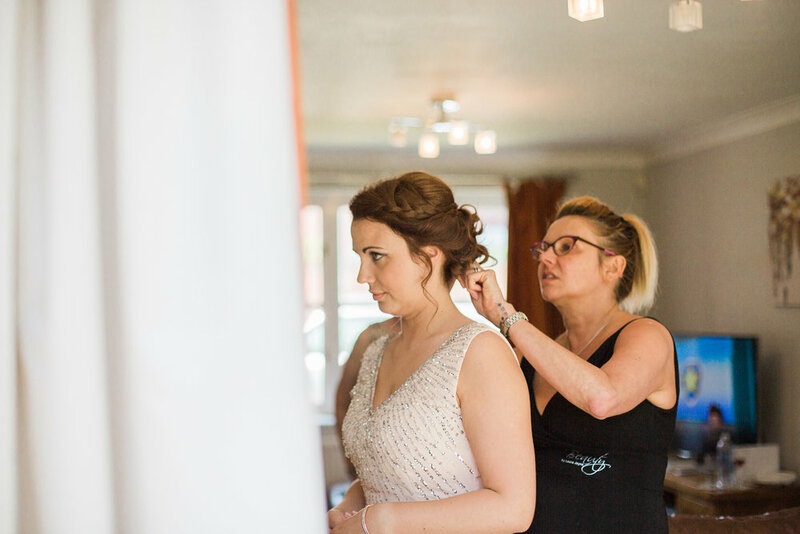 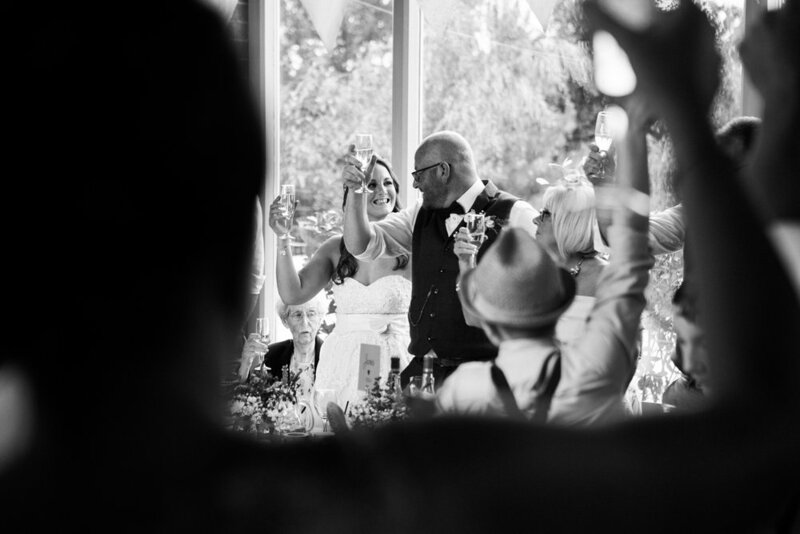 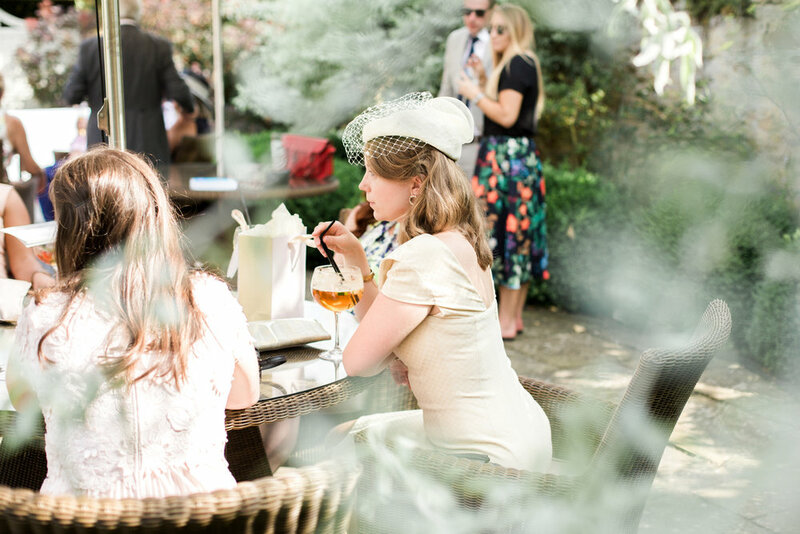 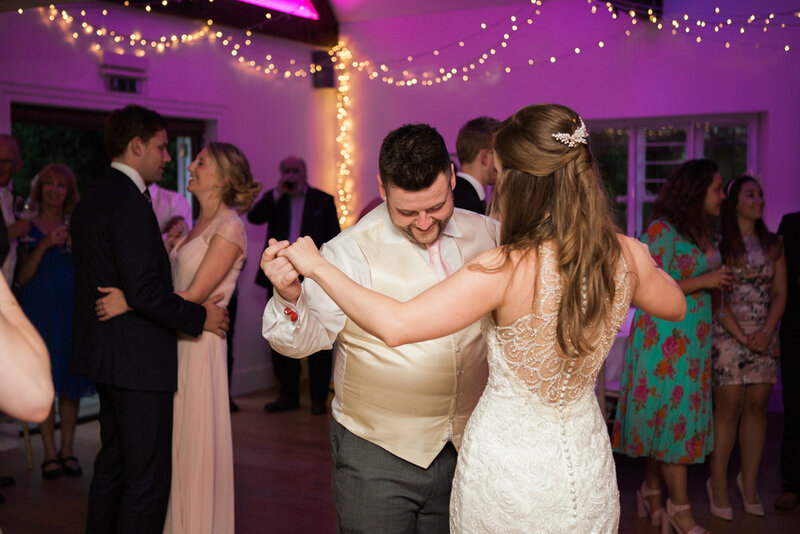 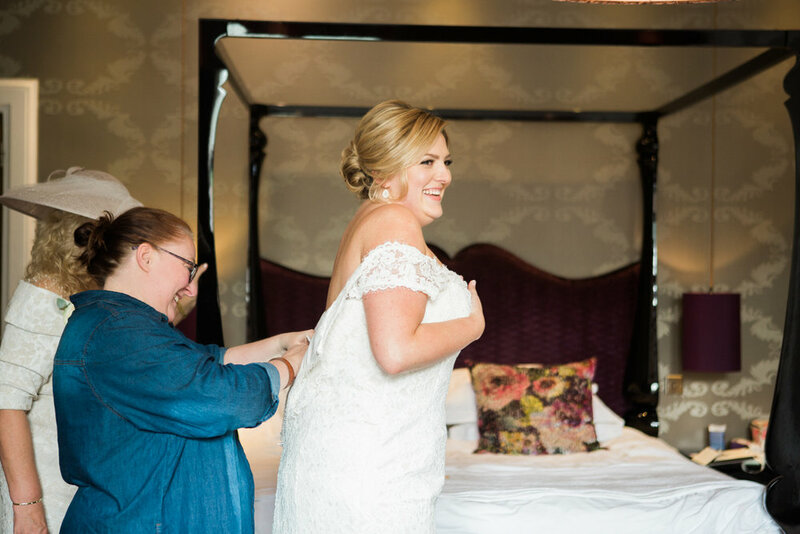 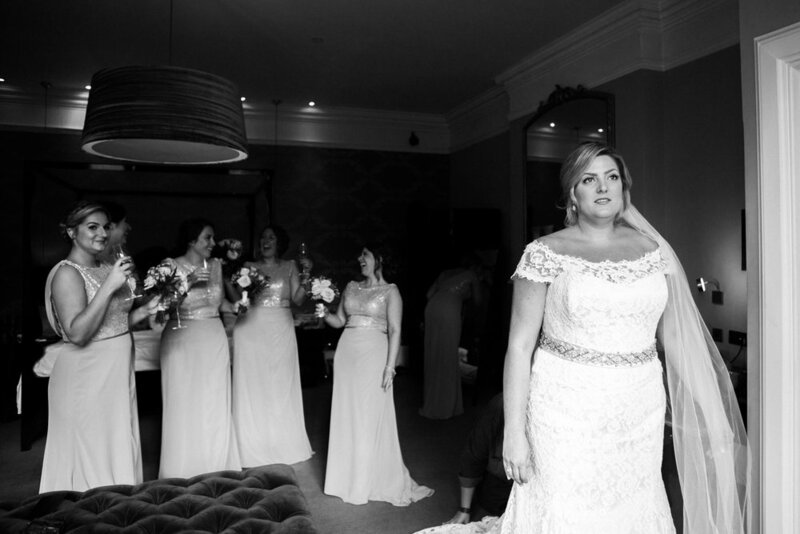 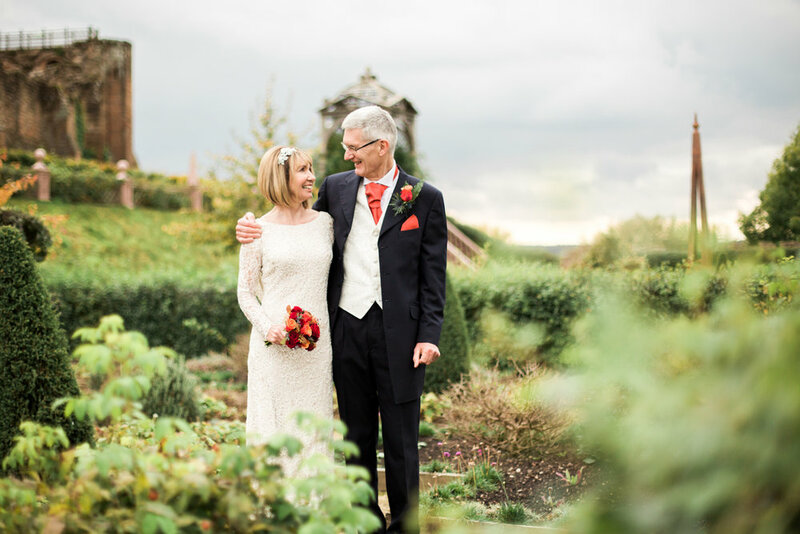 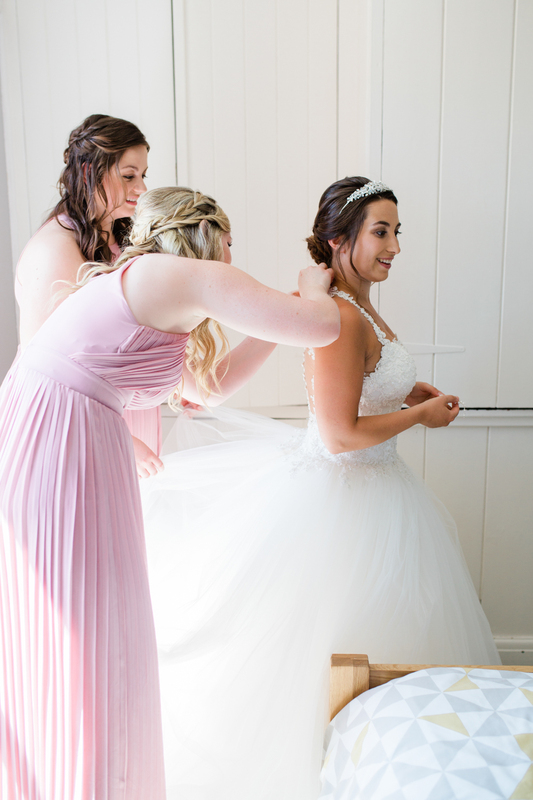 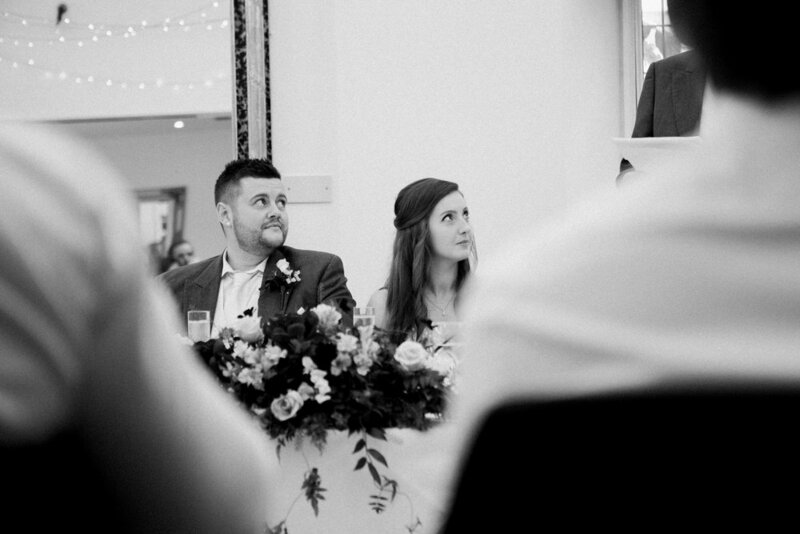 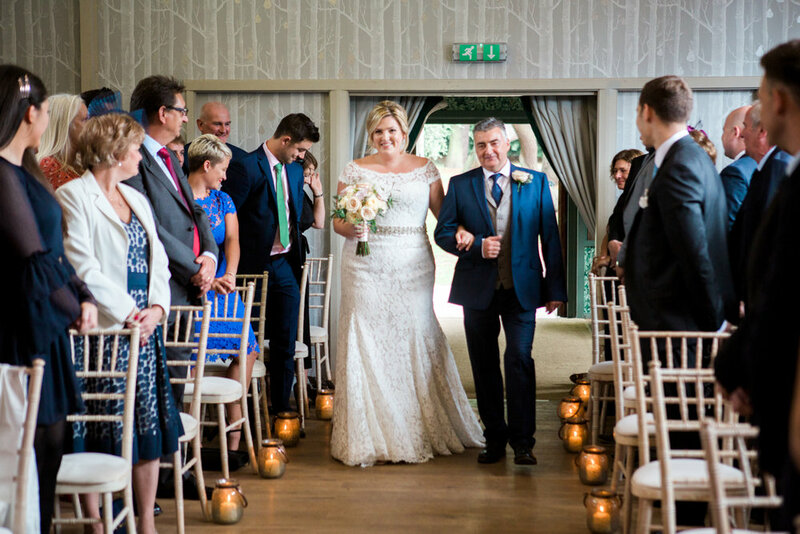 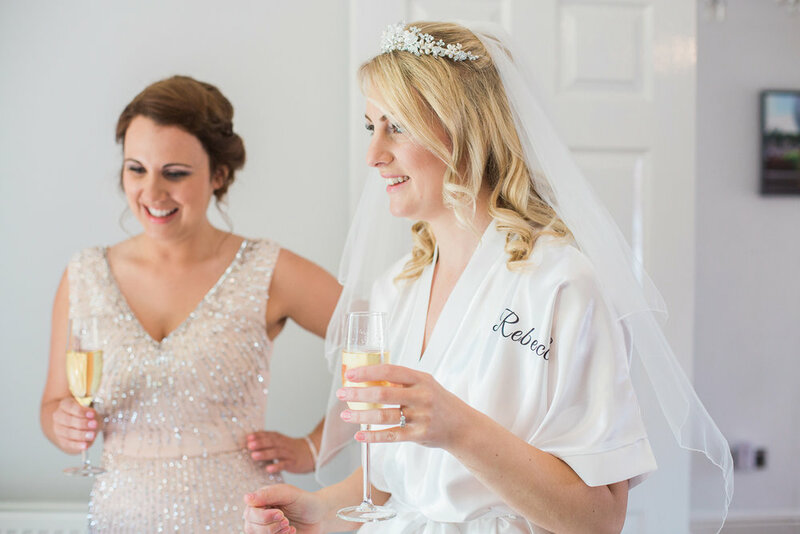 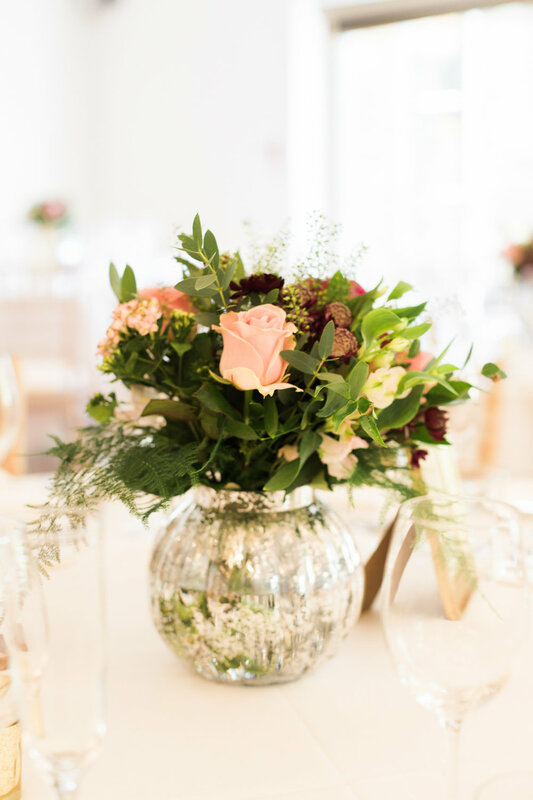 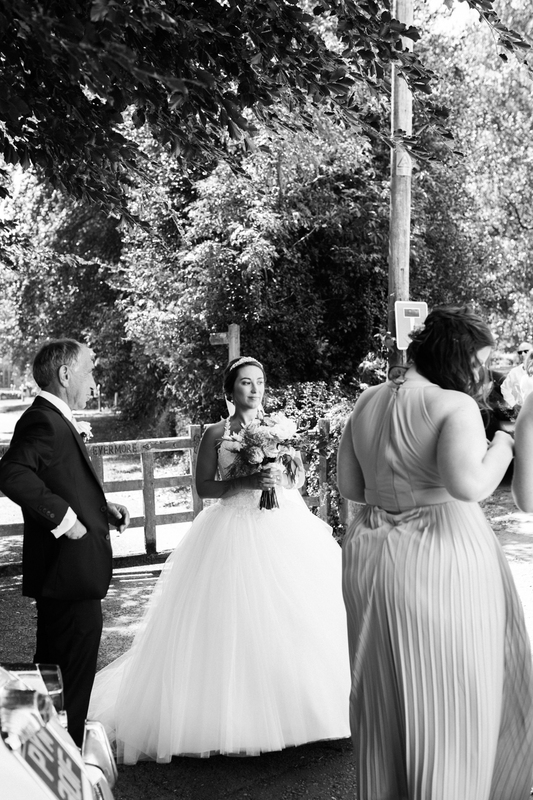 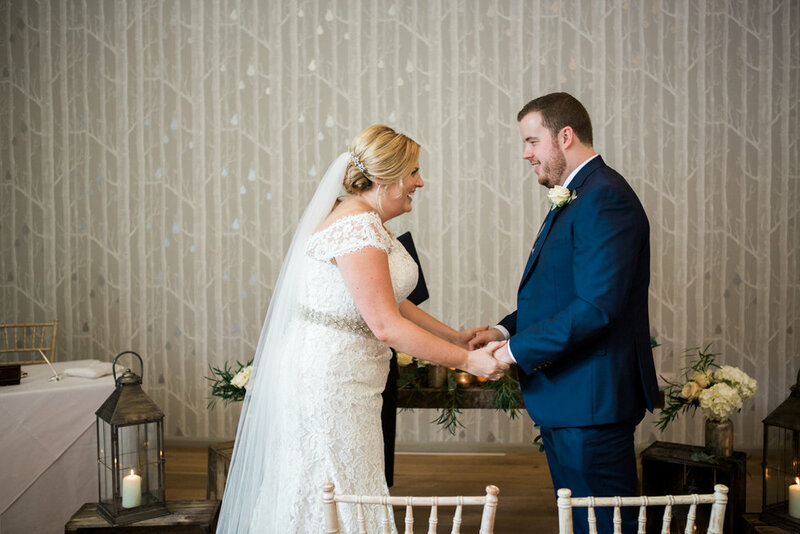 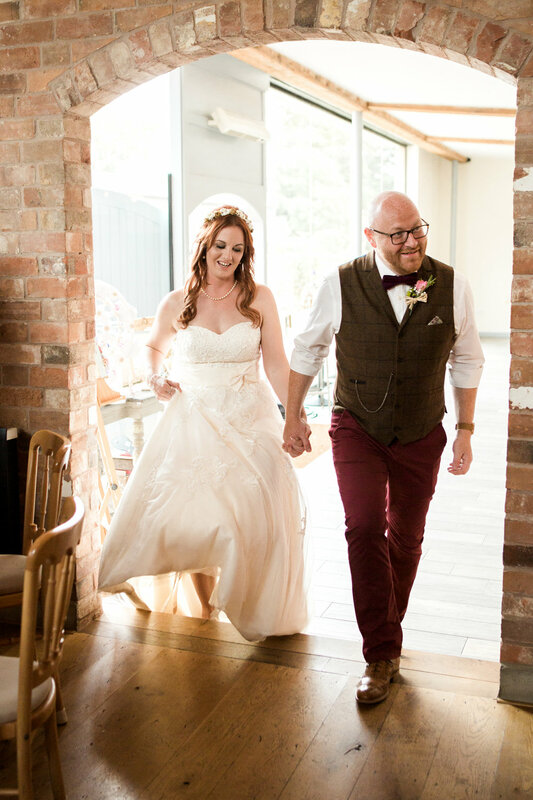 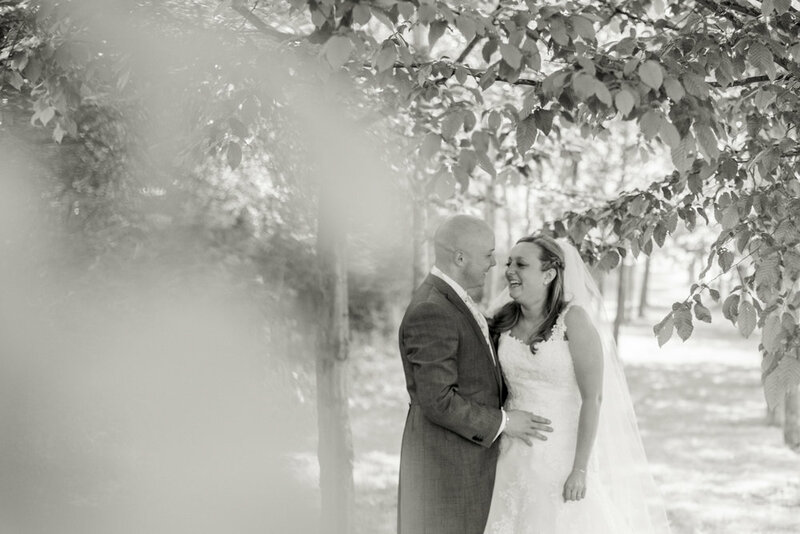 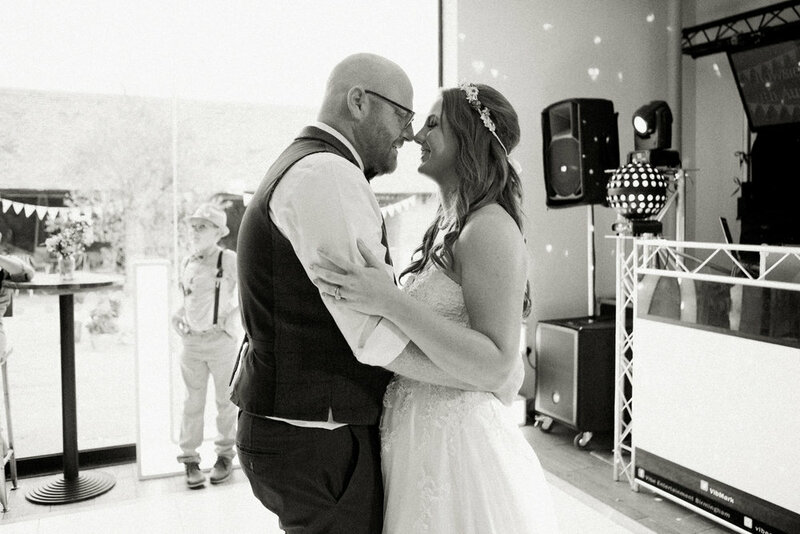 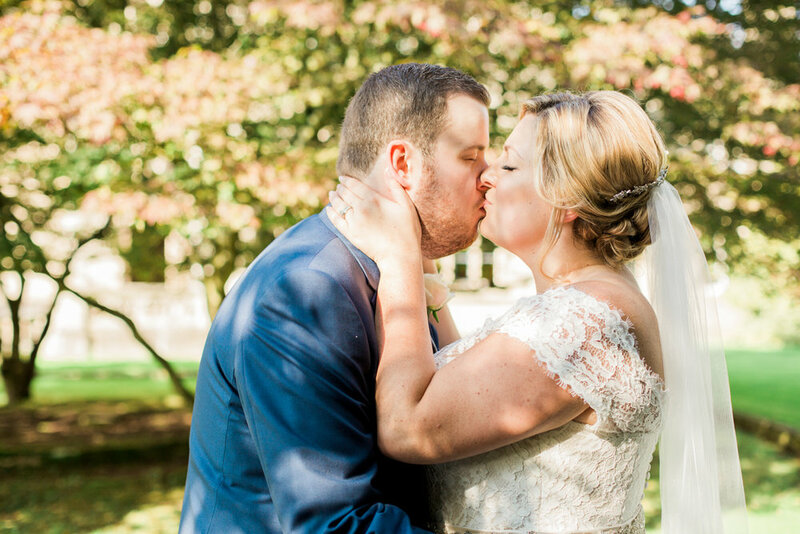 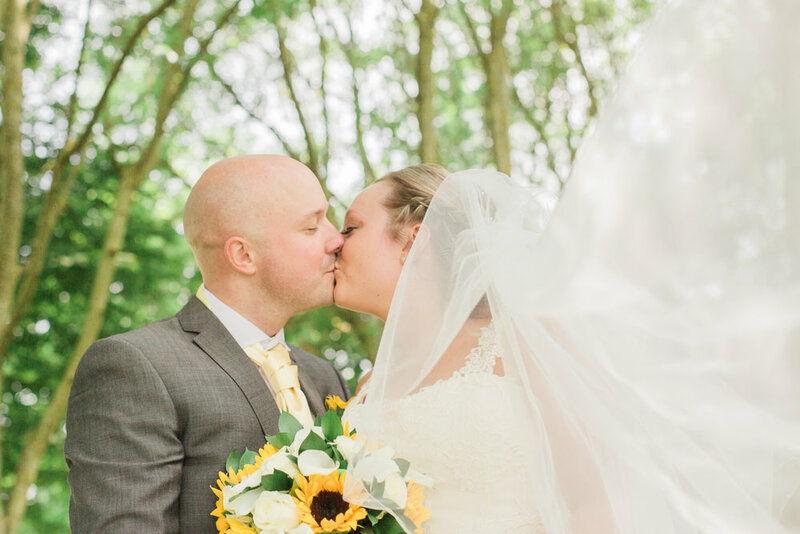 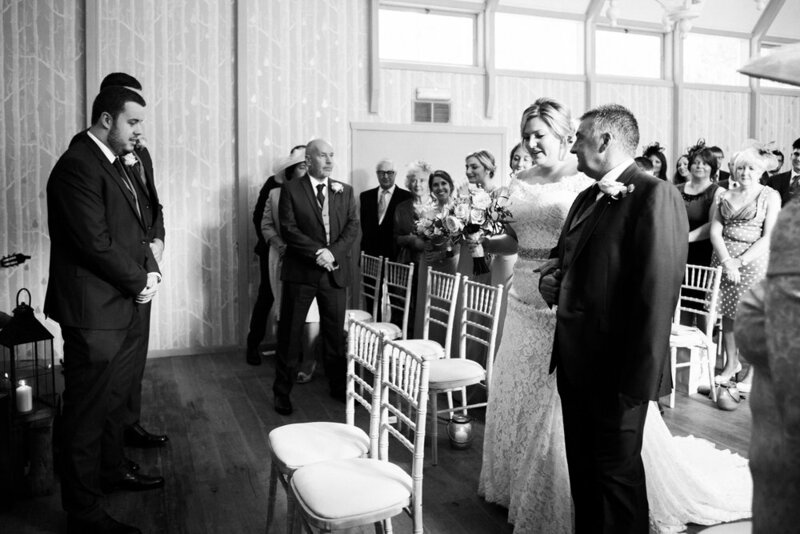 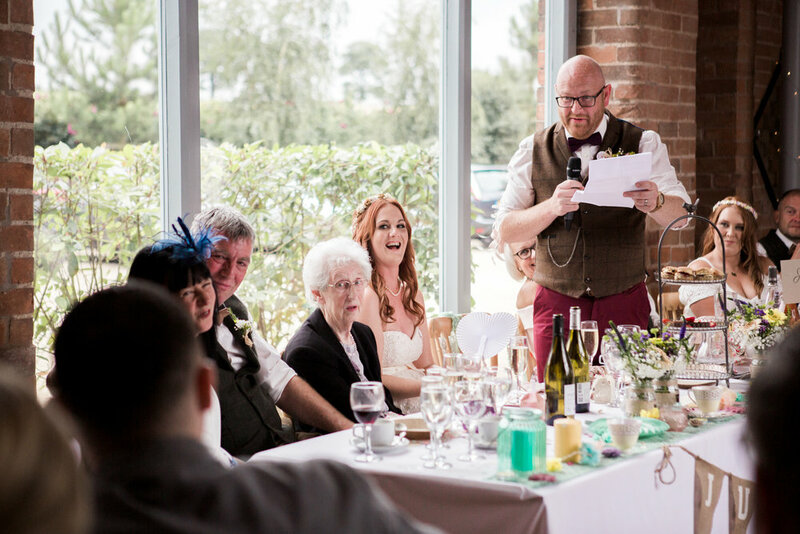 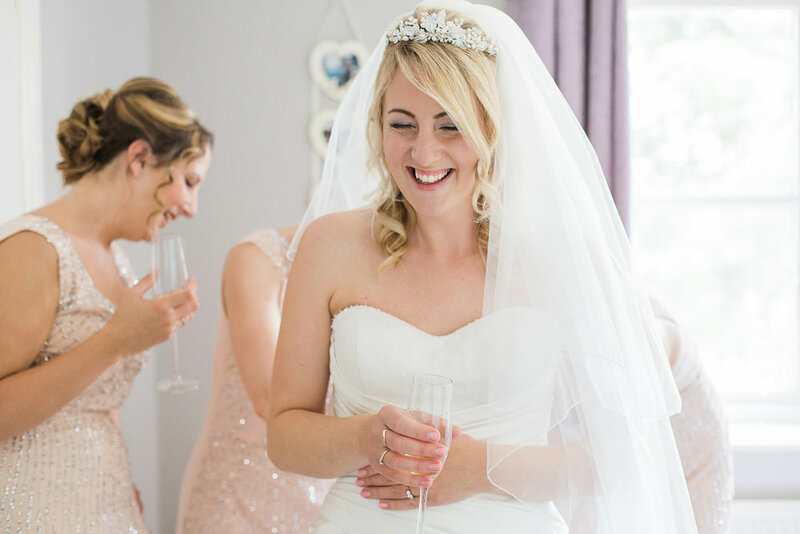 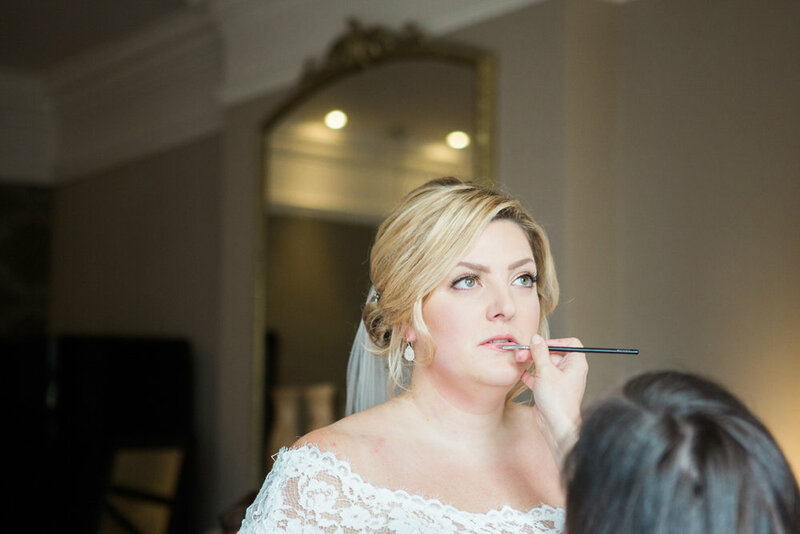 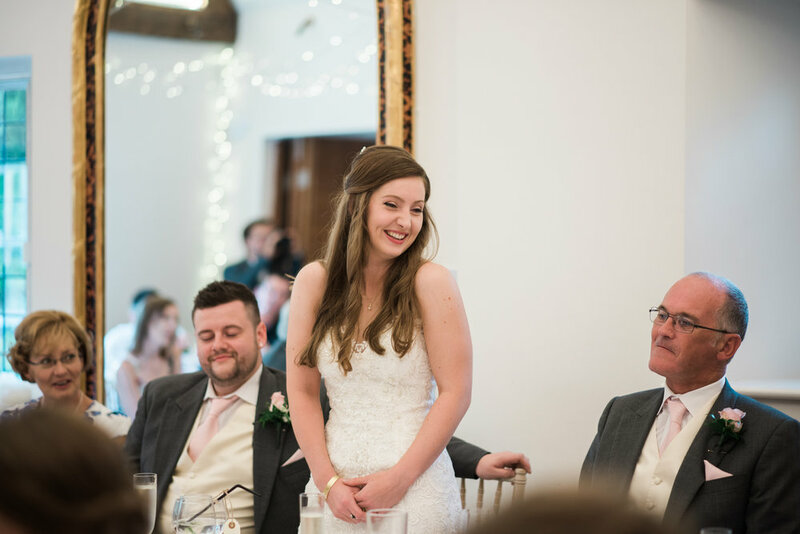 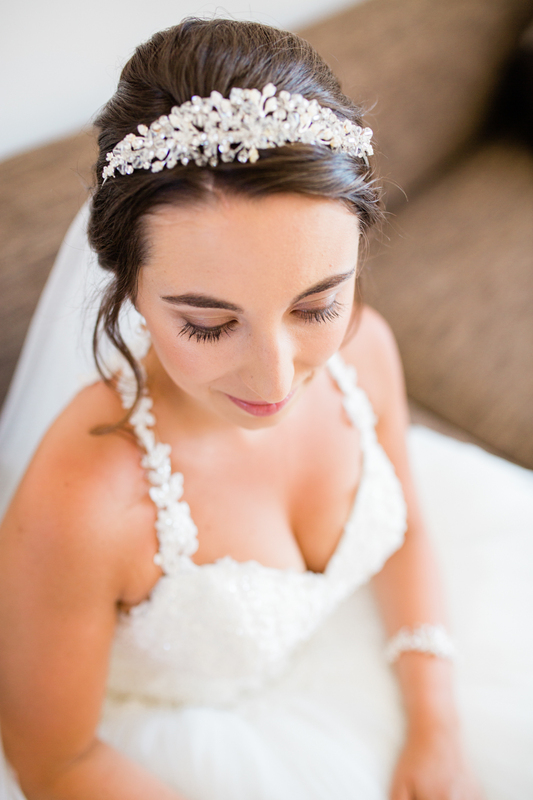 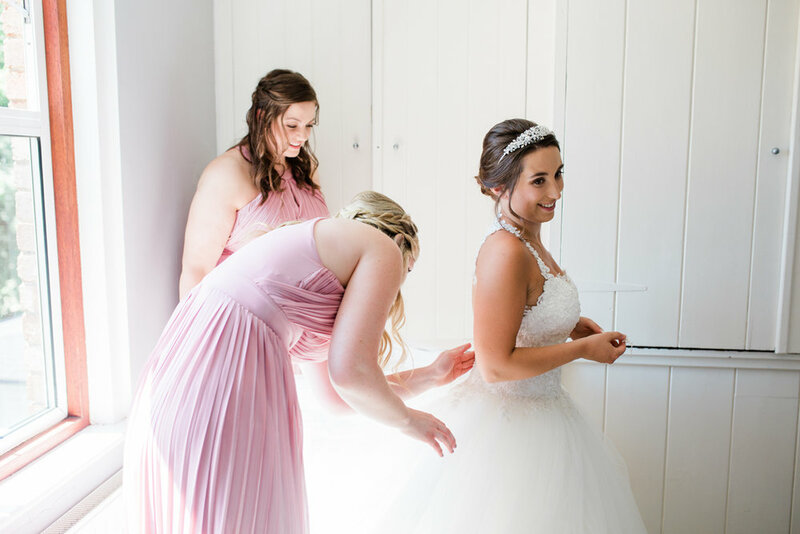 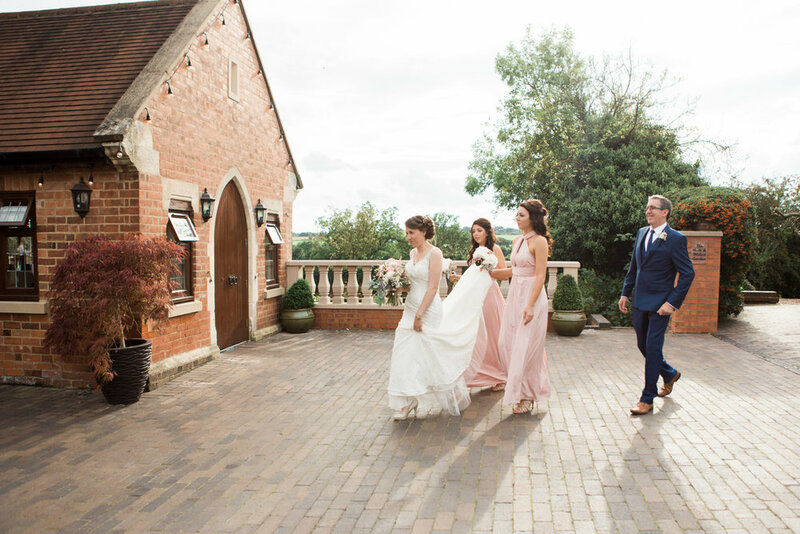 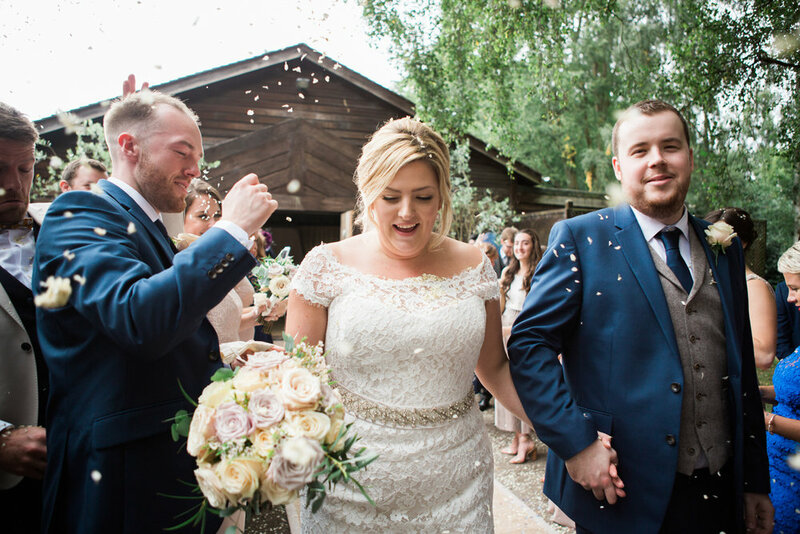 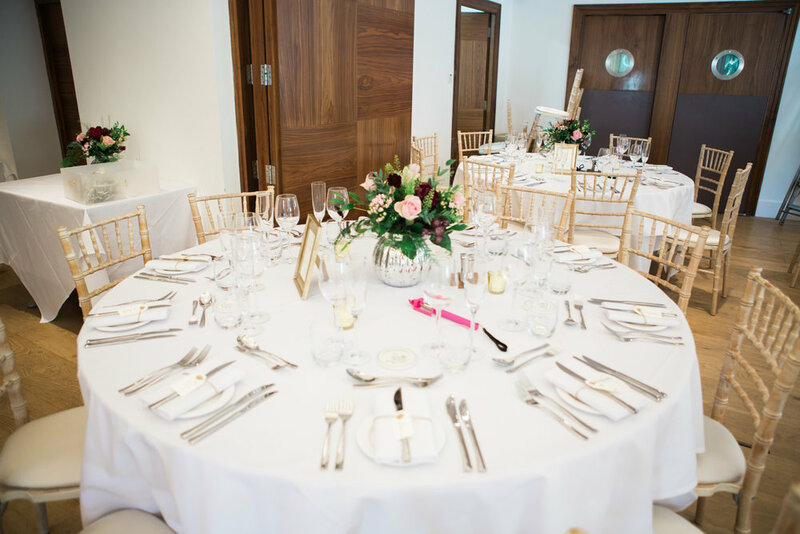 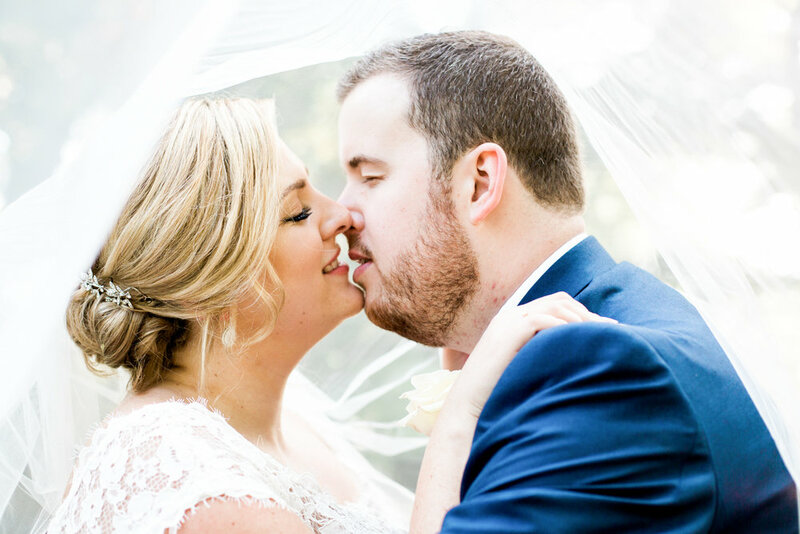 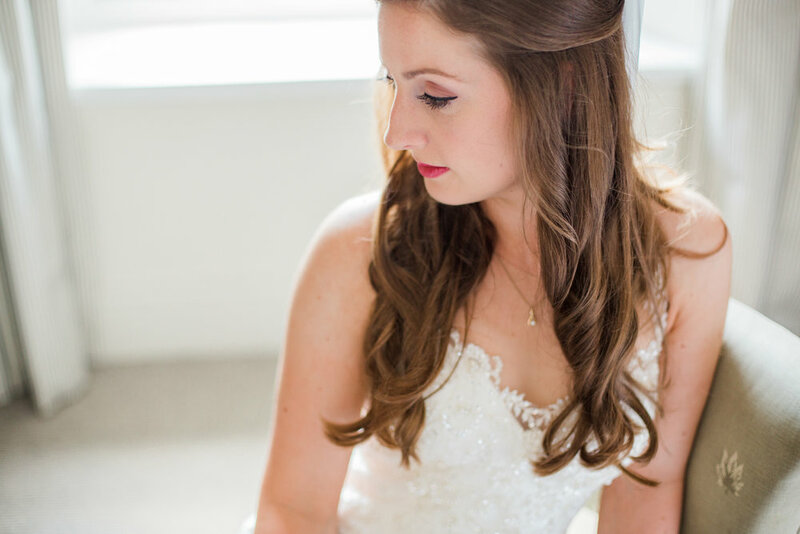 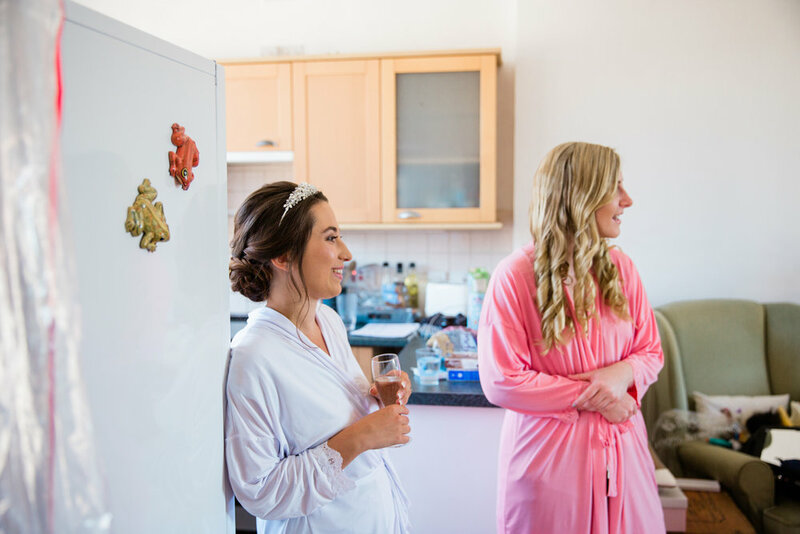 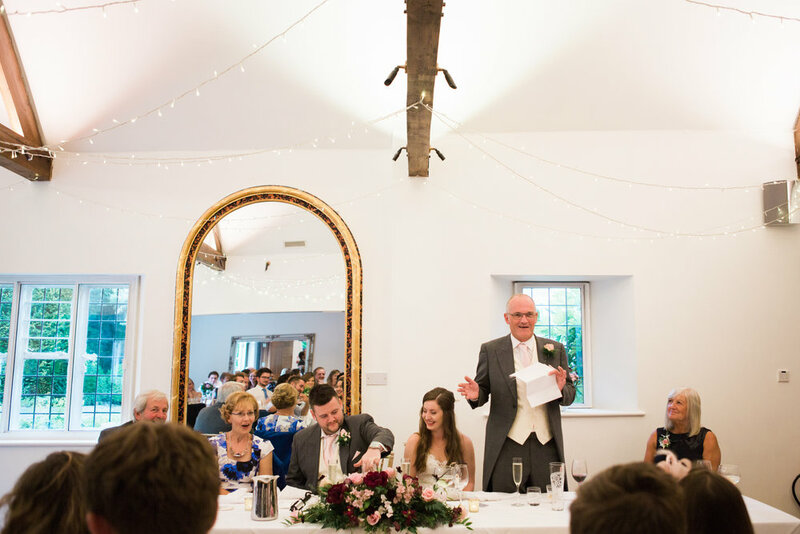 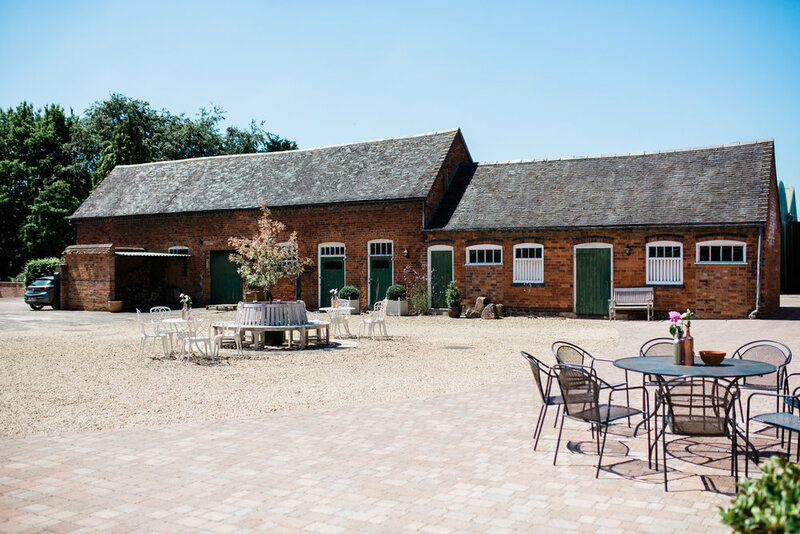 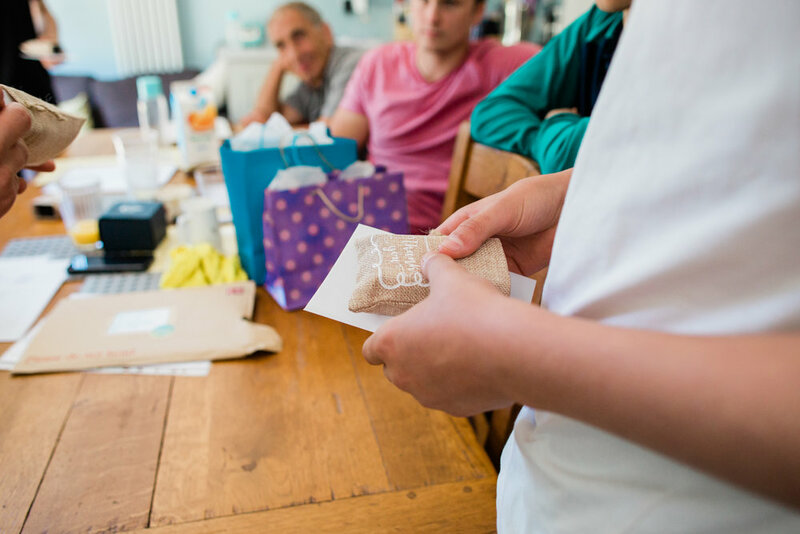 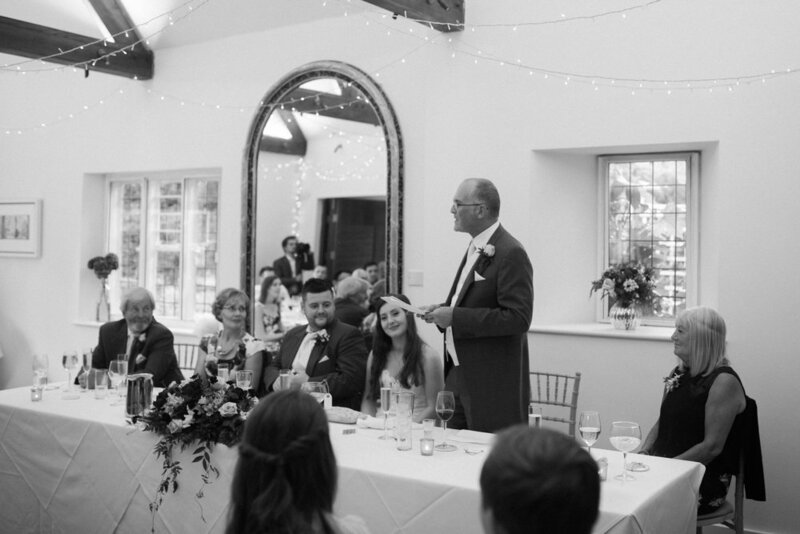 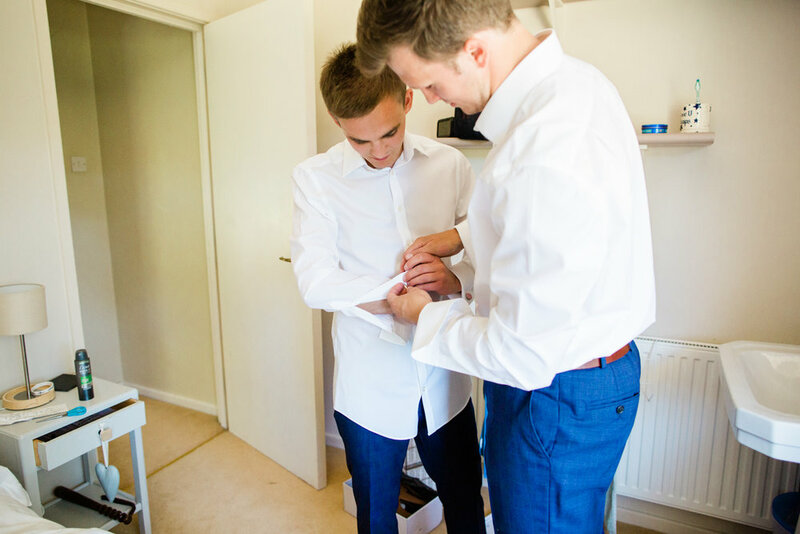 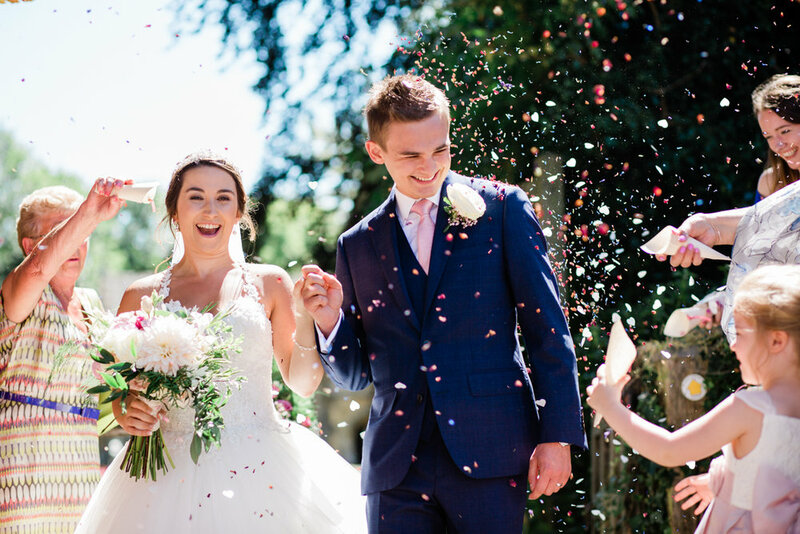 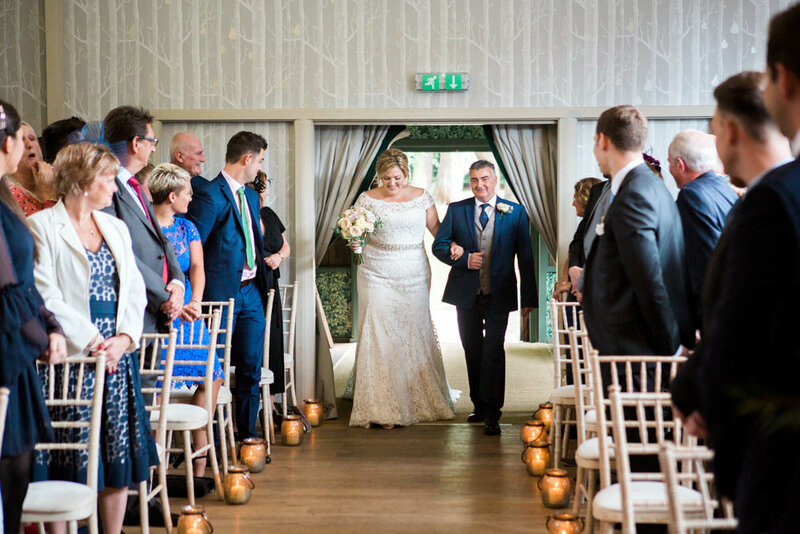 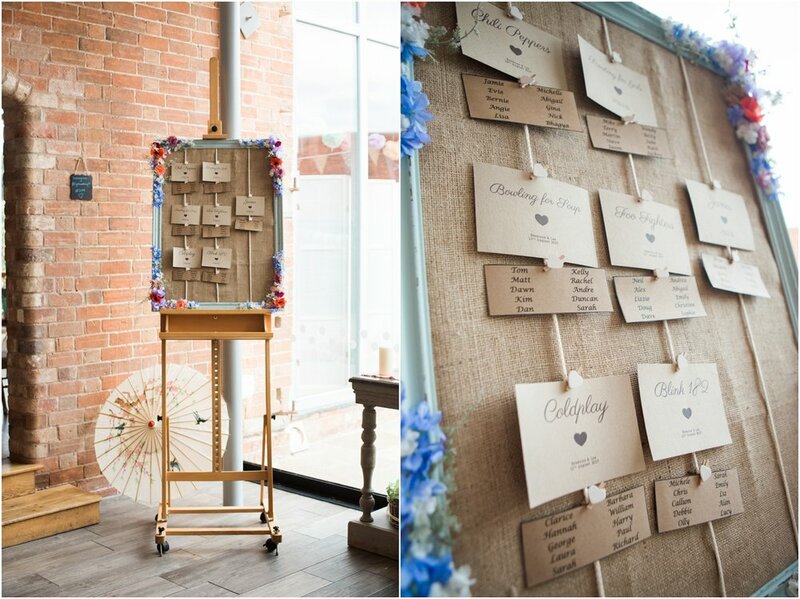 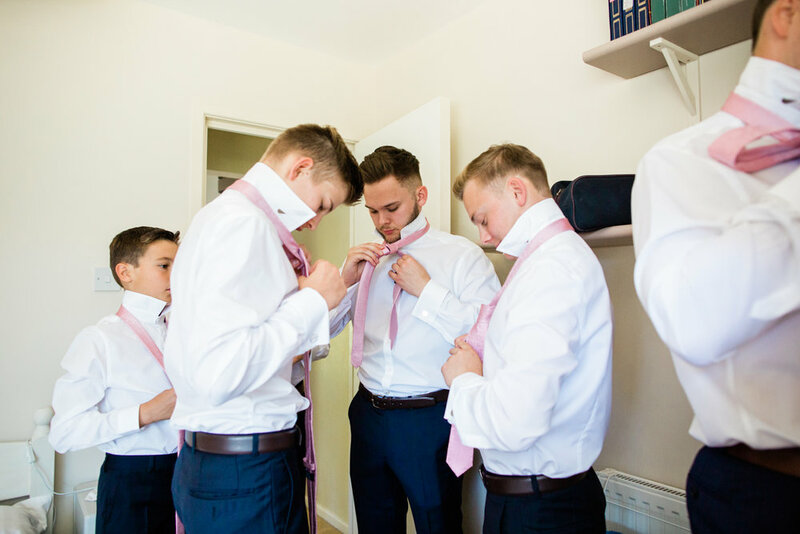 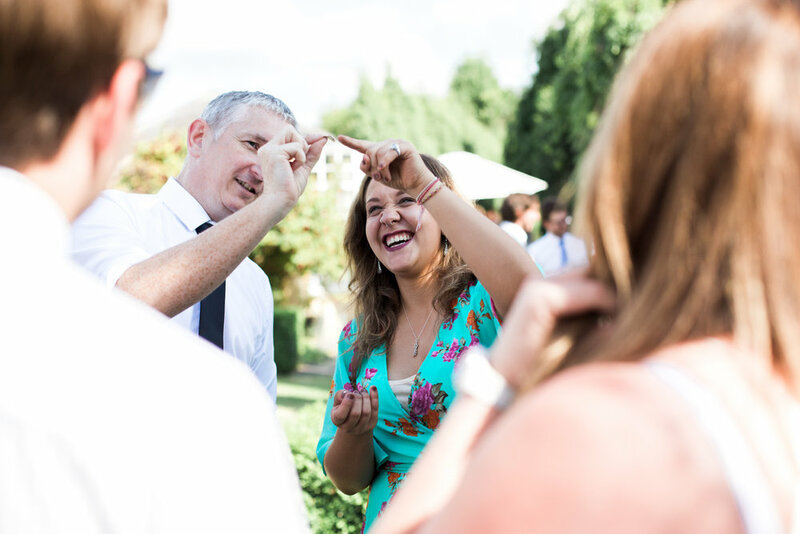 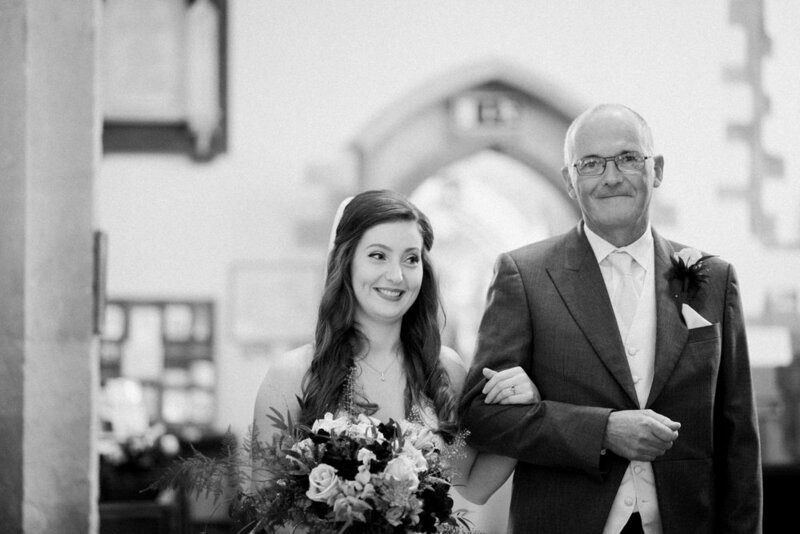 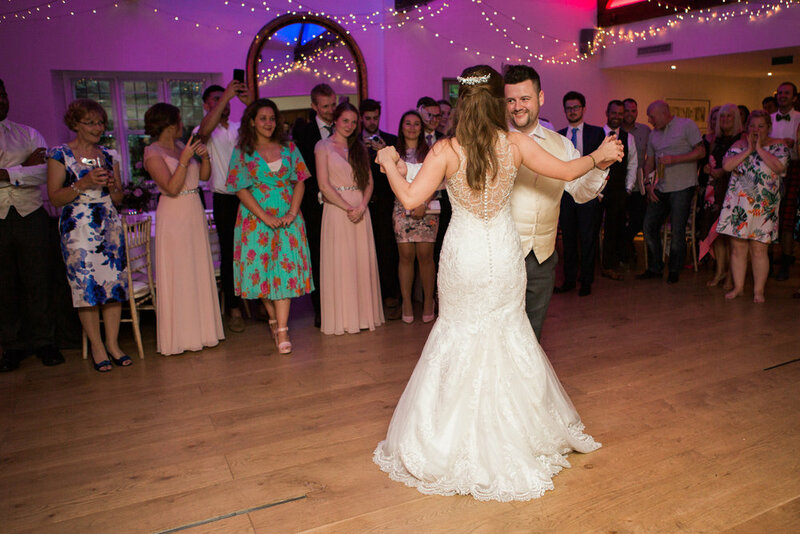 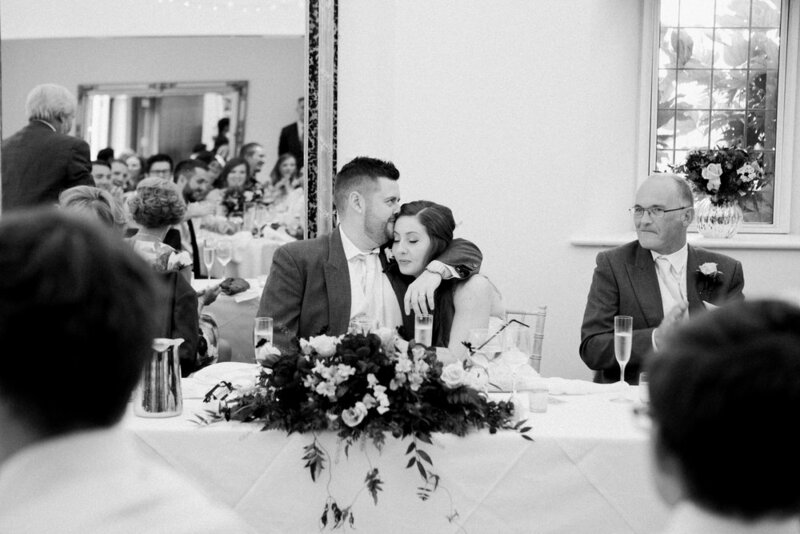 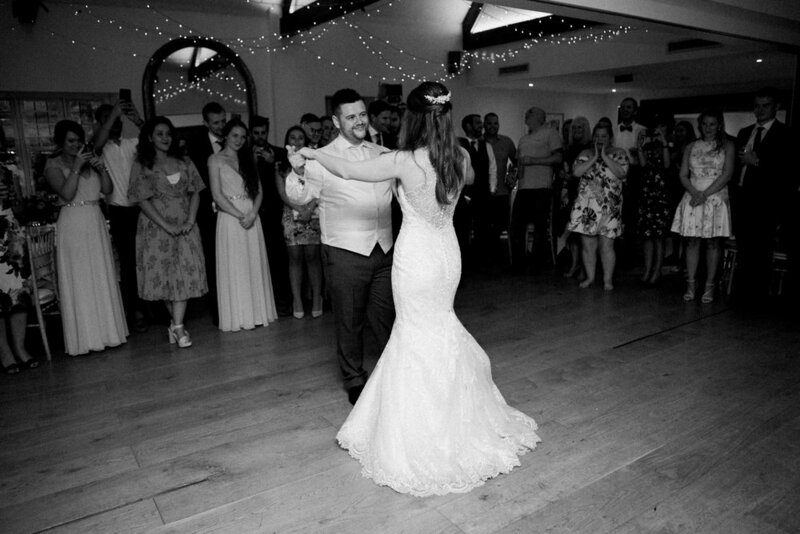 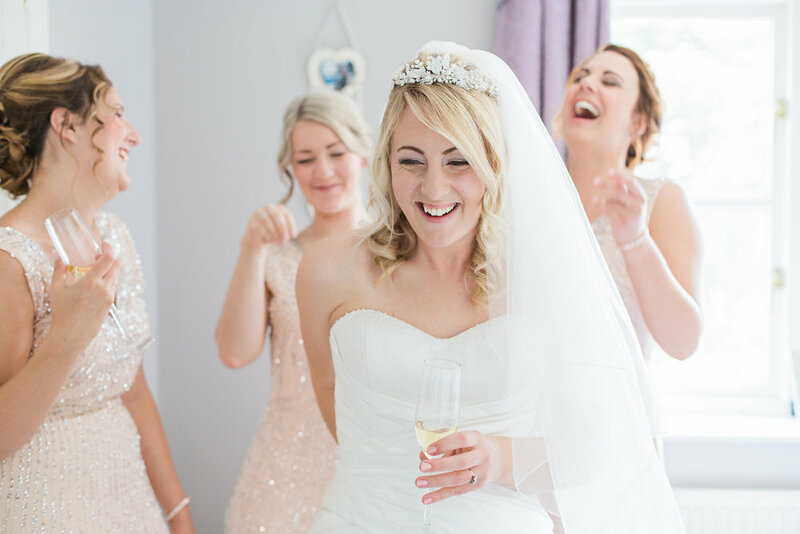 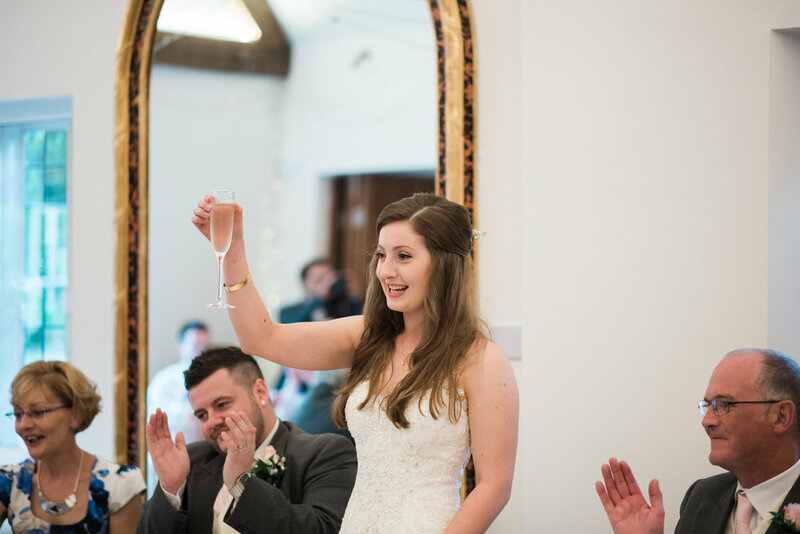 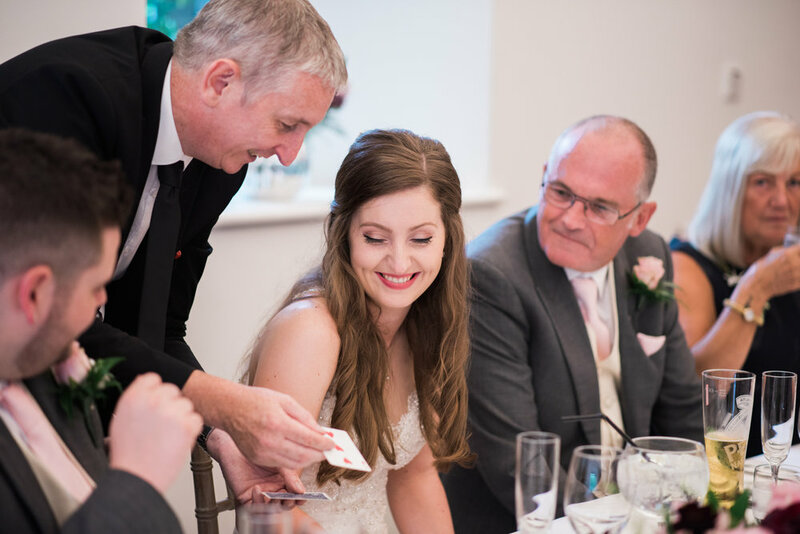 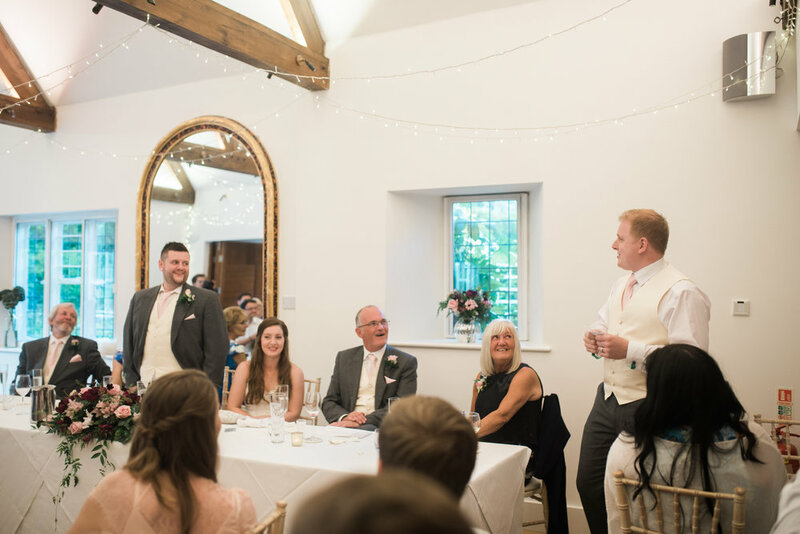 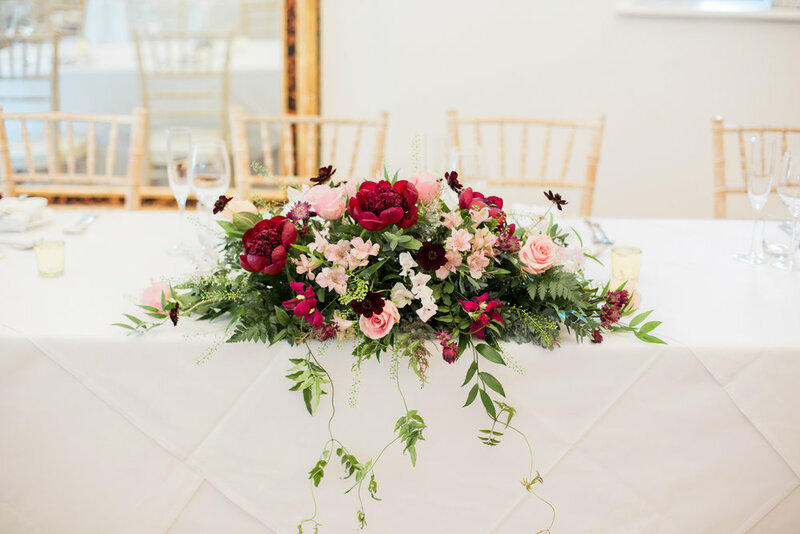 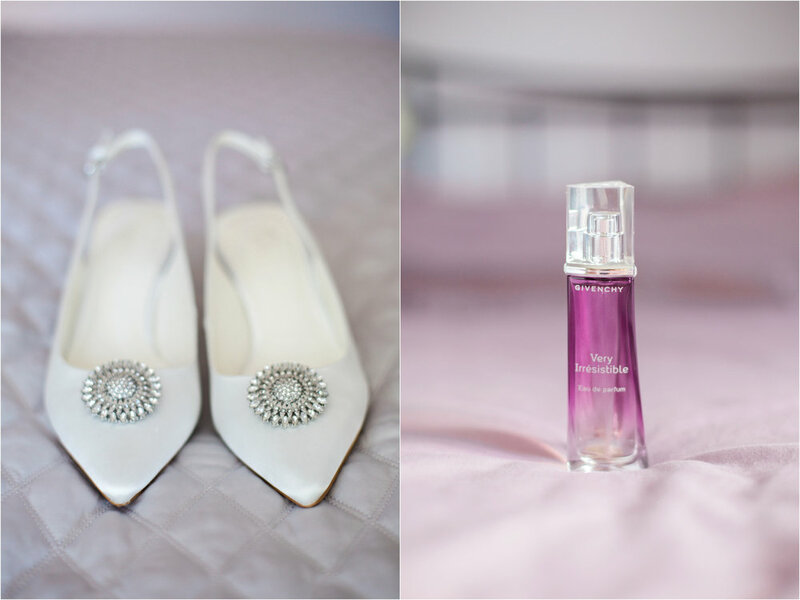 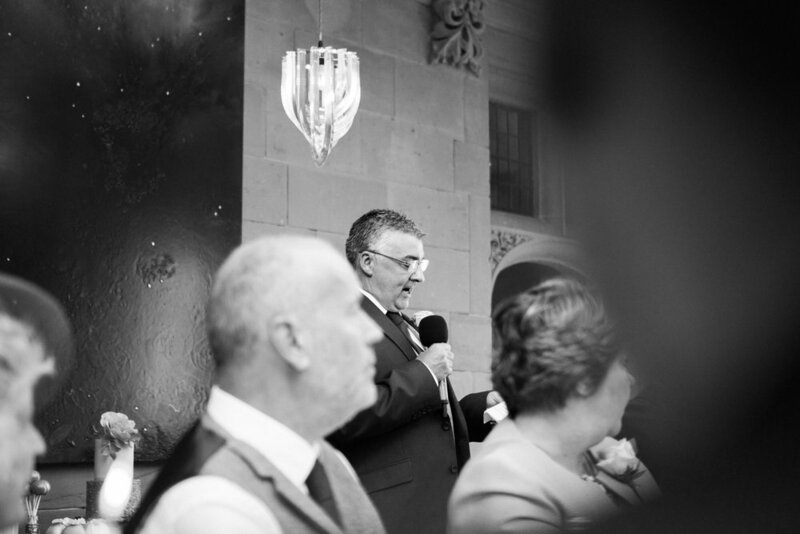 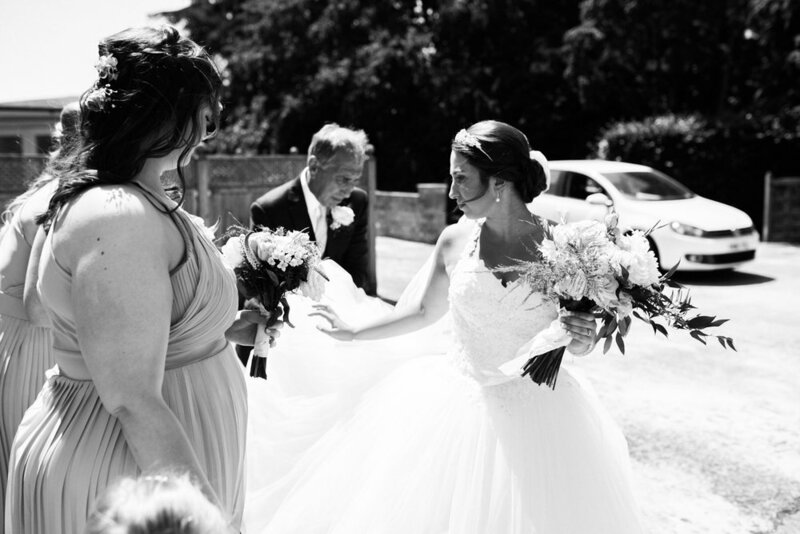 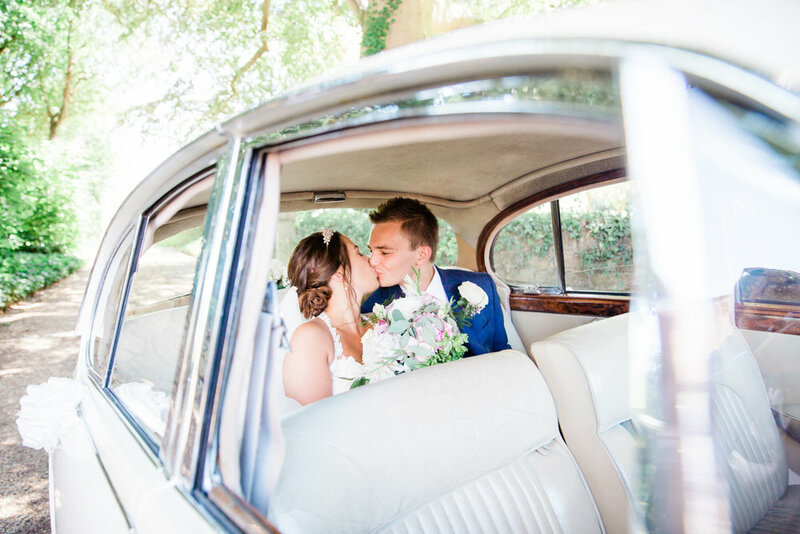 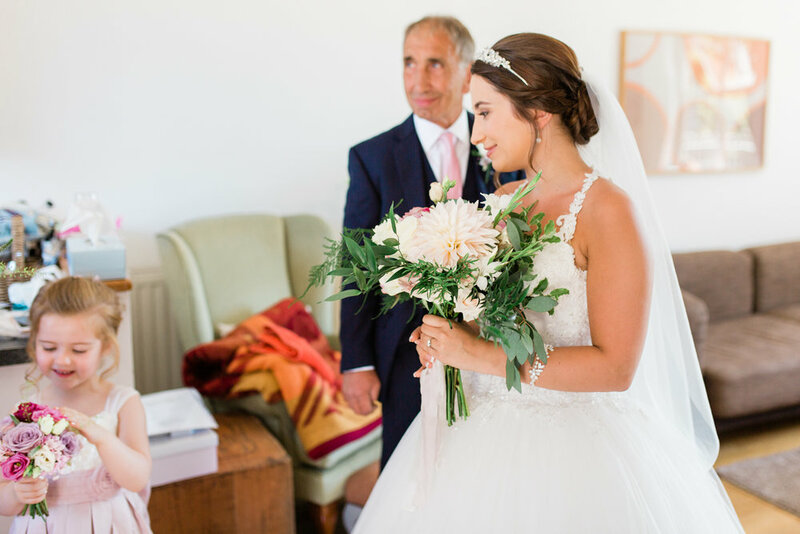 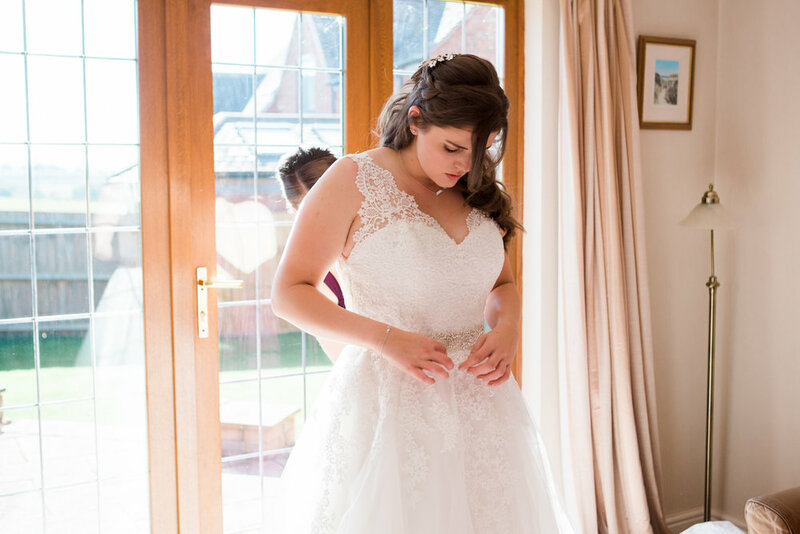 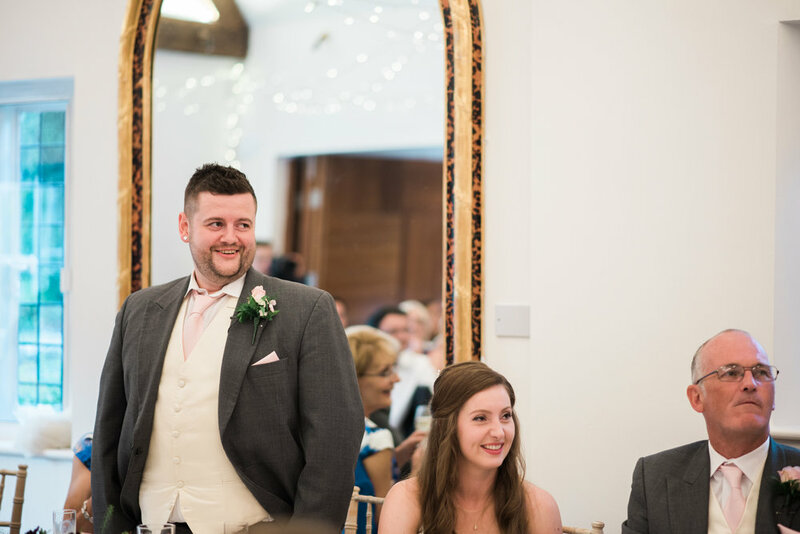 The Folley in Mackworth is a gorgeous venue and ever since Rebecca's email landed in my inbox I'd been excited about this wedding and it certainly didn't disappoint. 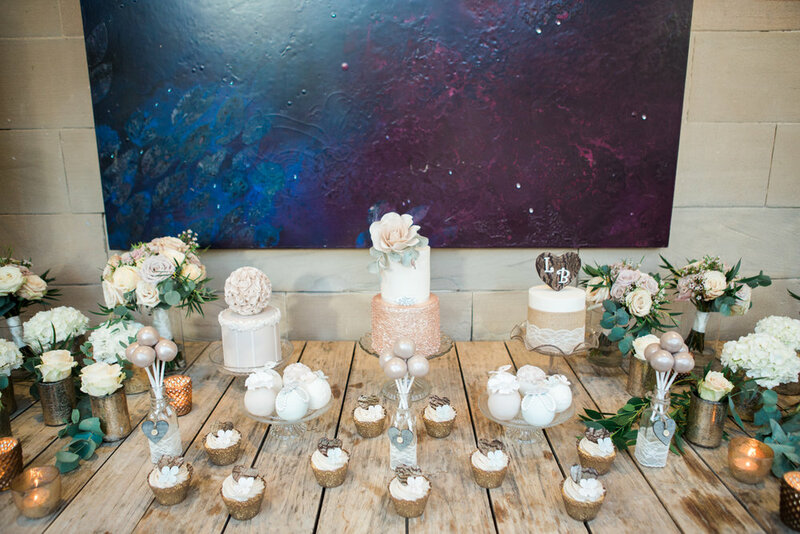 Rebecca had gone to so much effort with the decor and even made the beautiful cake herself, now that's one talented lady!